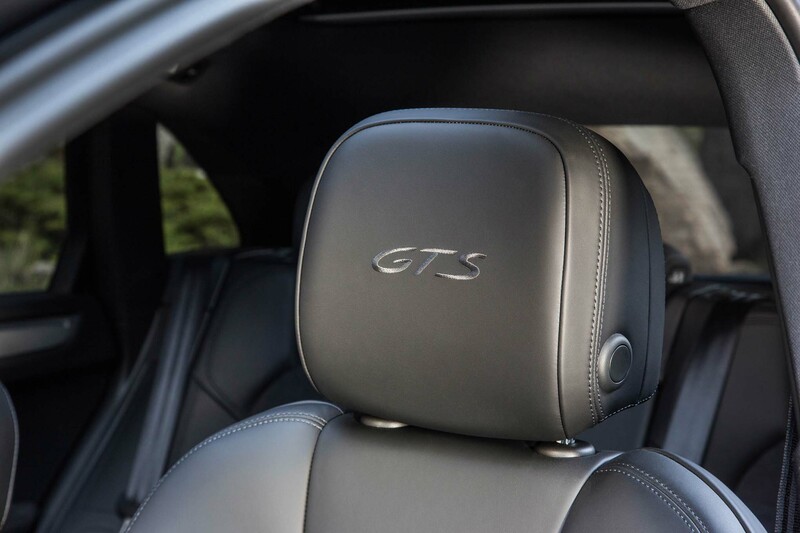 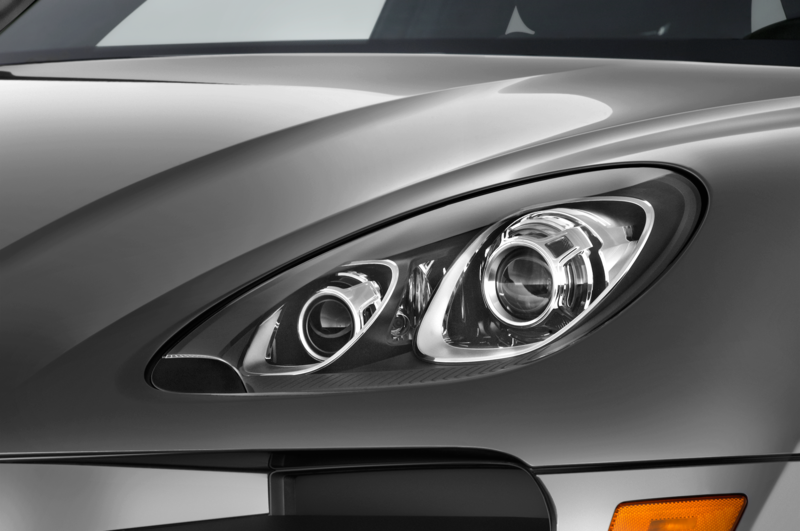 It’s not the altitude—the GTS is dizzyingly good. 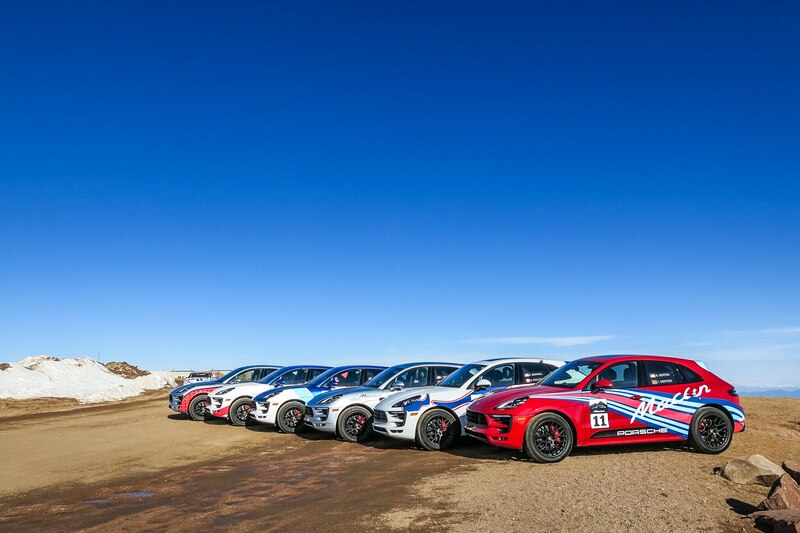 Pikes Peak has changed a lot in the past 100 years. 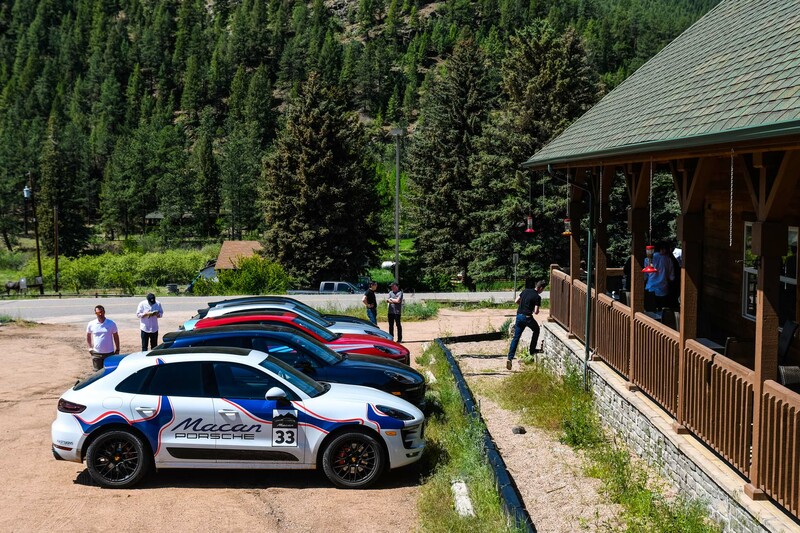 Following the lead of the maniacs that started the International Hill Climb a century ago, competitors show up at Pikes Peak year after year, bringing with them new technologies, faster cars, and a complete disregard for good sense or good traction. 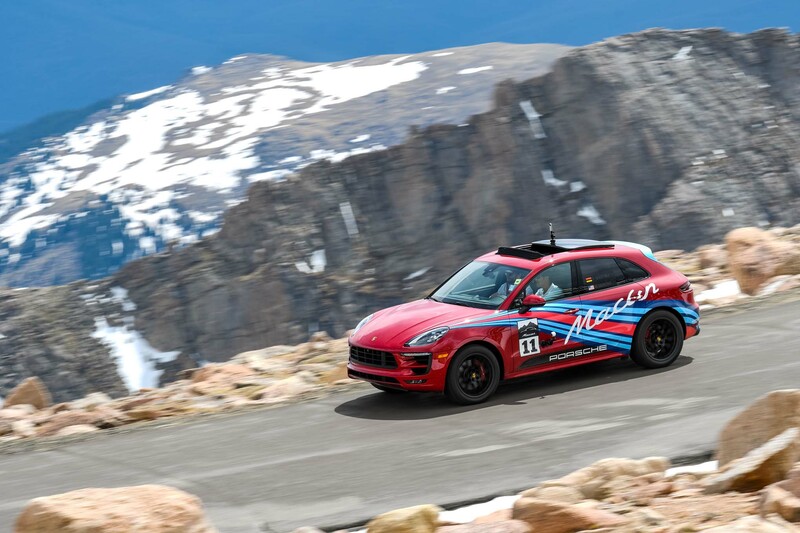 Indy cars raced here up until 1970, all-wheel-drive rally cars conquered the climb during the ’80s and ’90s, and it’s now common for all-electric racers to make the ascent. 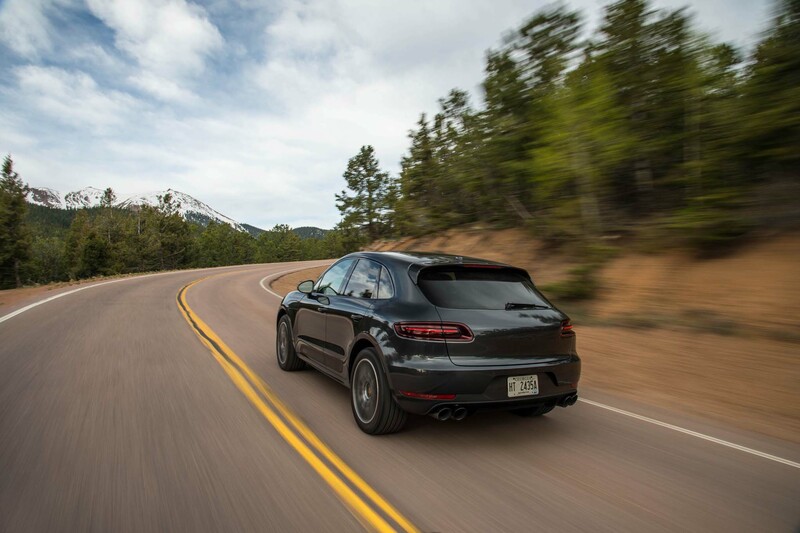 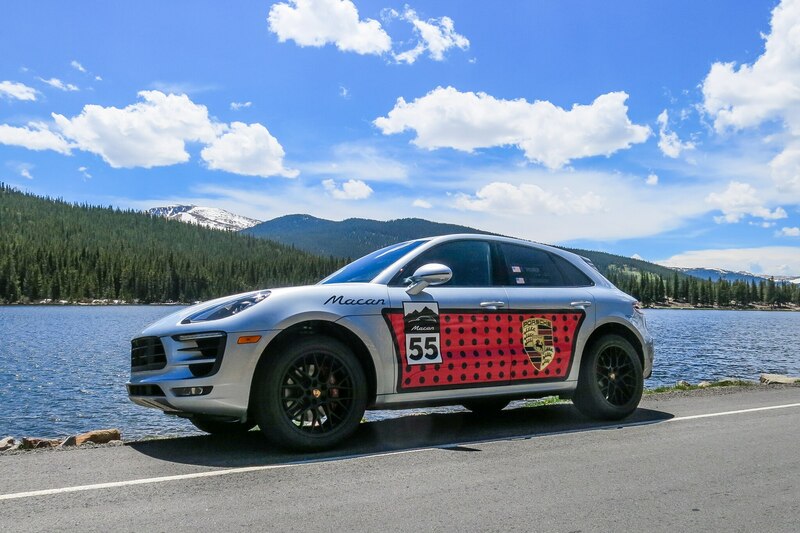 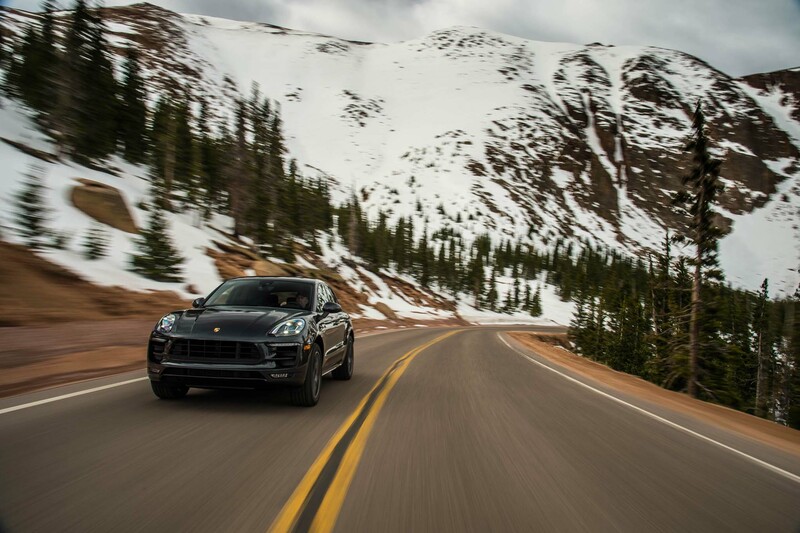 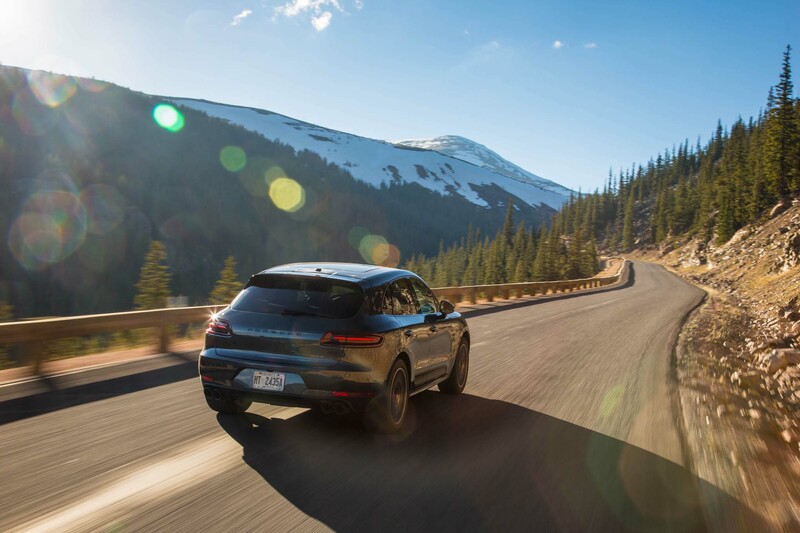 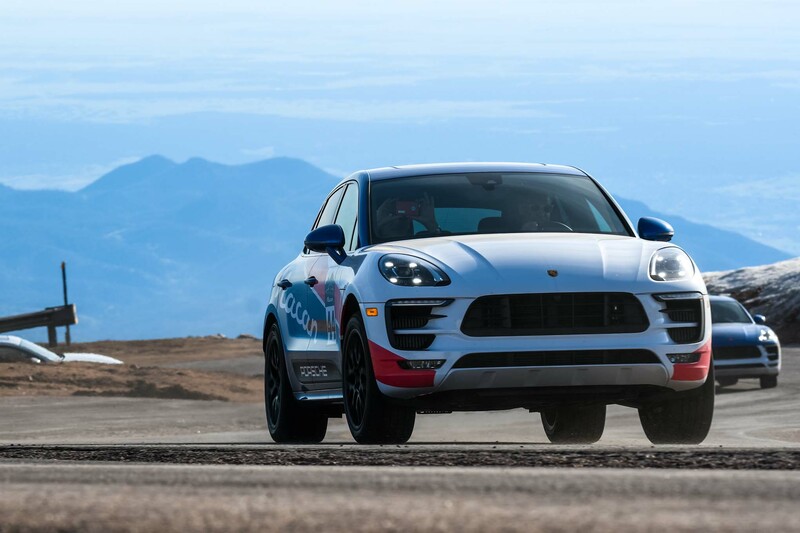 Speeding through the mountain’s devilish 156 turns is an absolute rush regardless of what you’re driving, even if it’s a stock luxury crossover, like a 2017 Porsche Macan GTS. 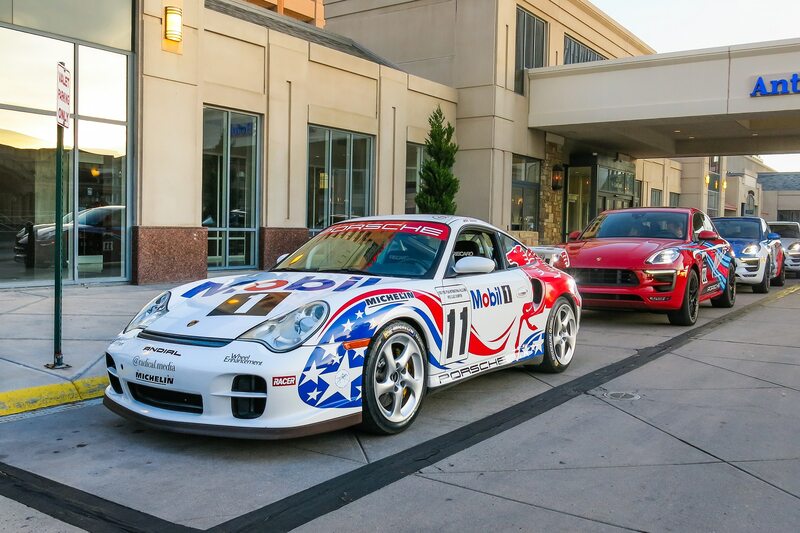 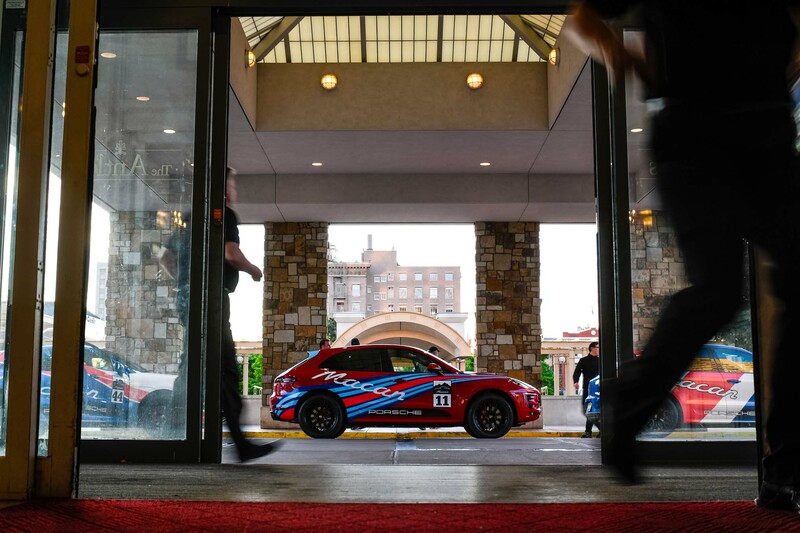 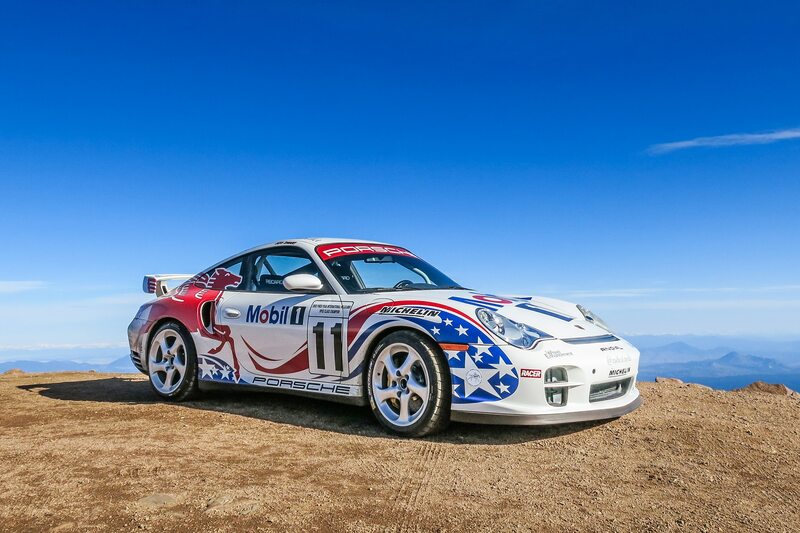 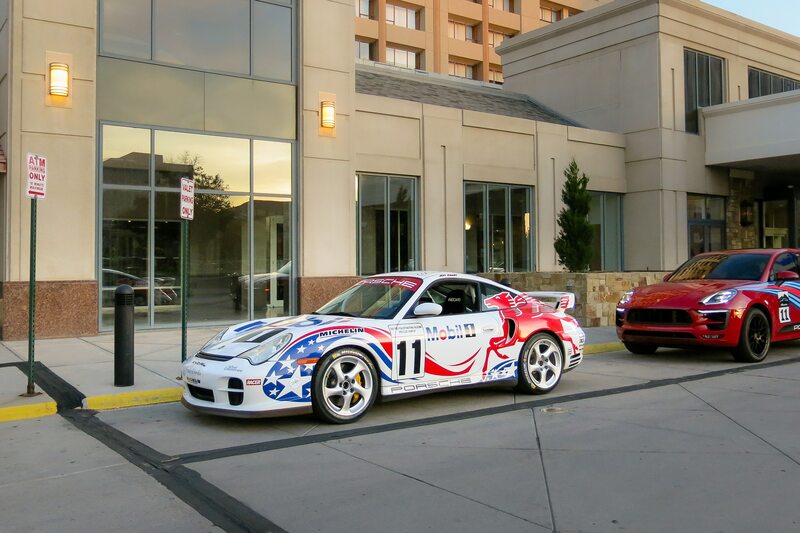 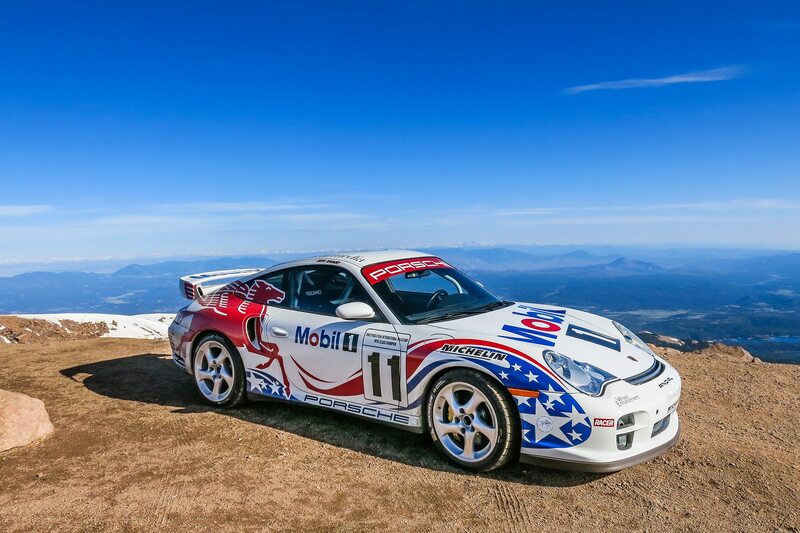 “Racers used to summit the mountain a lot slower, but the dirt made sure there was a lot of slipping and sliding,” says Hill Climb-winning Porsche driver Jeff Zwart, who will lead us to the mountain’s 14,110-foot zenith in his 2002 Porsche 911 GT2. 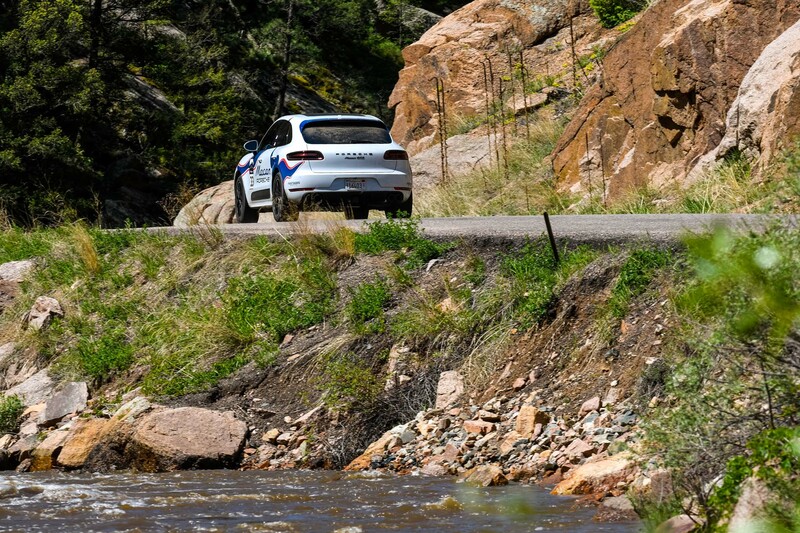 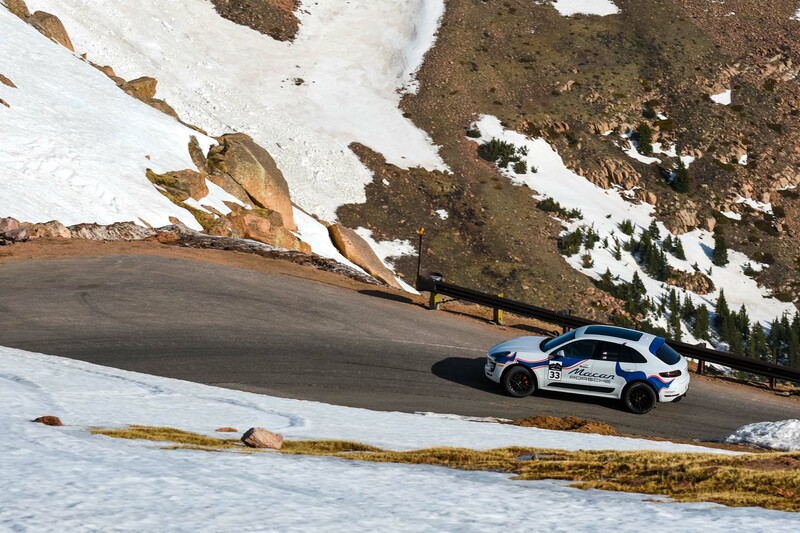 “But when somebody in front of you was losing coolant, that definitely helped.” Fortunately for us, Pikes Peak is now paved from start to finish, yet Zwart’s eerie fondness for telling tales of mishaps, many of which end with upside-down cars, isn’t making us feel at ease as we get ready to run up Pikes Peak. 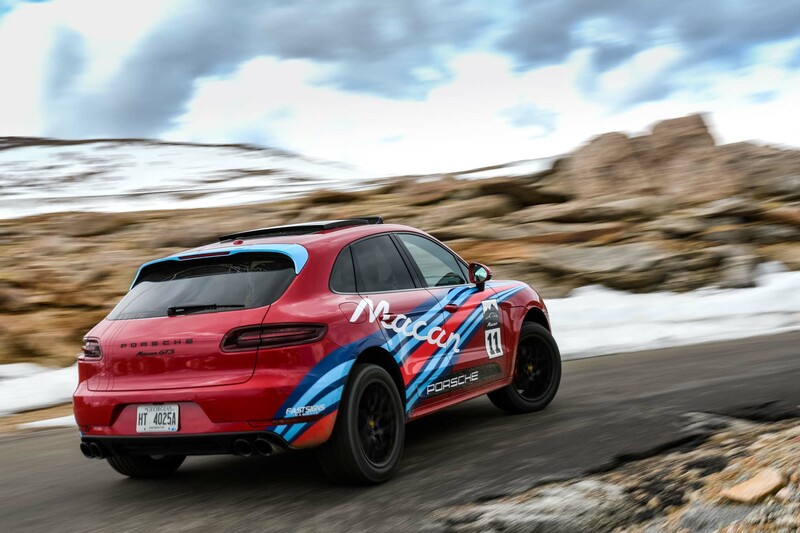 It does make us feel better though that Porsche engineered the 2017 Macan GTS before any other Macan variant, ensuring this enthusiast’s choice would be the dynamic benchmark for the other Macan models. 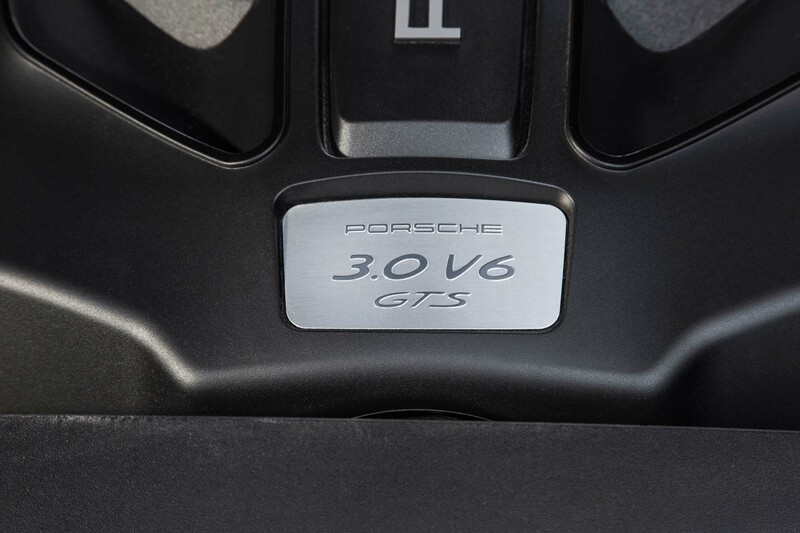 The GTS has a 360-hp, 3.0-liter twin-turbo V-6 that makes 369 lb-ft of torque and is paired to a quick-shifting, seven-speed dual-clutch PDK automatic transmission. 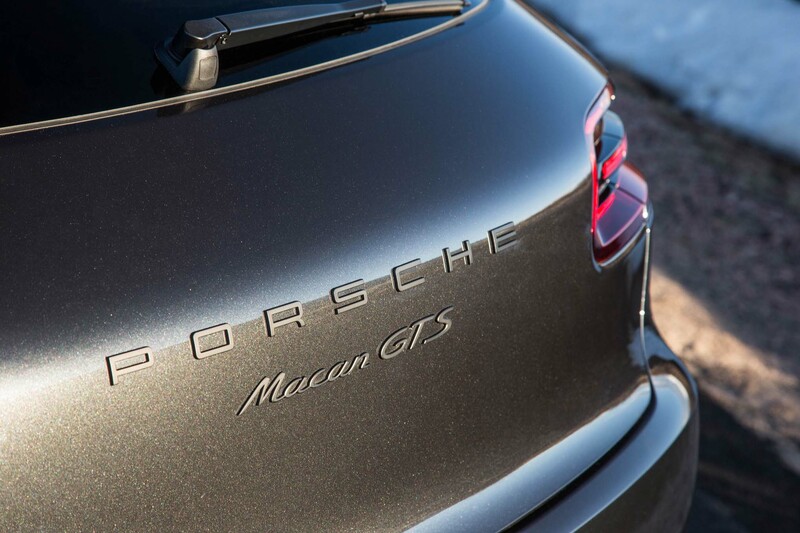 That’s only 20 hp and 30 lb-ft bump more than the Macan S, but the GTS has a unique power curve that mimics a naturally aspirated engine for sensationally smooth power delivery. 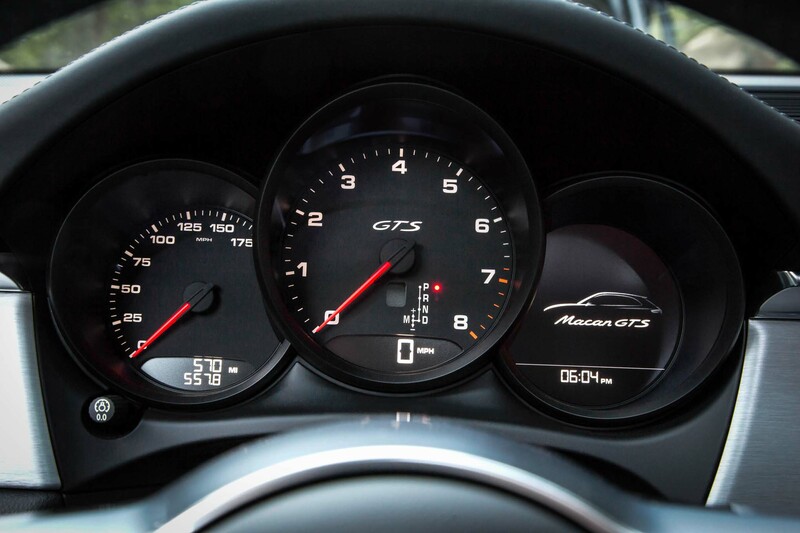 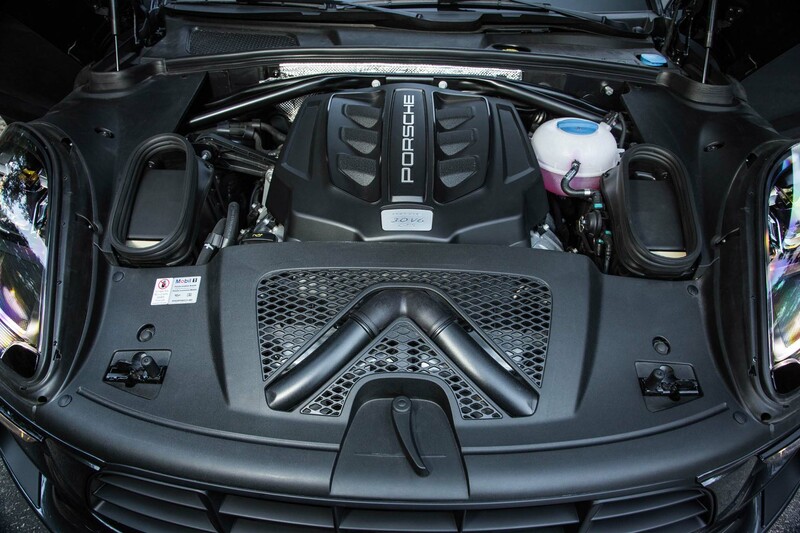 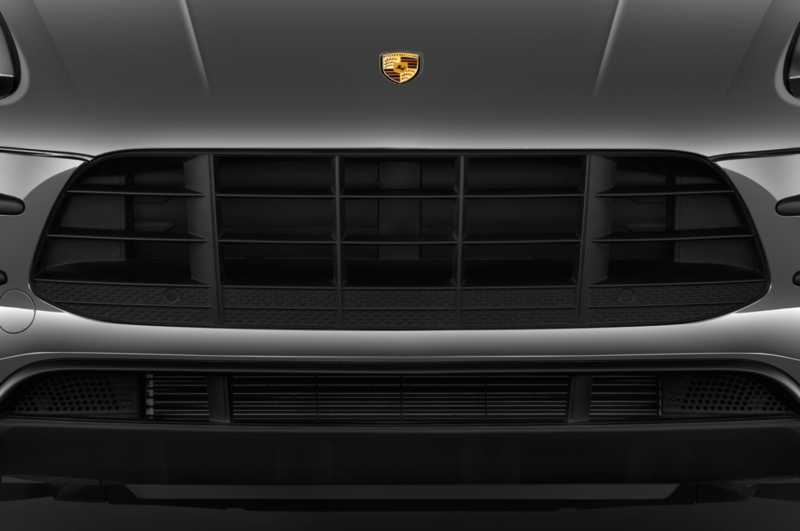 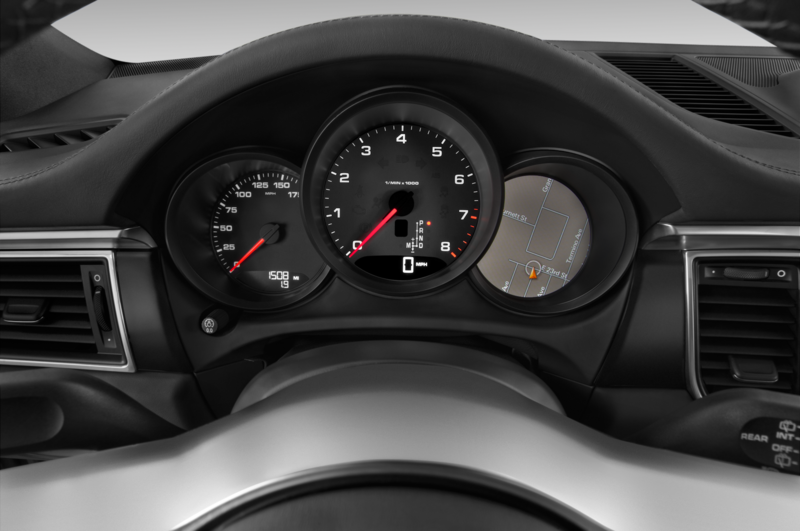 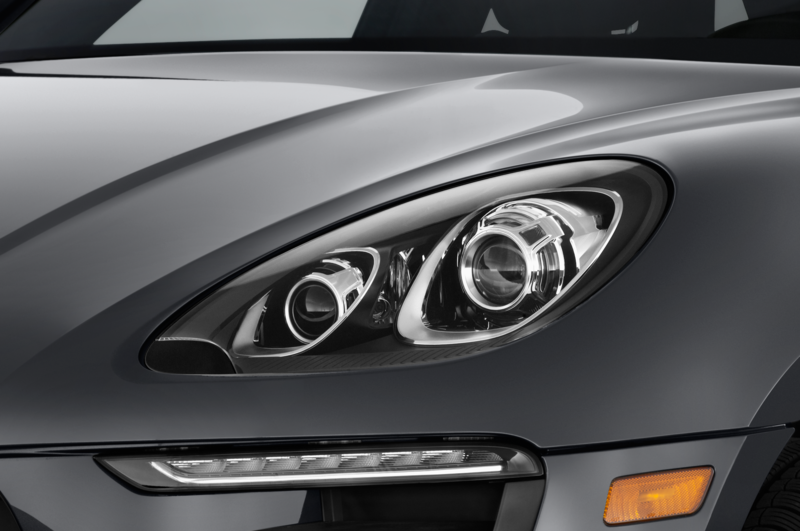 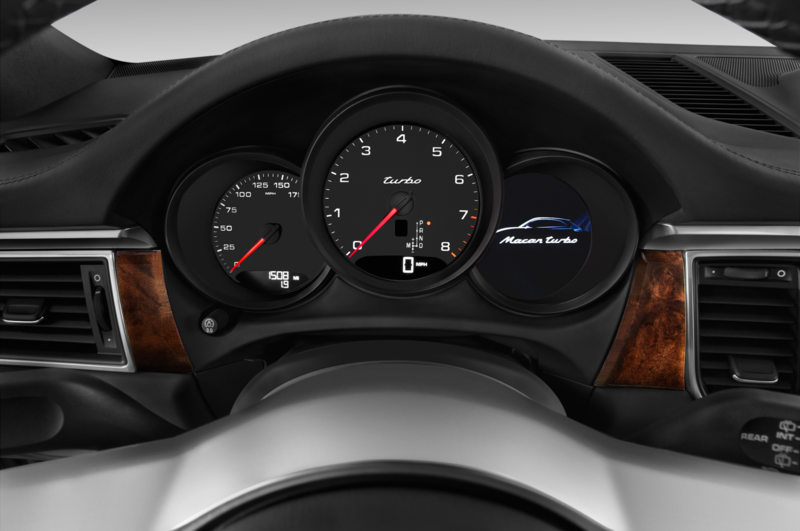 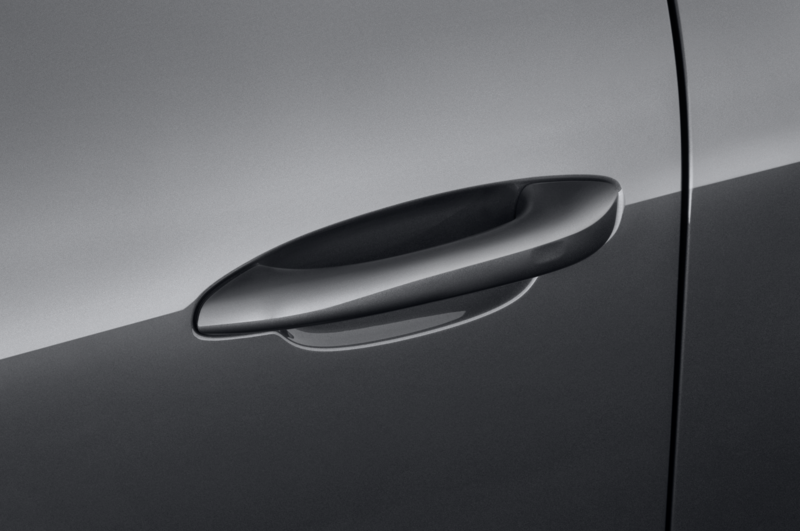 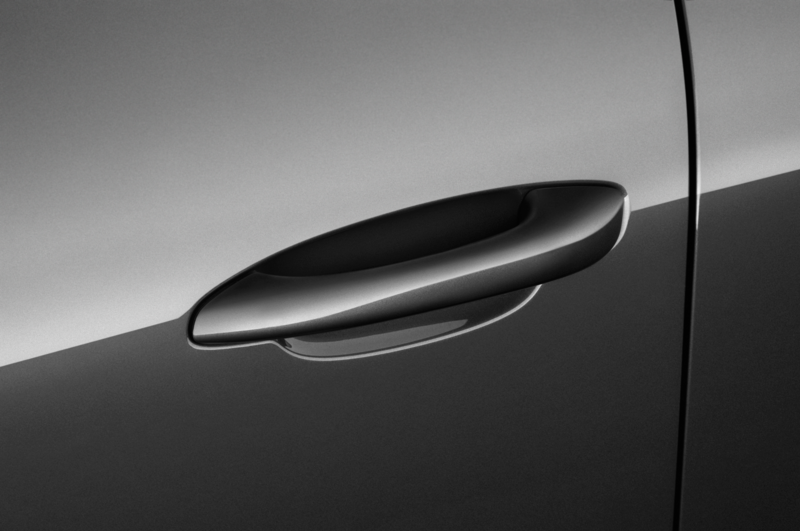 Peak output arrives at a lofty 6,000 rpm, encouraging you to wind the engine out with every roll on the throttle. 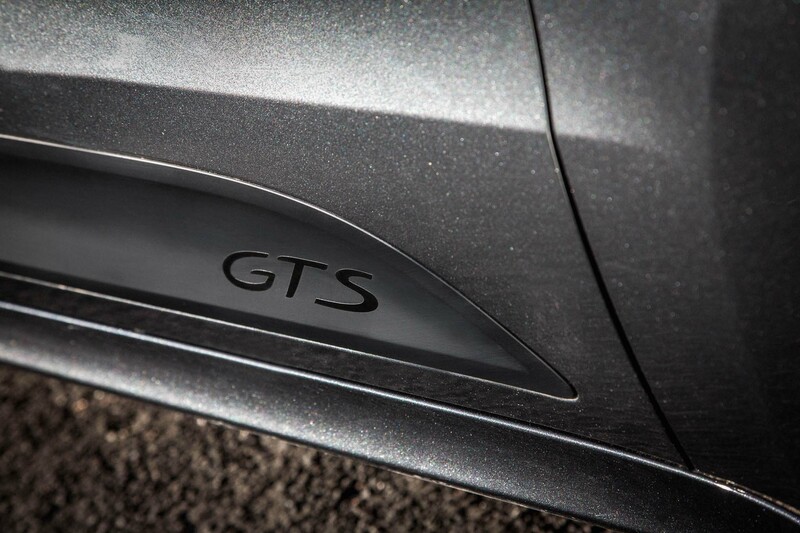 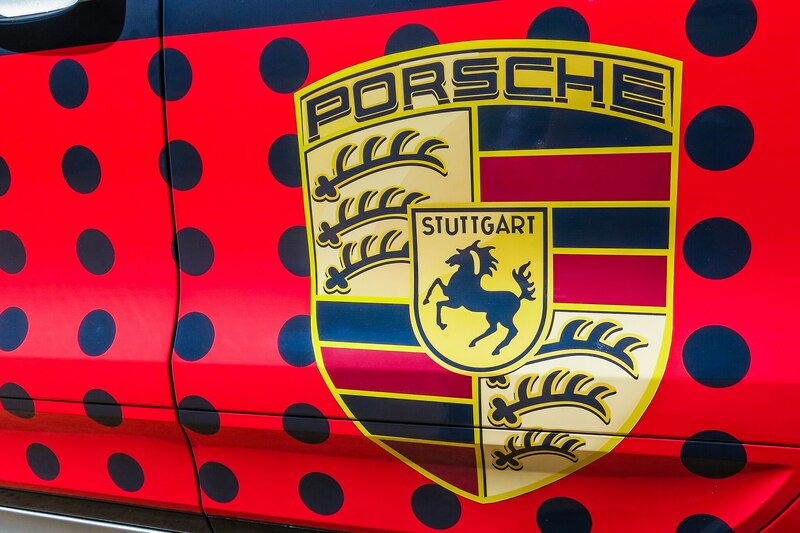 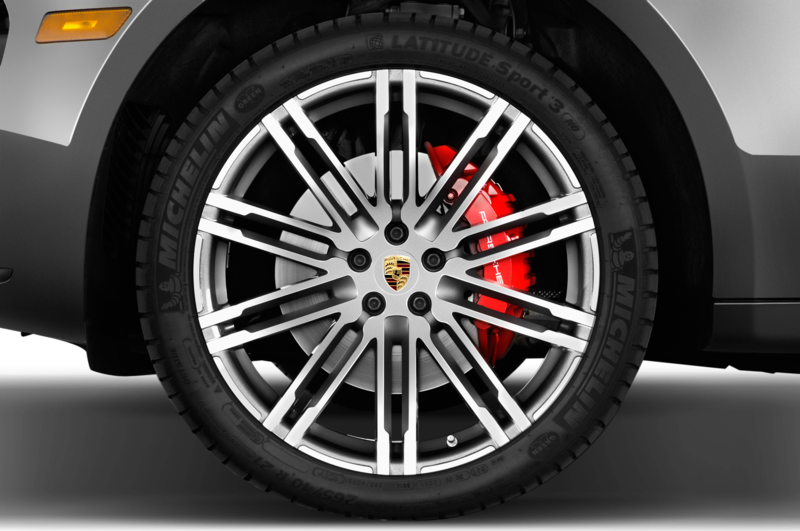 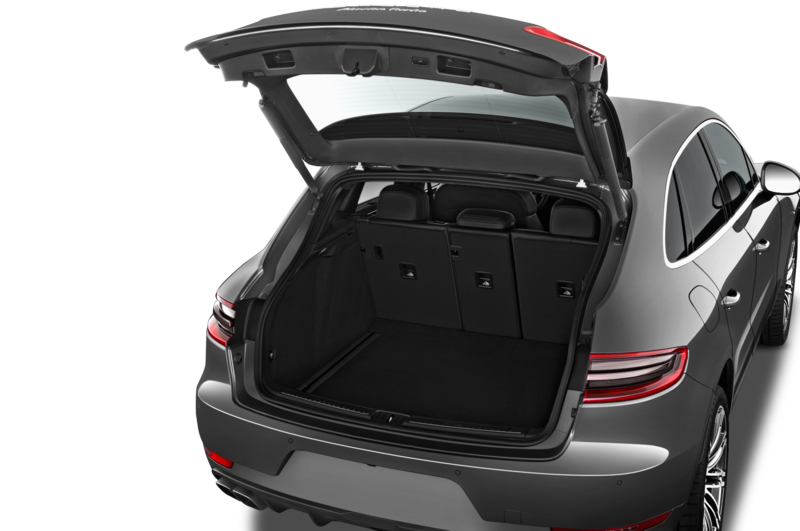 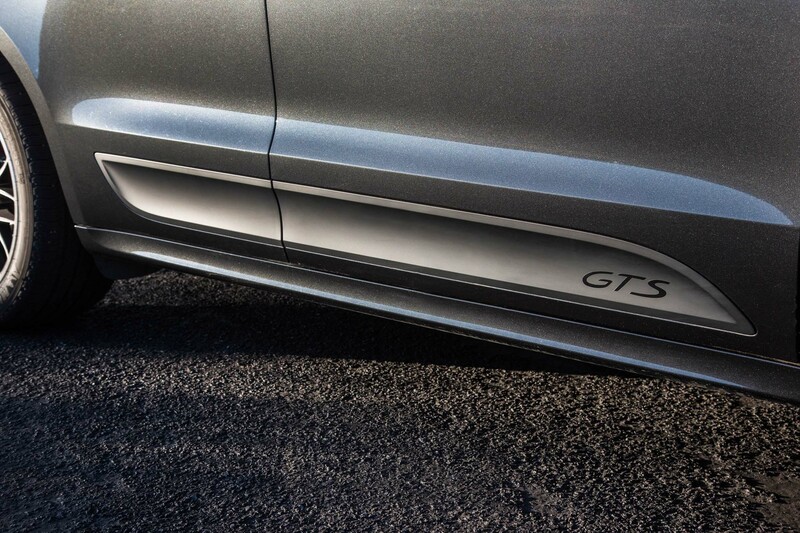 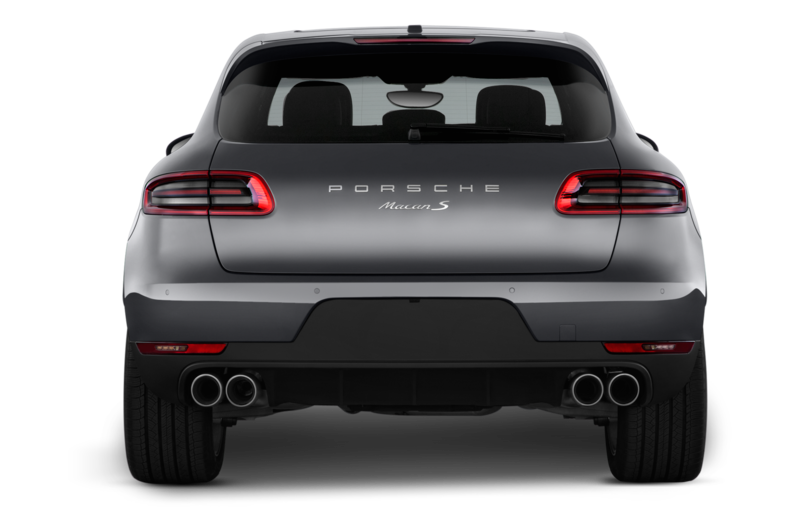 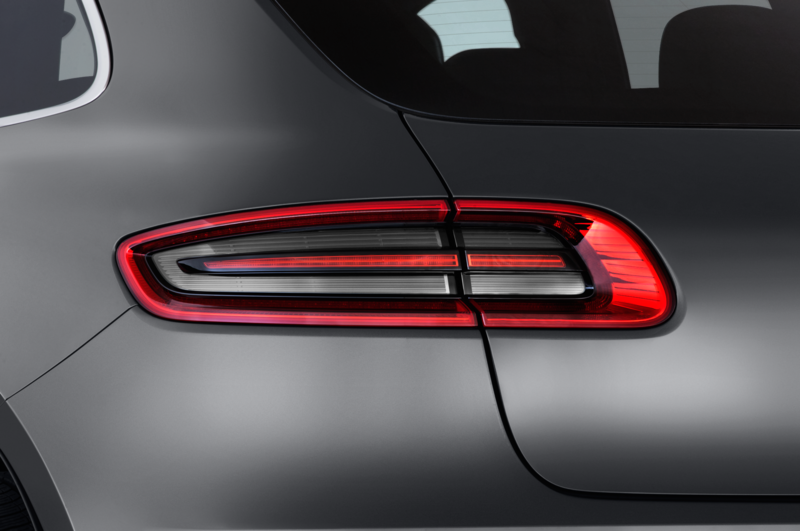 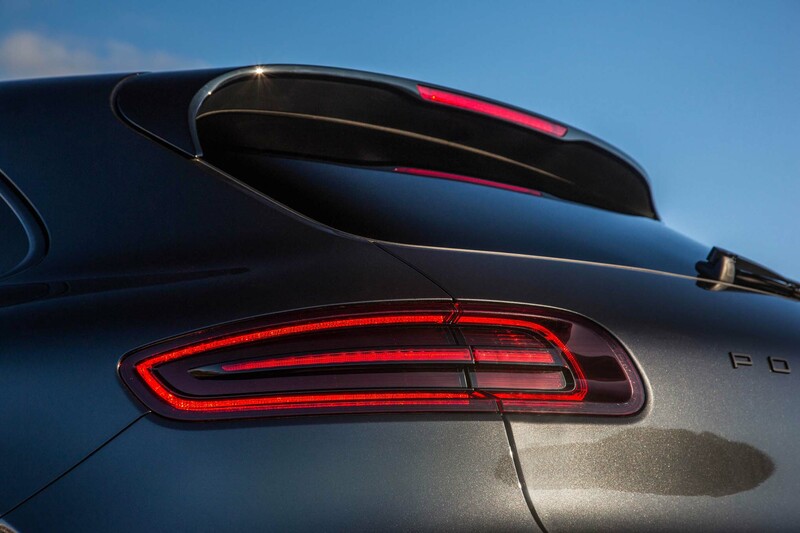 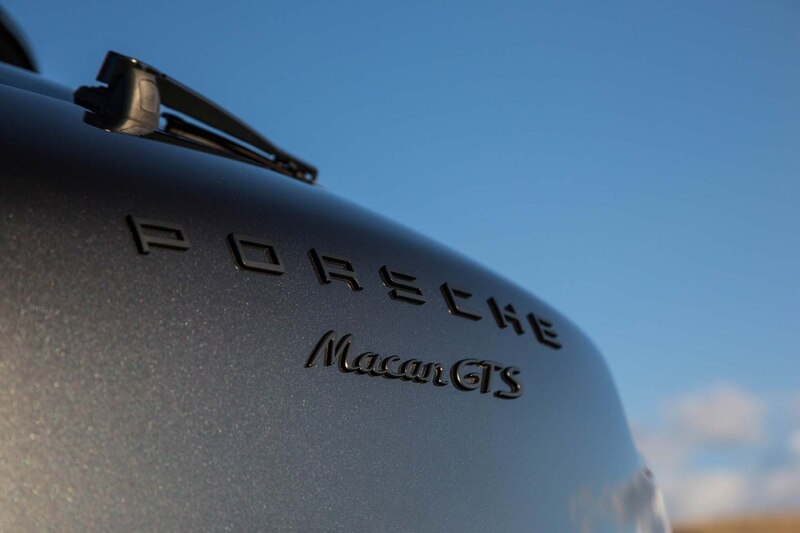 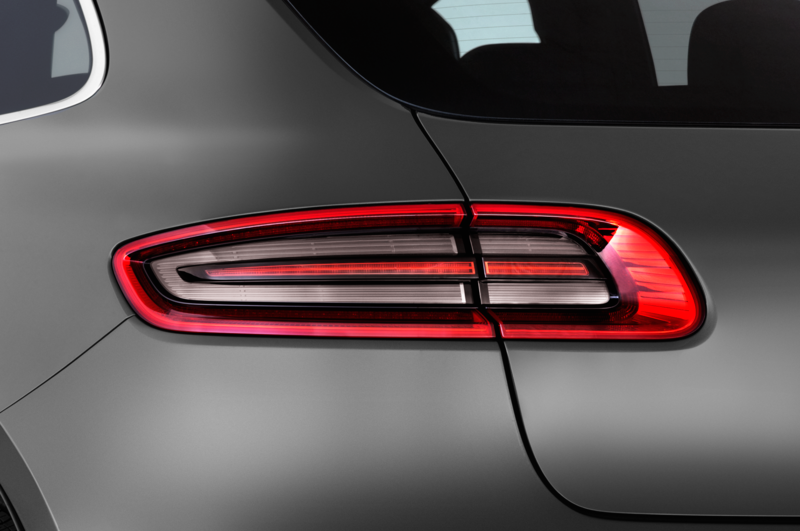 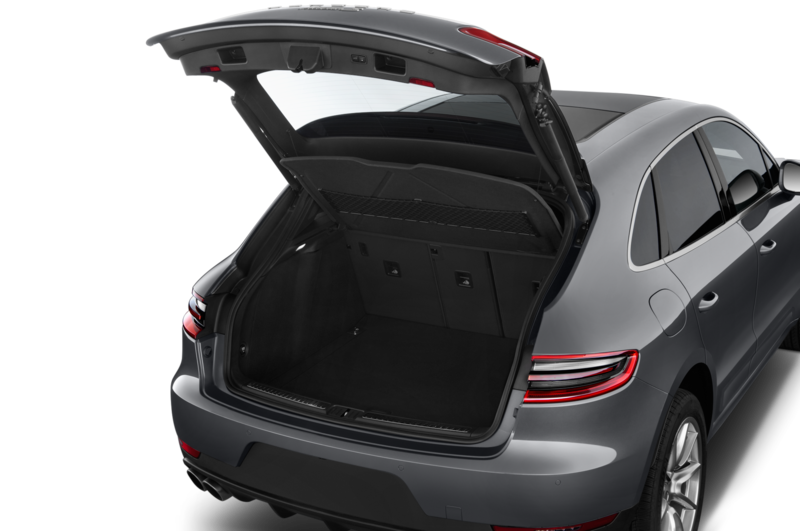 Standard features on the GTS include a rich-sounding performance exhaust and air suspension that benefits from Porsche’s active suspension management, which uses electronically controlled dampers. 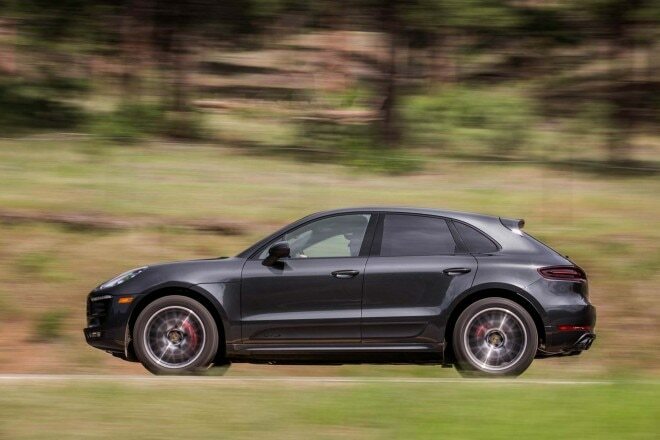 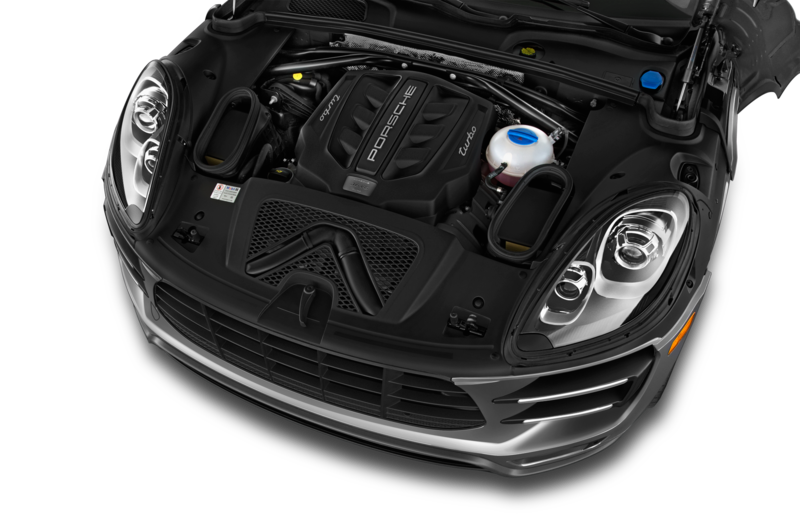 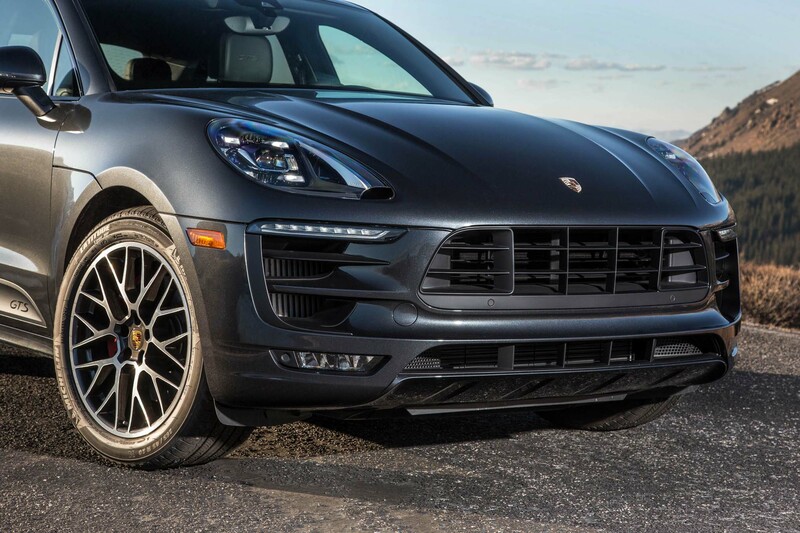 The GTS sits 0.3 inch lower than the 400-hp Macan Turbo and looks especially sinister with its black, 20-inch multi-spoke RS Spyder wheels, which hide 14.1-inch front brake rotors with six-piston calipers and a 12.9-inch, single-piston setup in the rear. 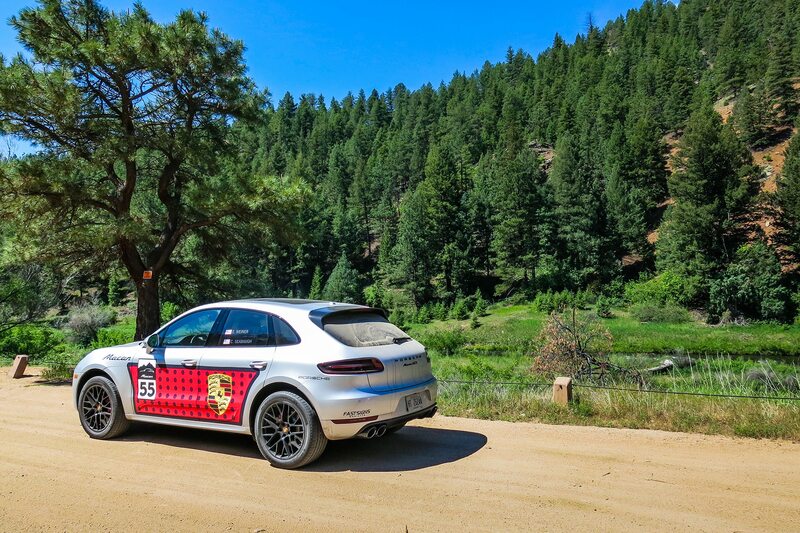 We set off up Pikes Peak, and engine performance wanes as we climb higher and higher, the thin air allowing for only 6.8 psi of boost compared of the GTS’ usual 17.4 psi. 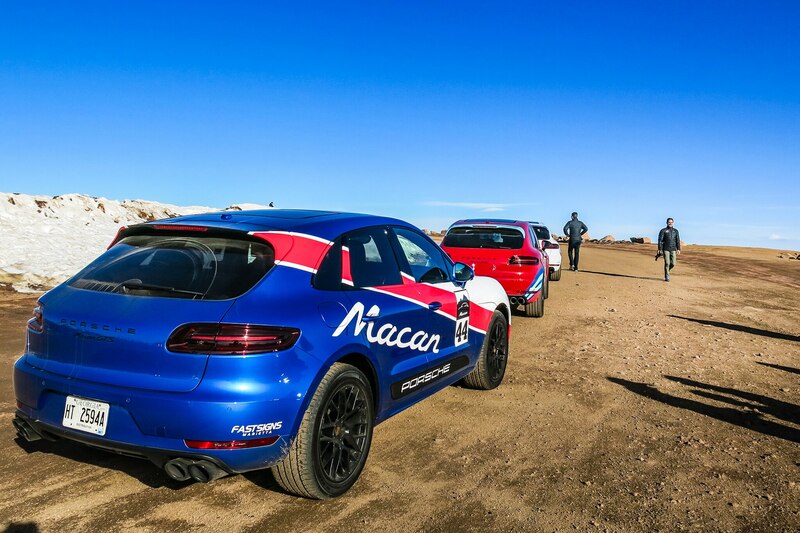 As a result, we rely on the beautiful balance of the Macan GTS’ chassis, ripping around corners as we trace Zwart’s racing line. 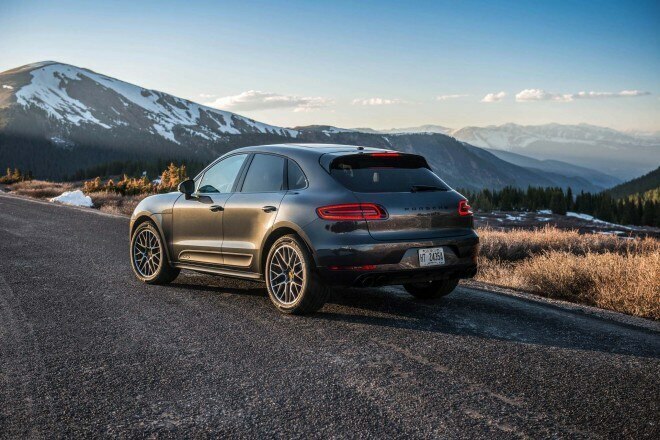 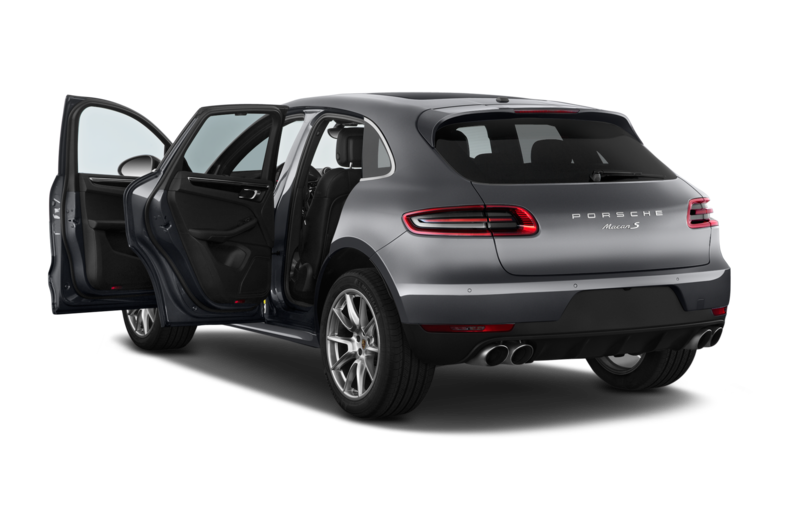 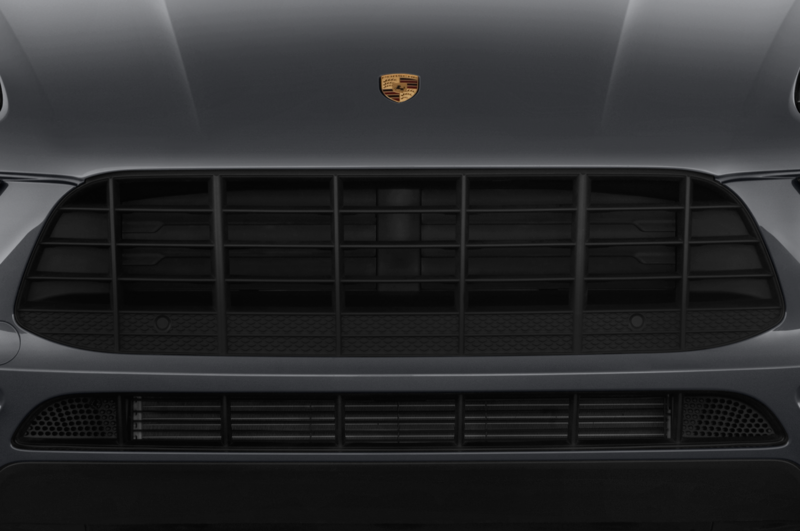 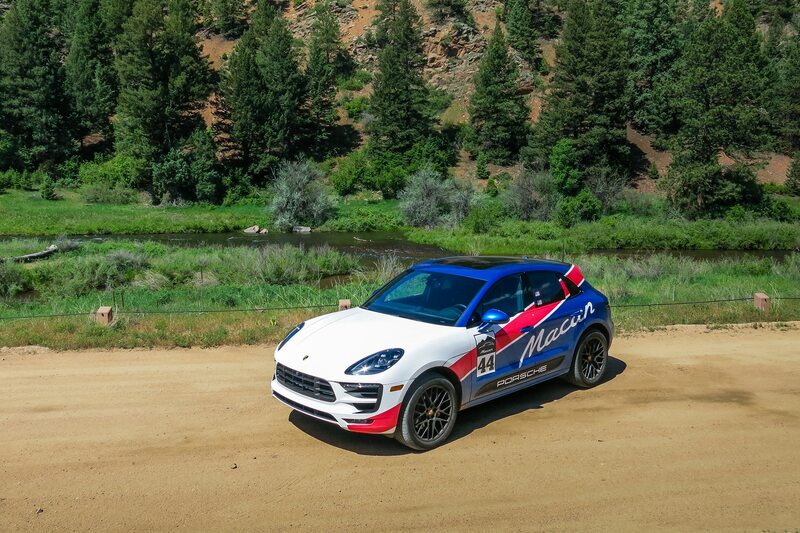 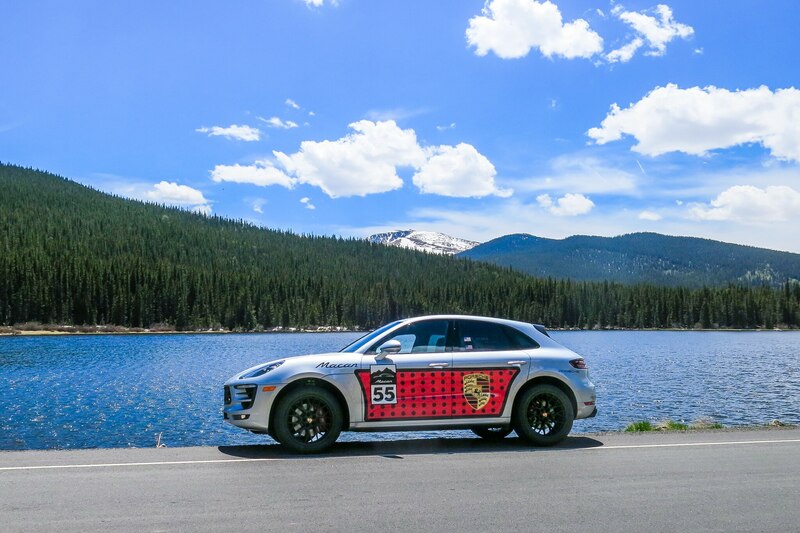 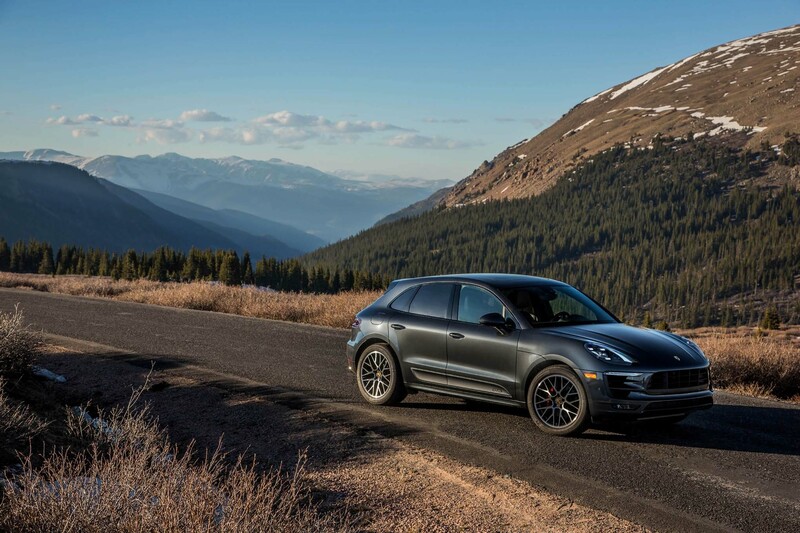 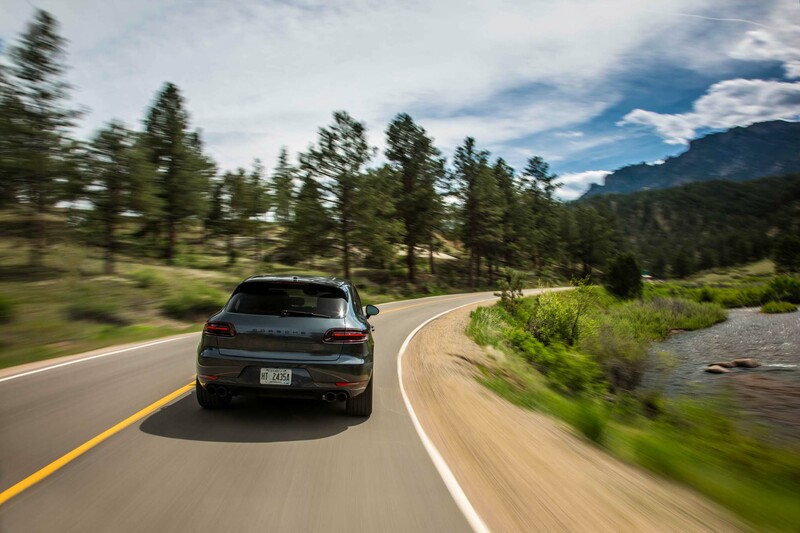 The rear-biased all-wheel-drive system helps the Macan rotate around corners like a proper Porsche, and the tail whips from hairpin to hairpin with the eagerness of a border collie. 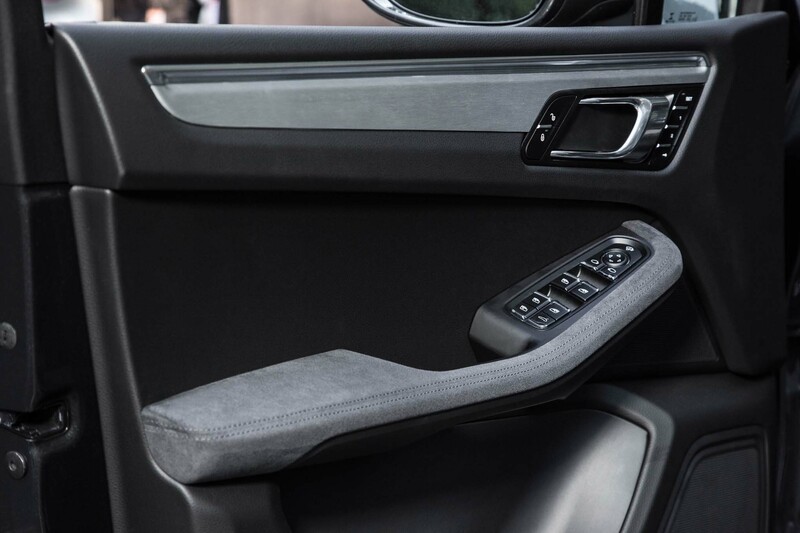 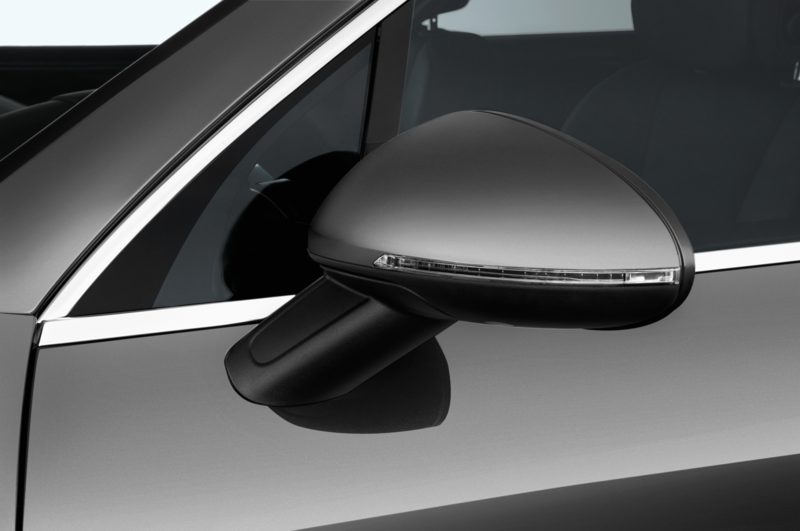 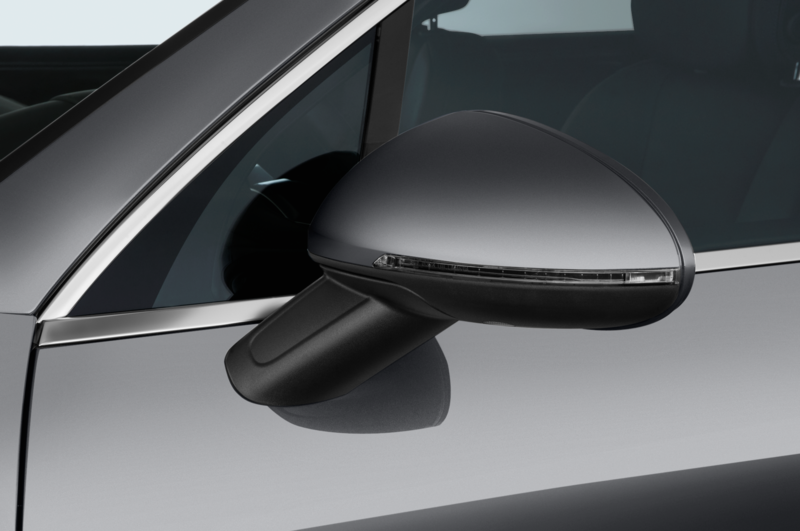 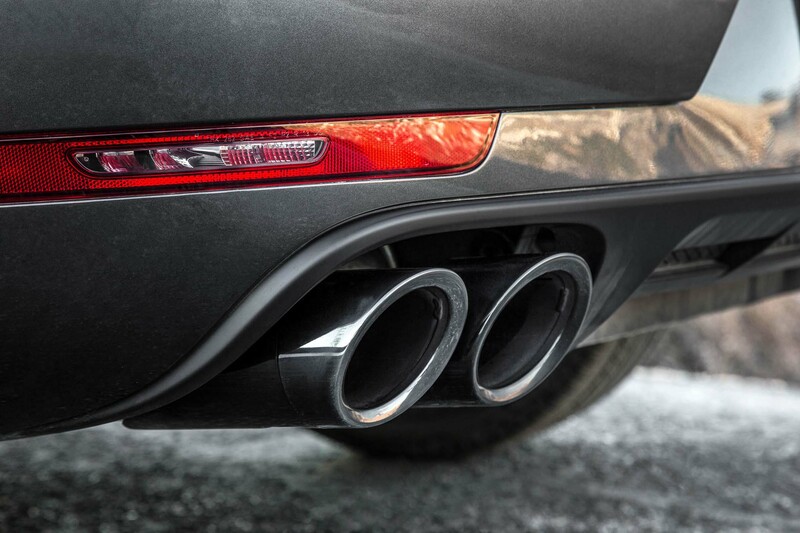 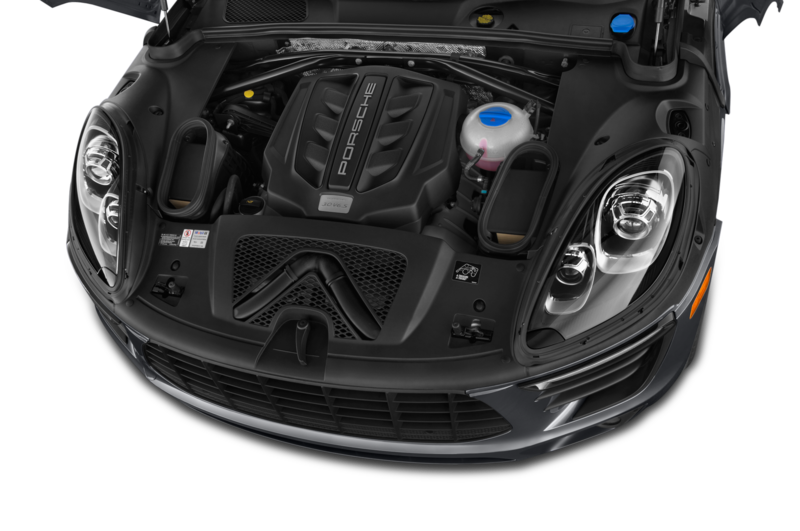 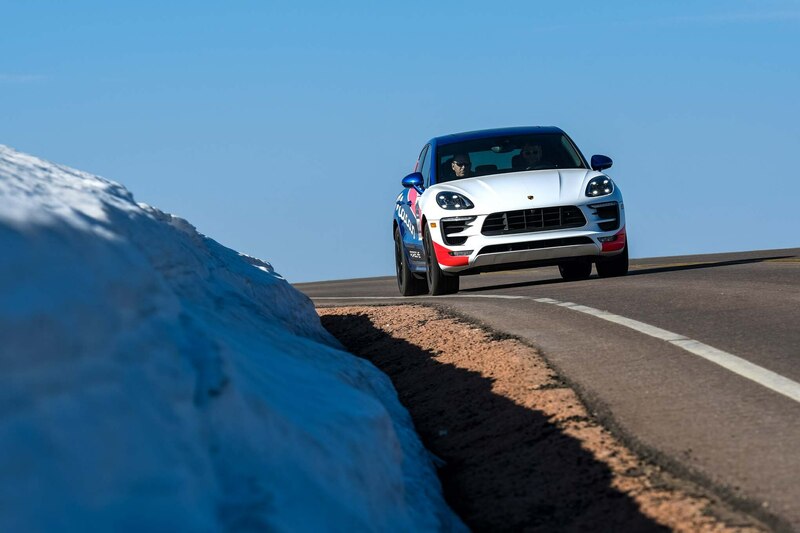 The sporty tune used for the Macan GTS’ stability control system allows for almost double the yaw, and the must-have torque-vectoring option selectively delivers torque between the rear wheels. 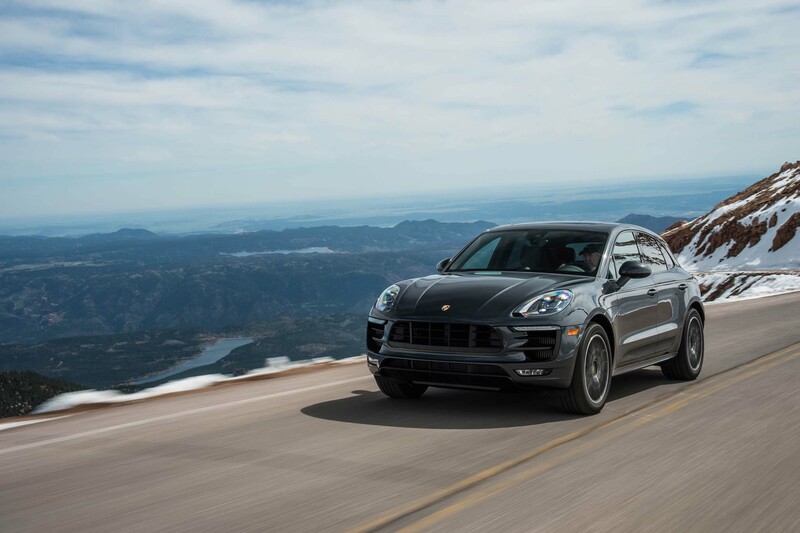 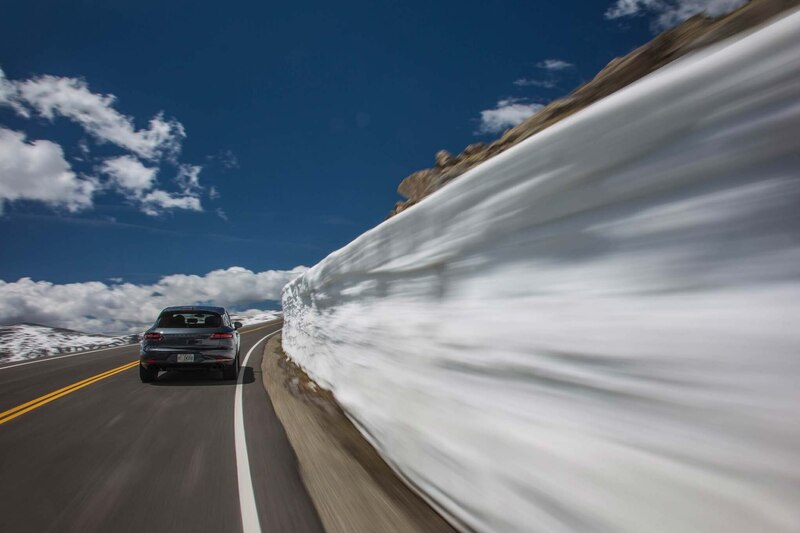 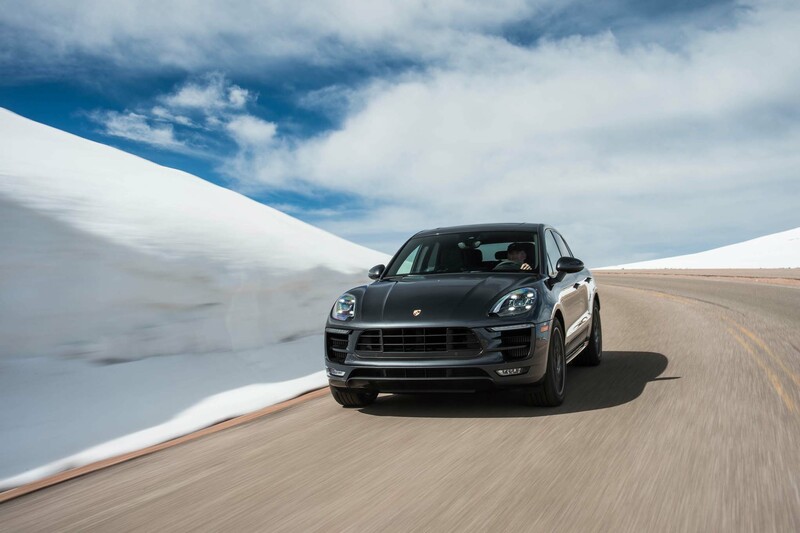 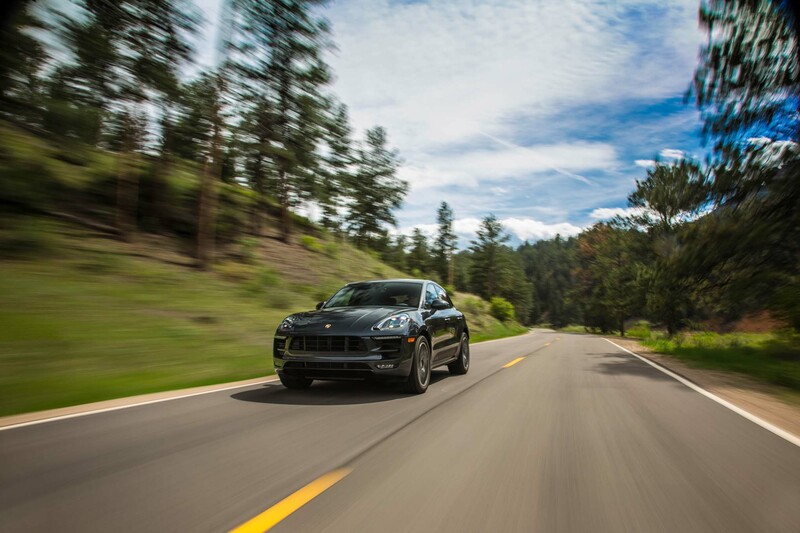 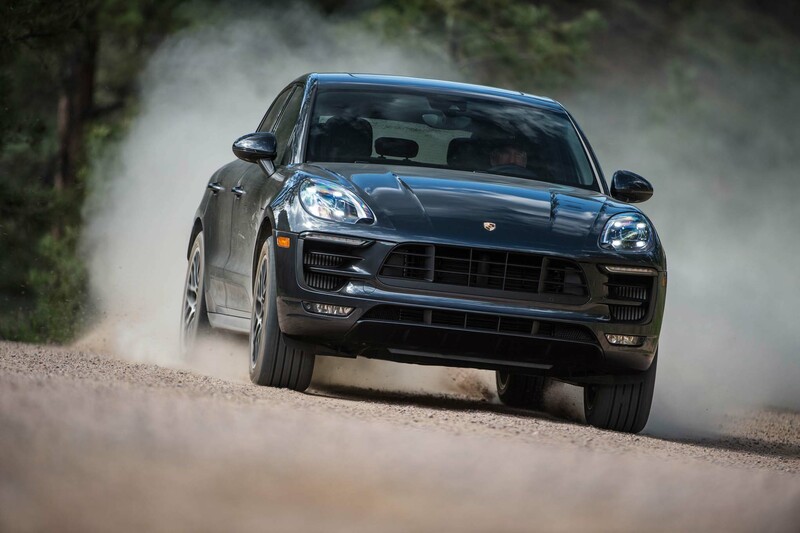 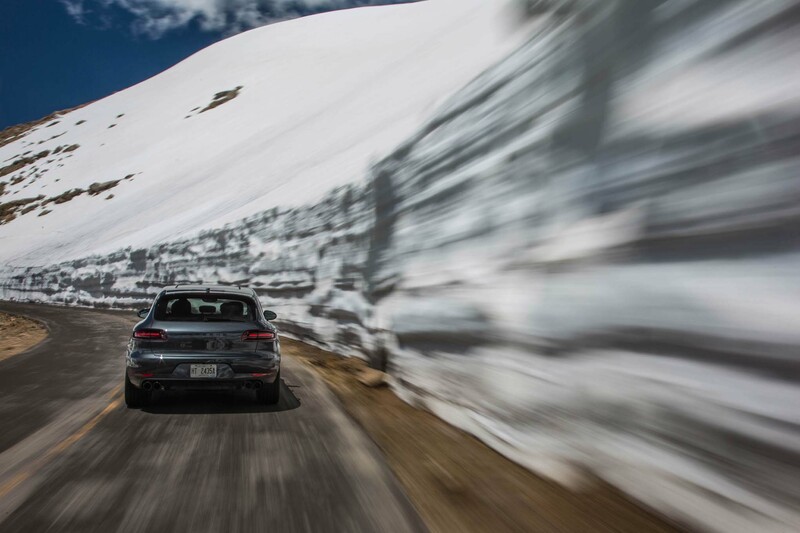 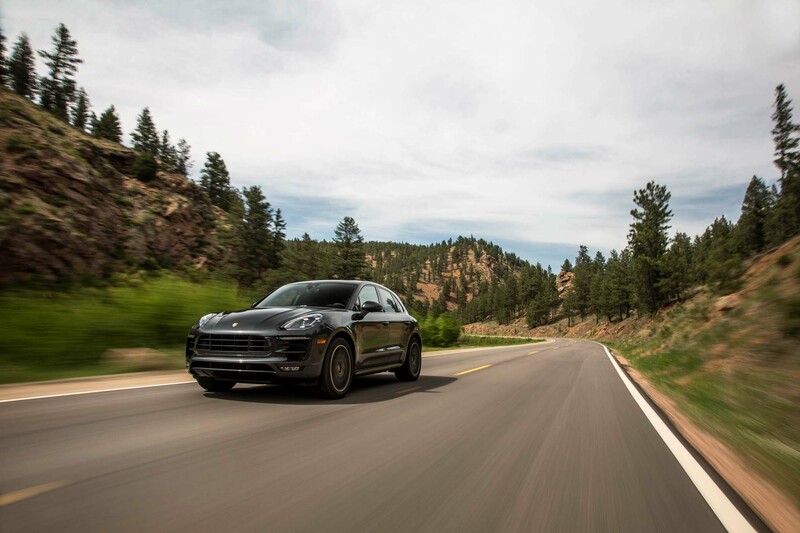 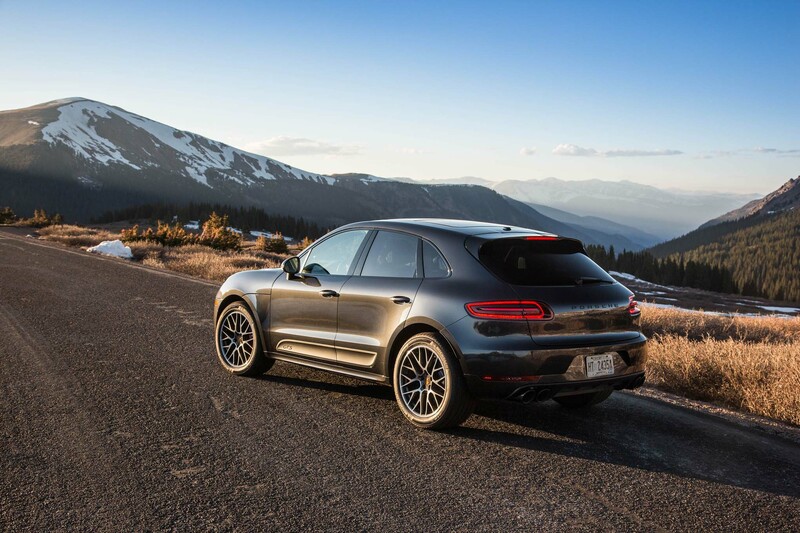 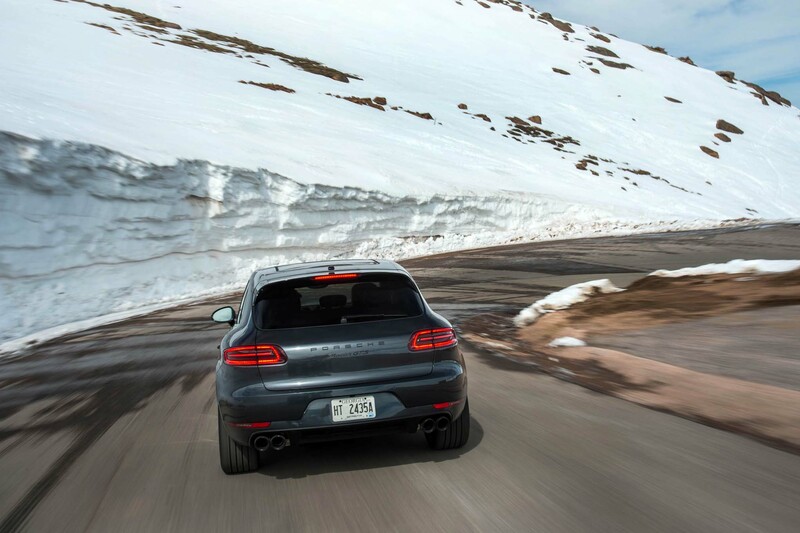 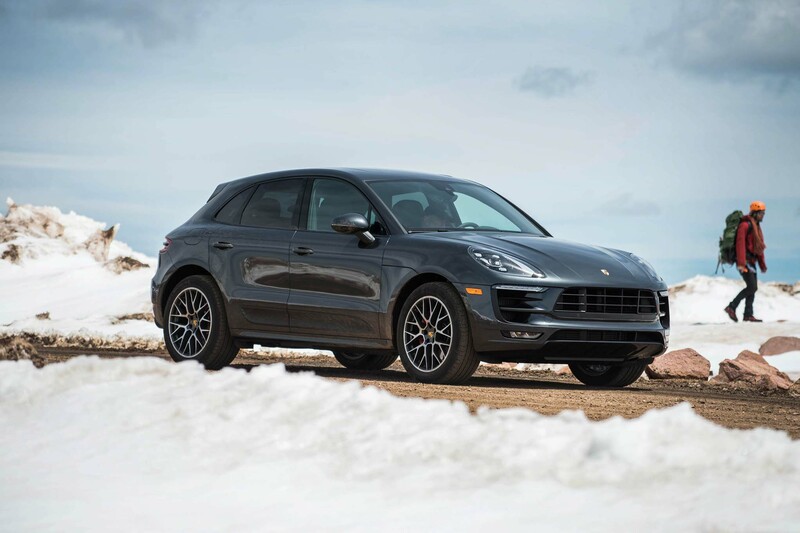 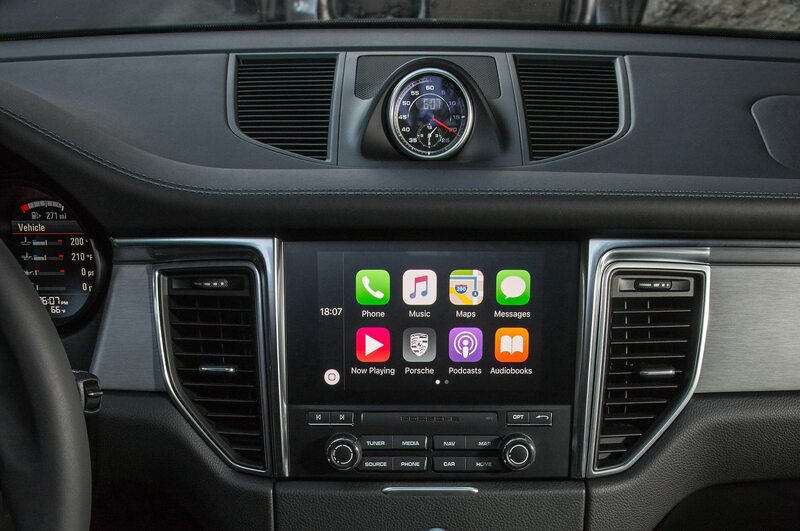 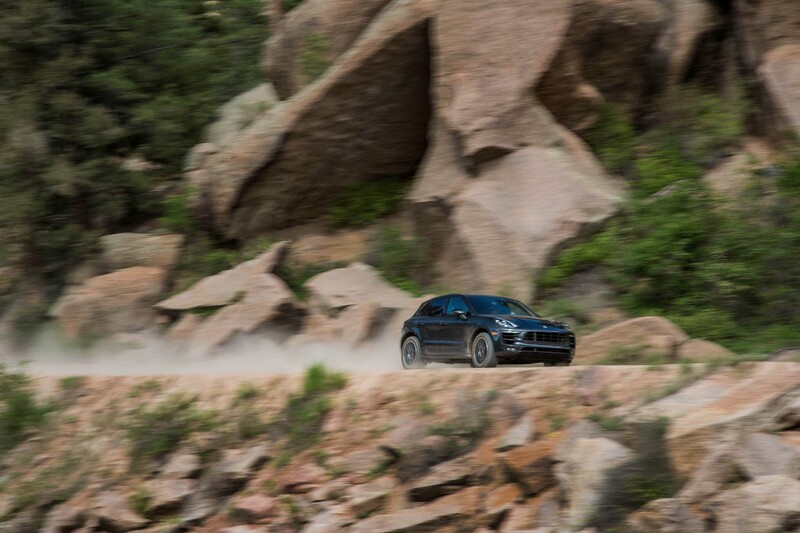 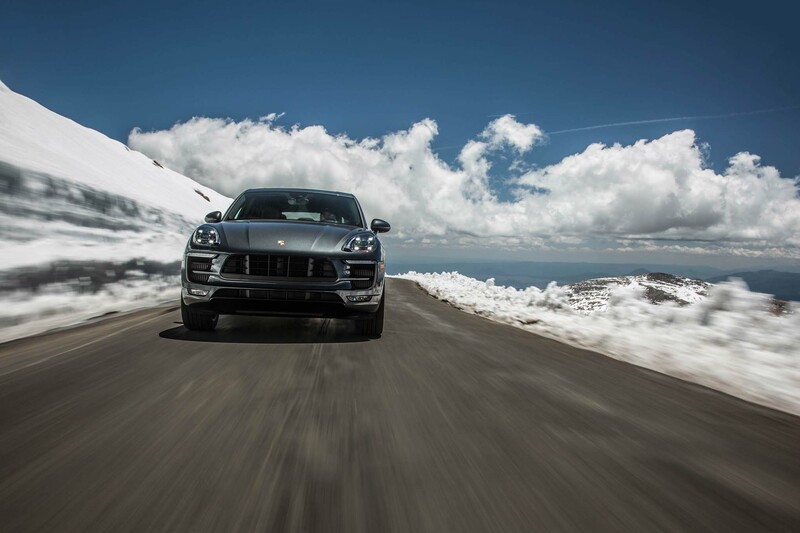 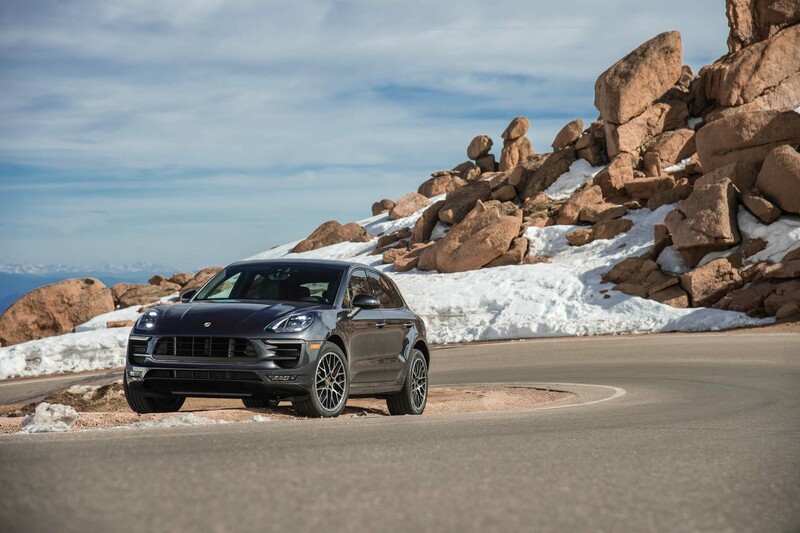 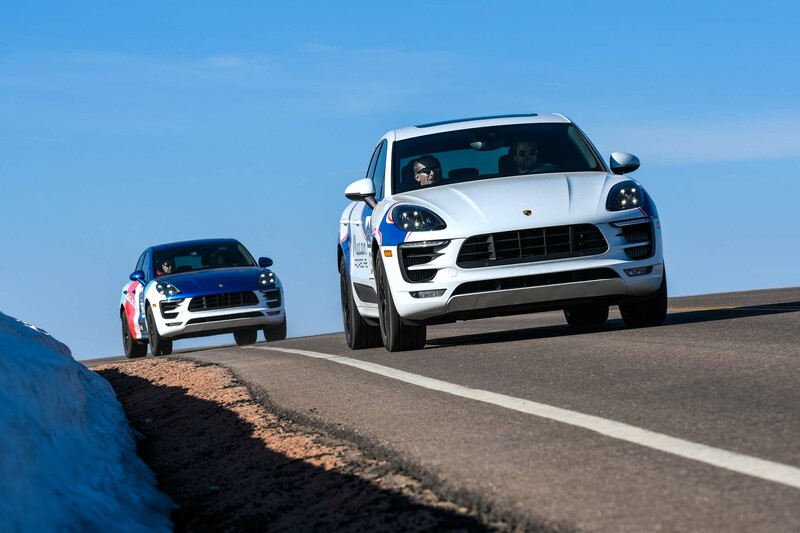 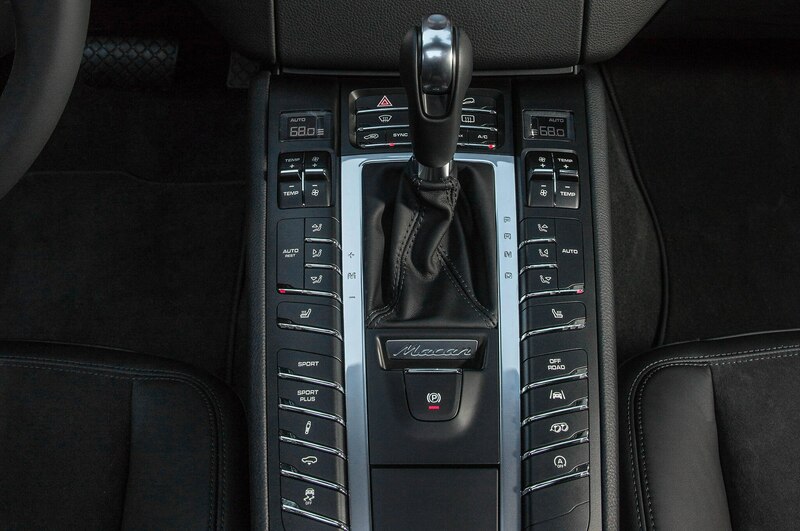 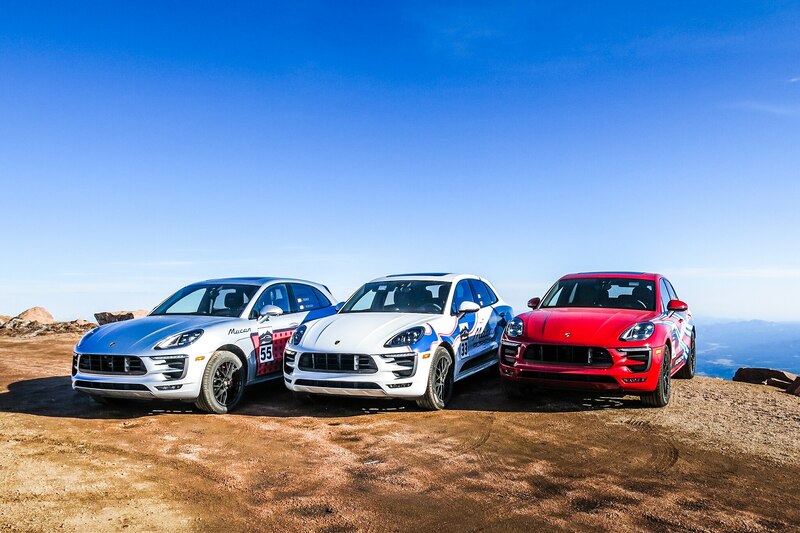 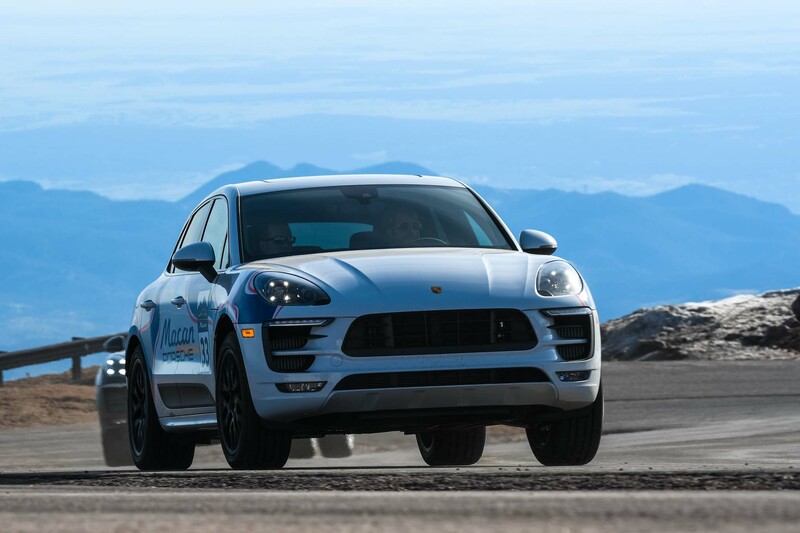 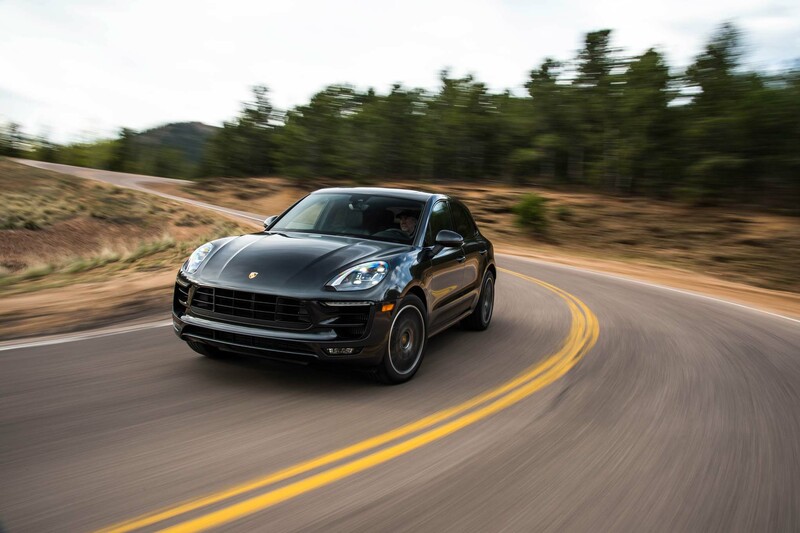 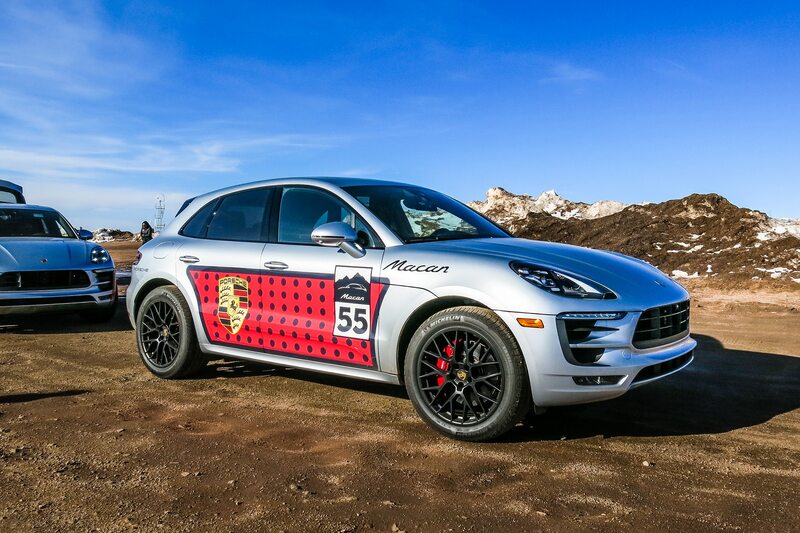 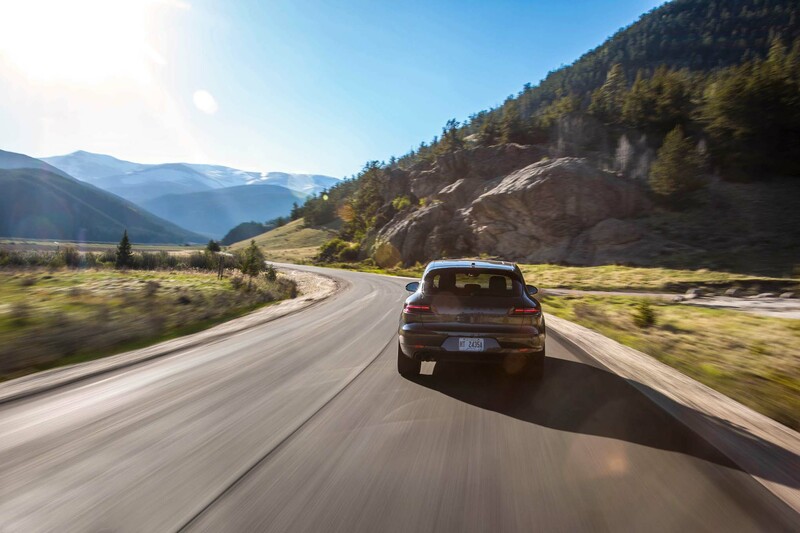 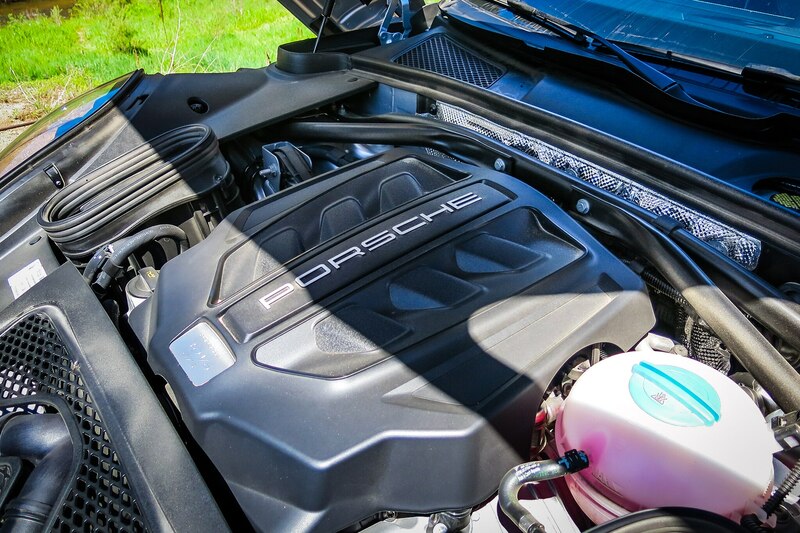 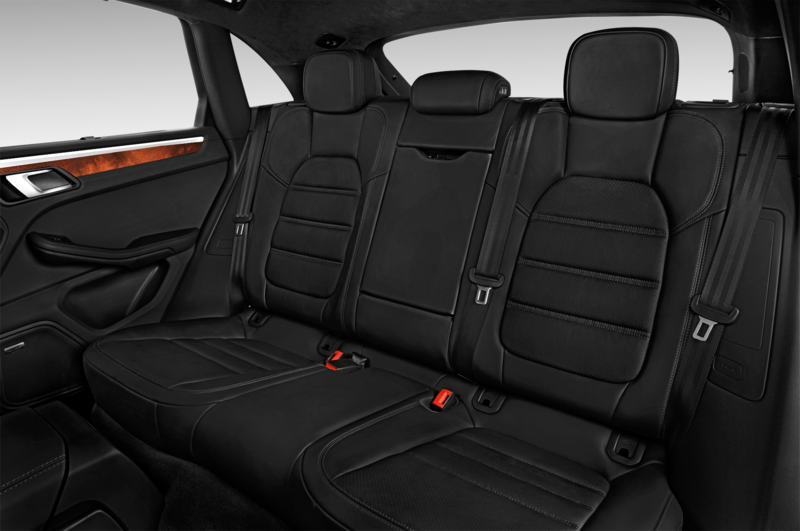 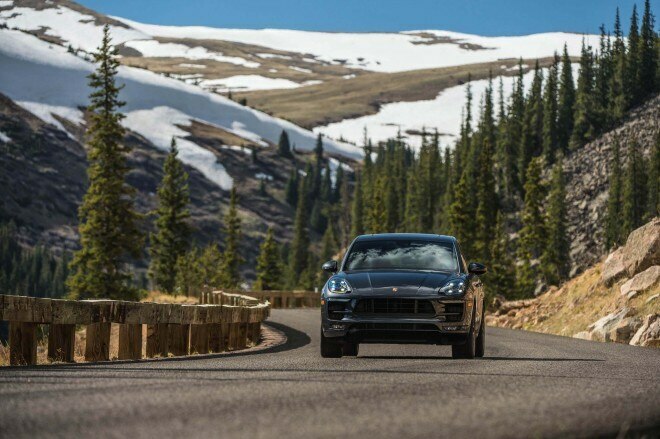 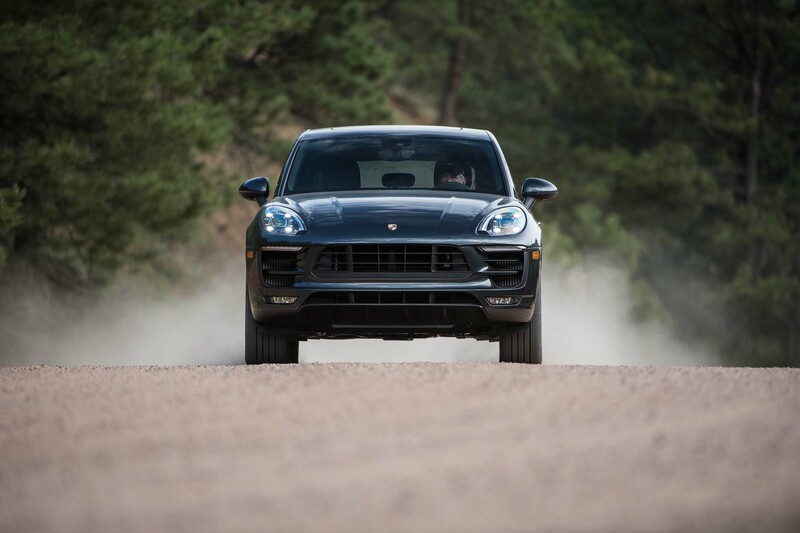 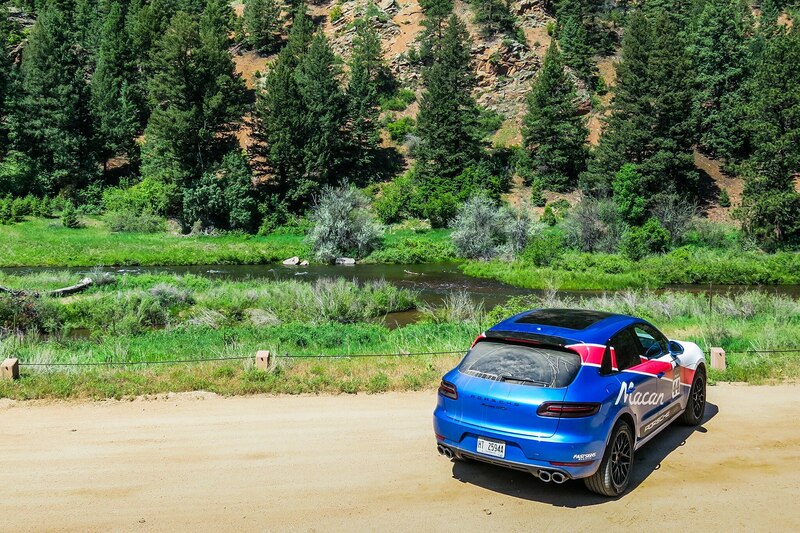 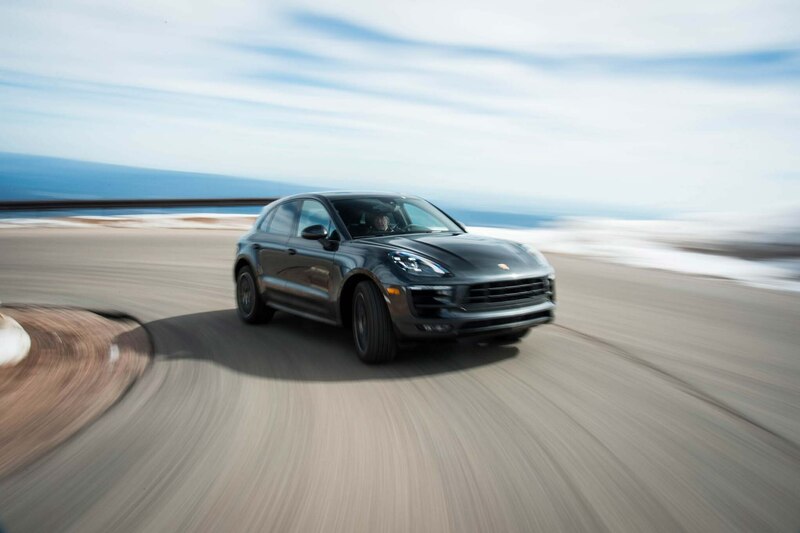 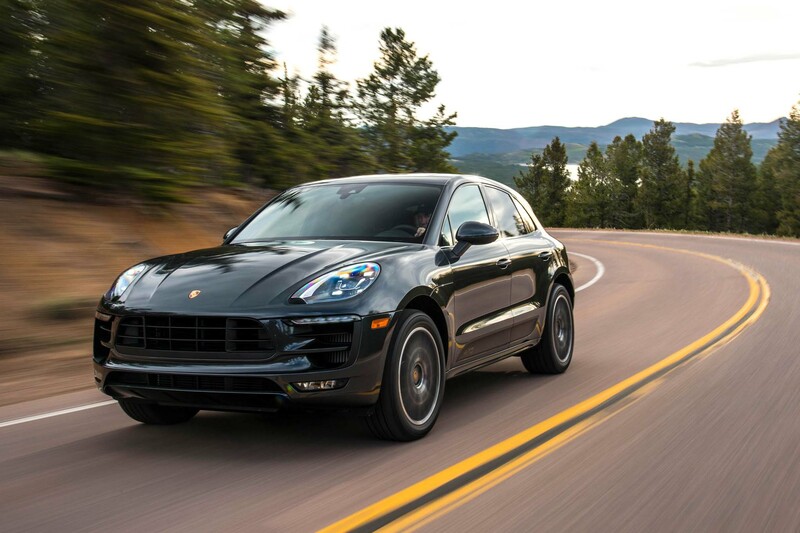 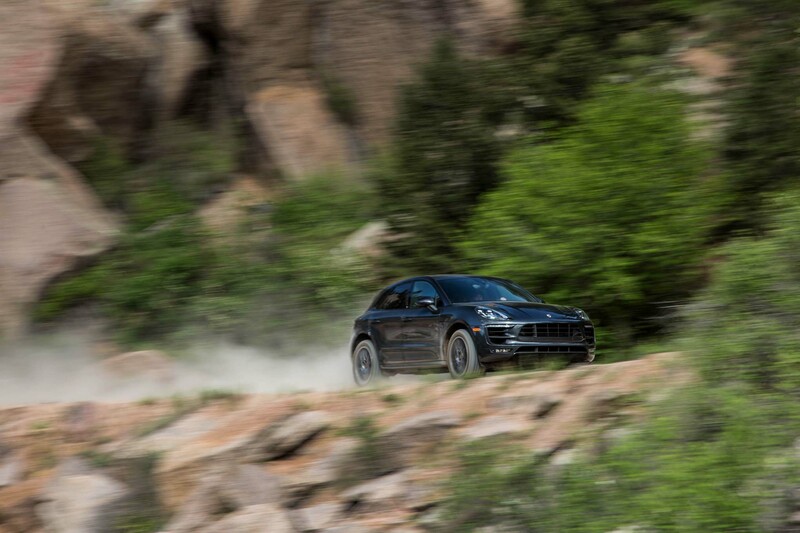 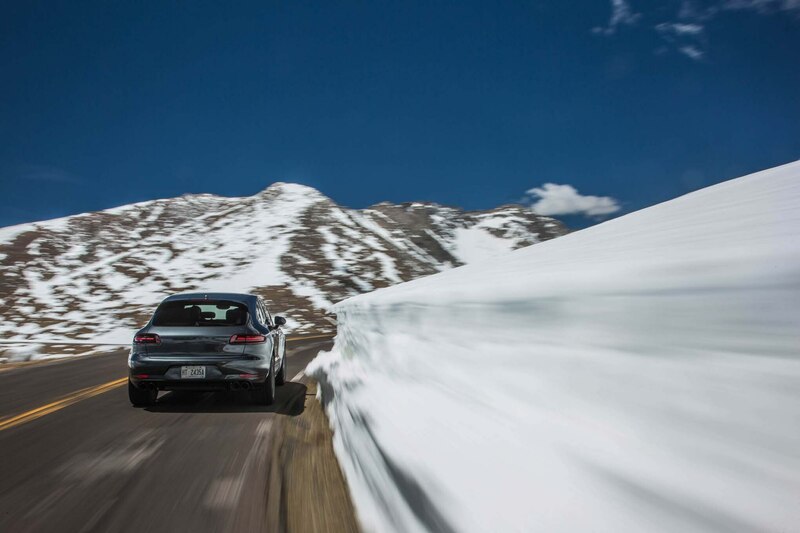 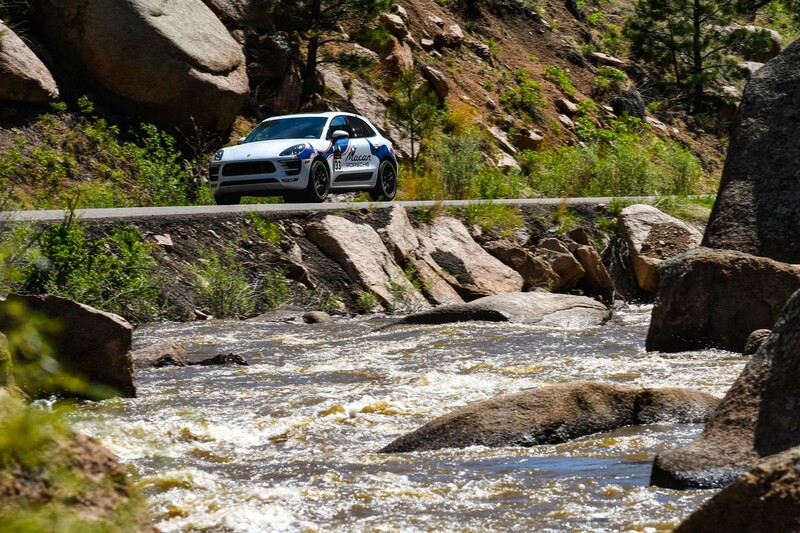 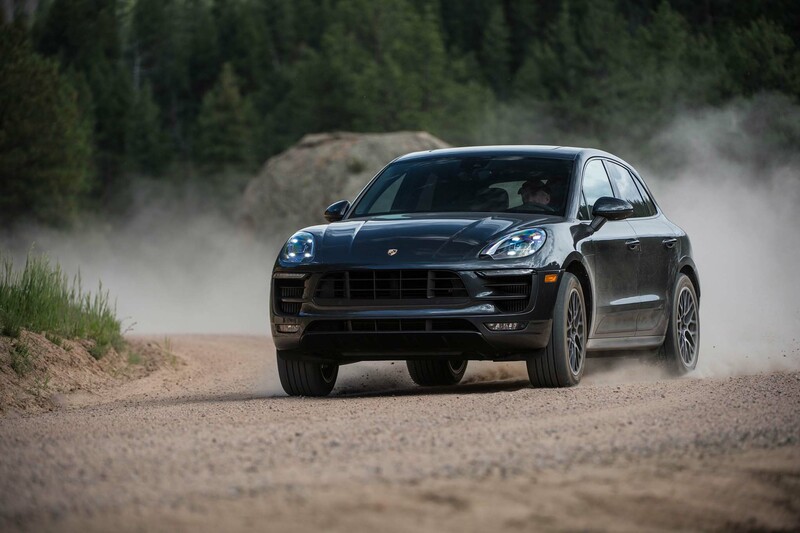 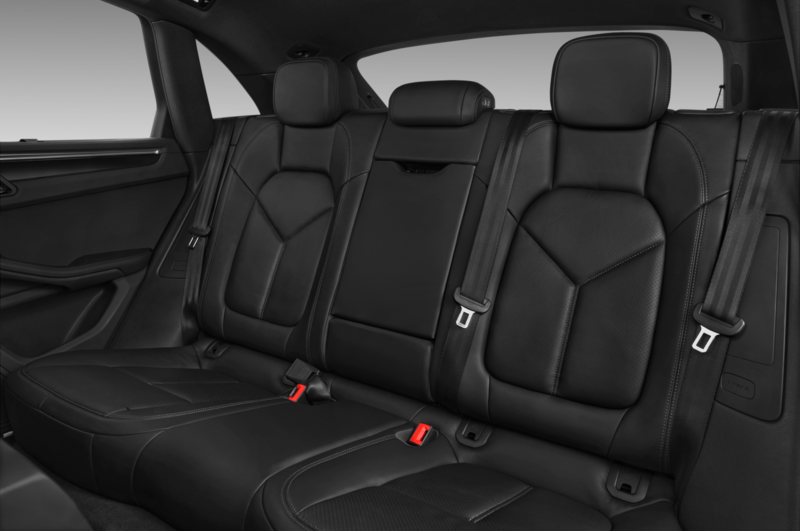 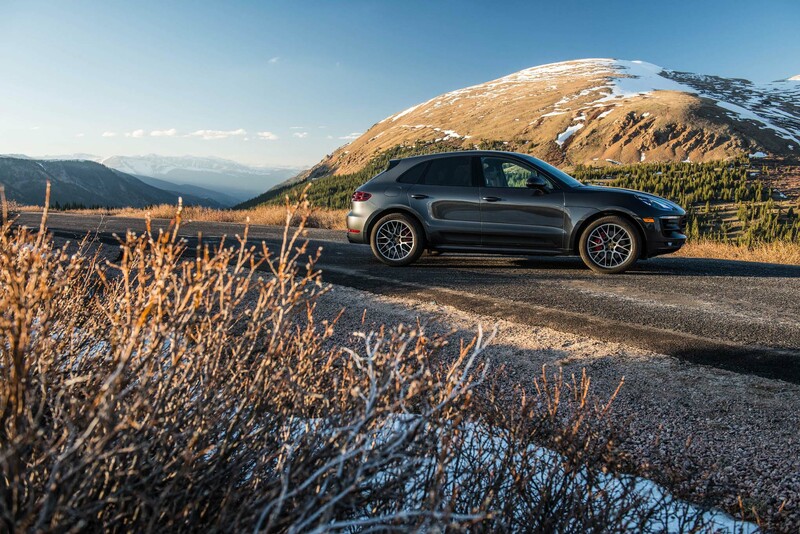 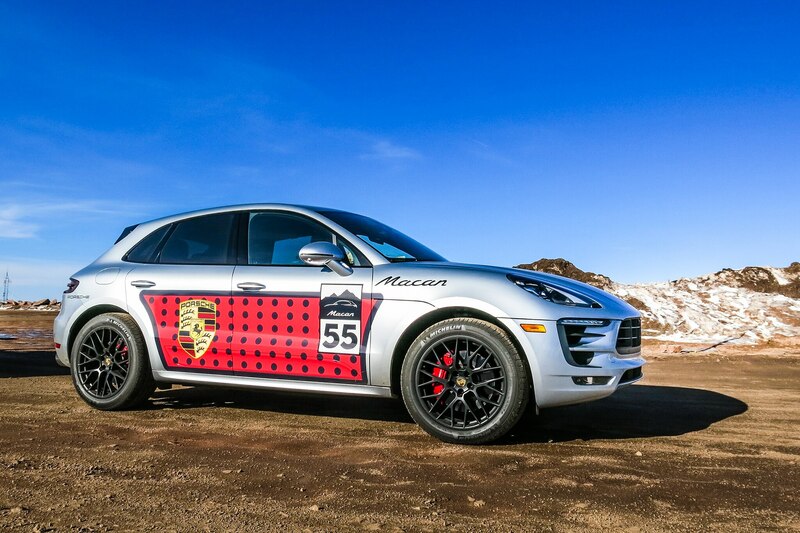 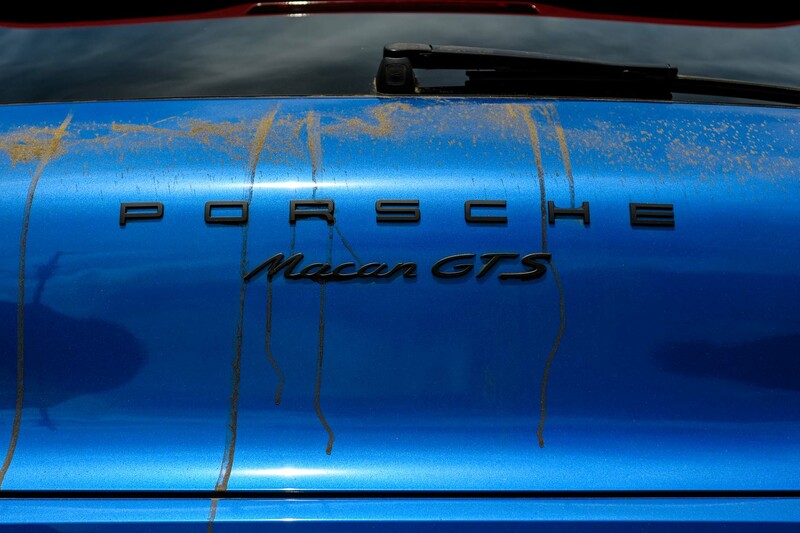 Neither overzealous driving nor rough patches of pavement can upset the Macan’s composure. 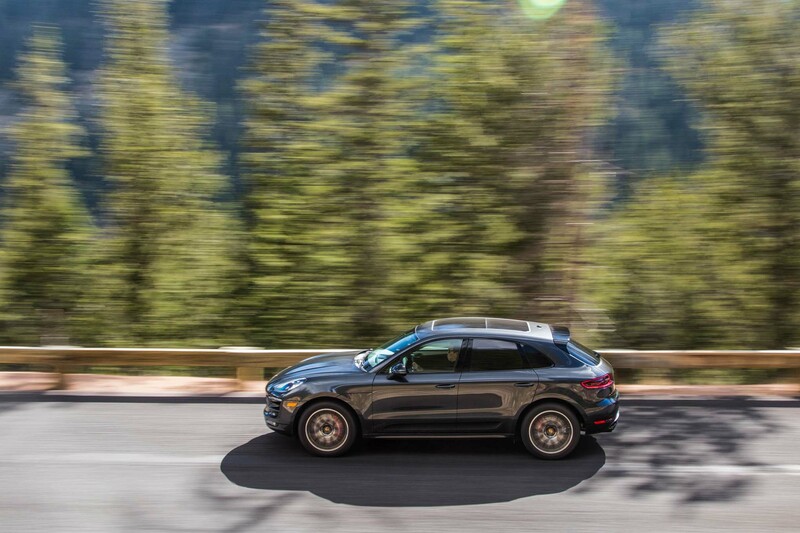 The confidence and pleasure you feel driving the Macan GTS is a cut above any other crossover in its class. 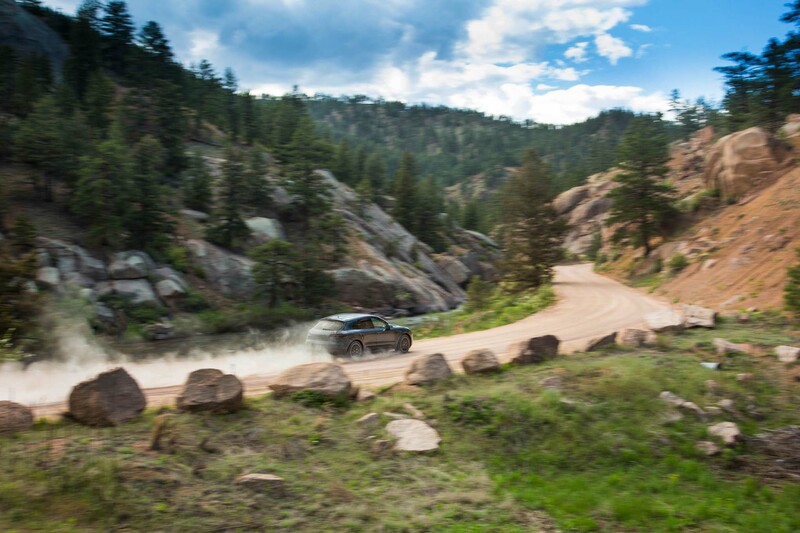 We’re blissfully unaware of wet sections of road, scattered dirt clods, distractingly beautiful vistas, and harrowing potential death-drops. 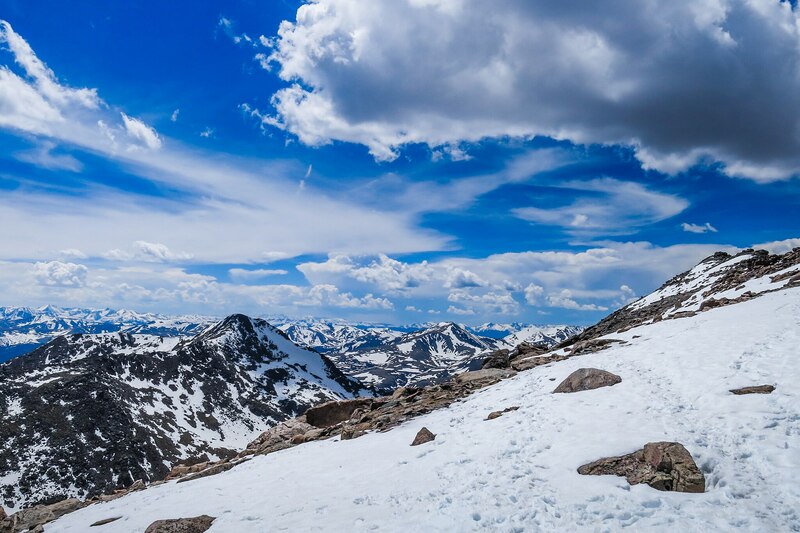 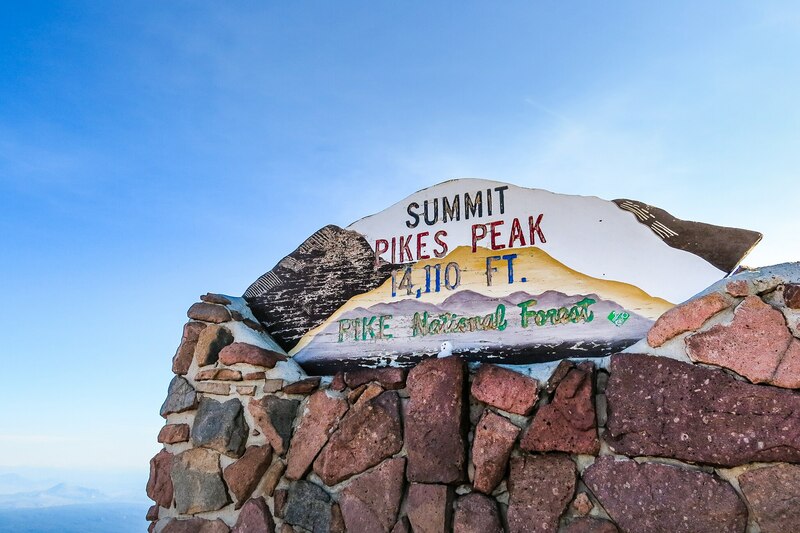 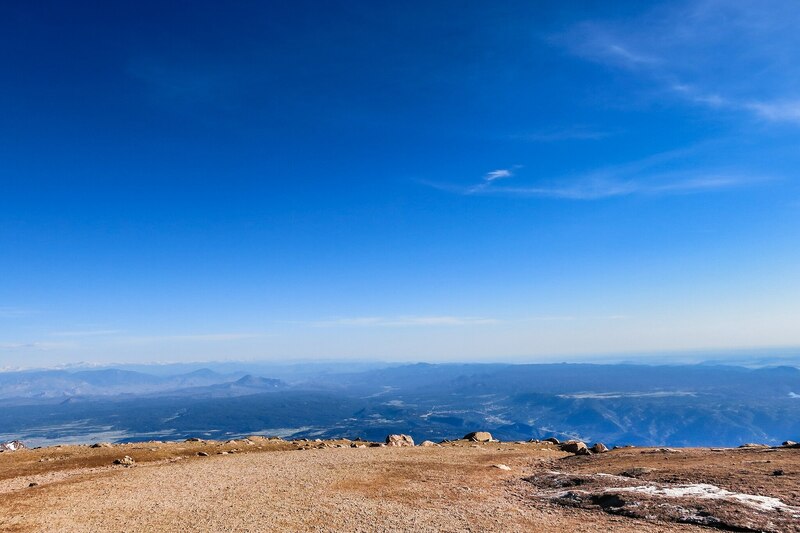 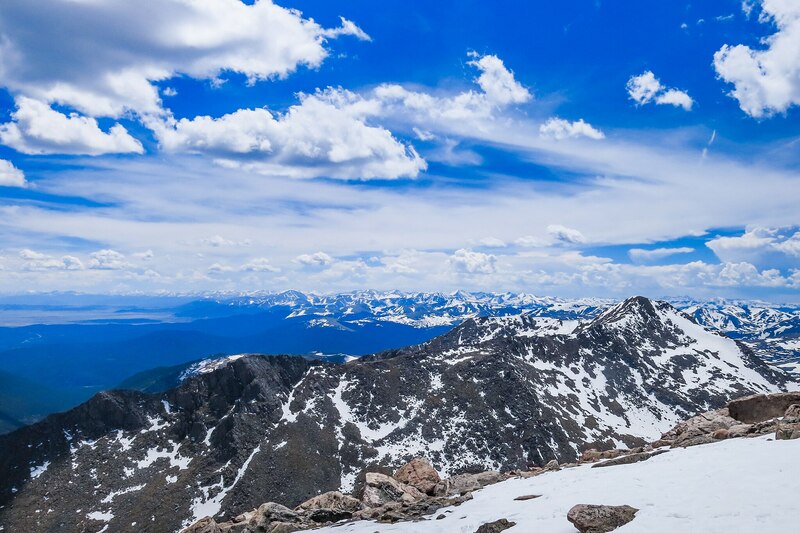 Confidence, Zwart says, is key to successfully running up Pikes Peak. 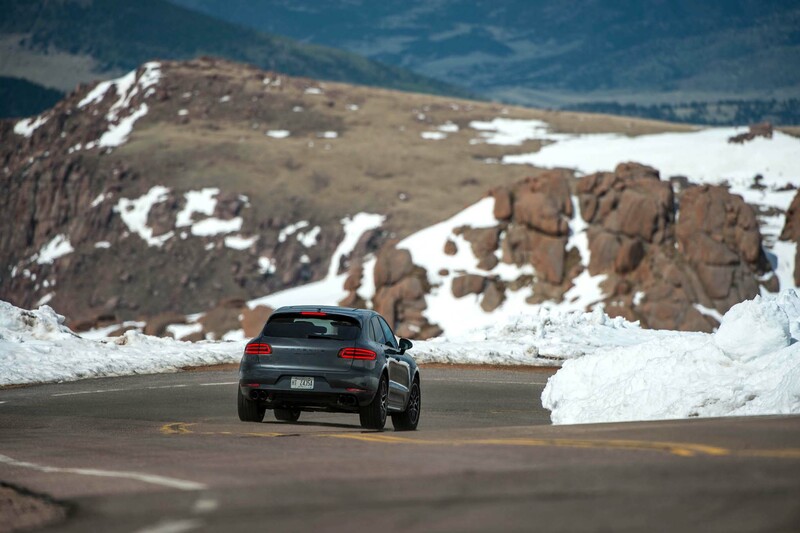 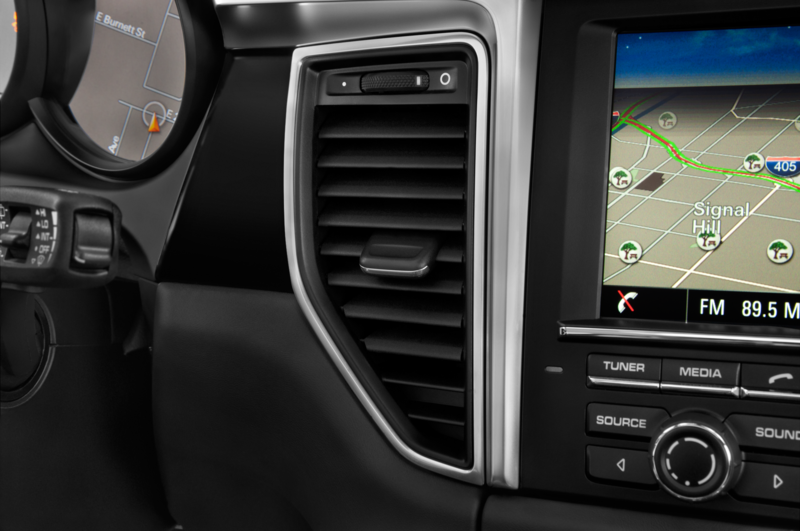 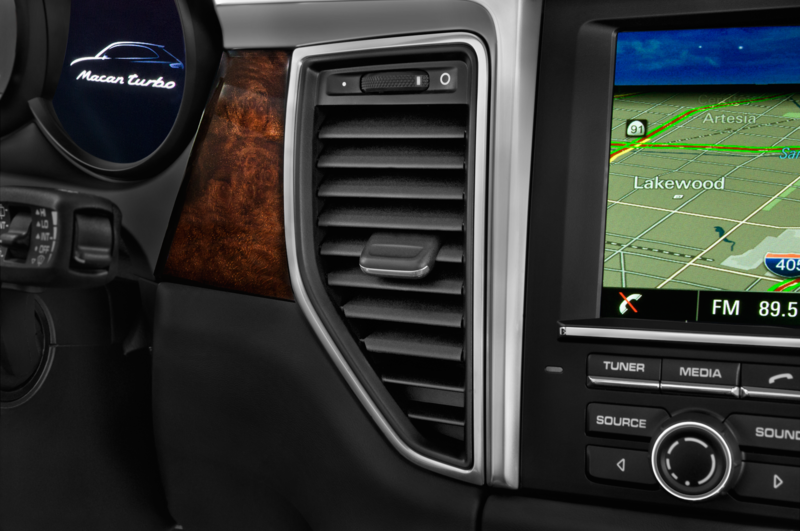 “It’s as much about trusting the car as it is knowing the road,” he says. 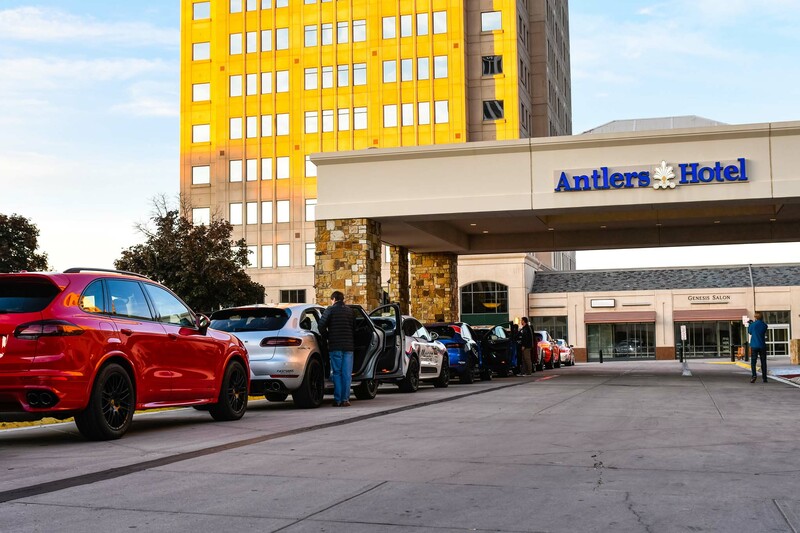 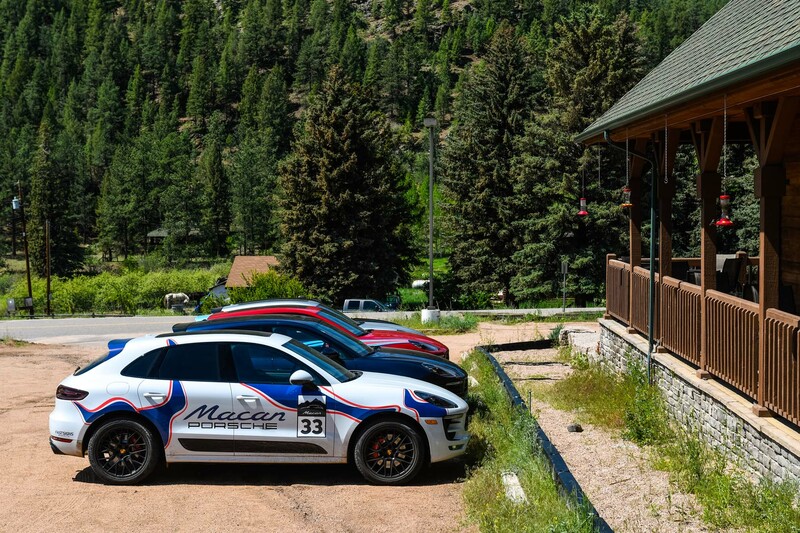 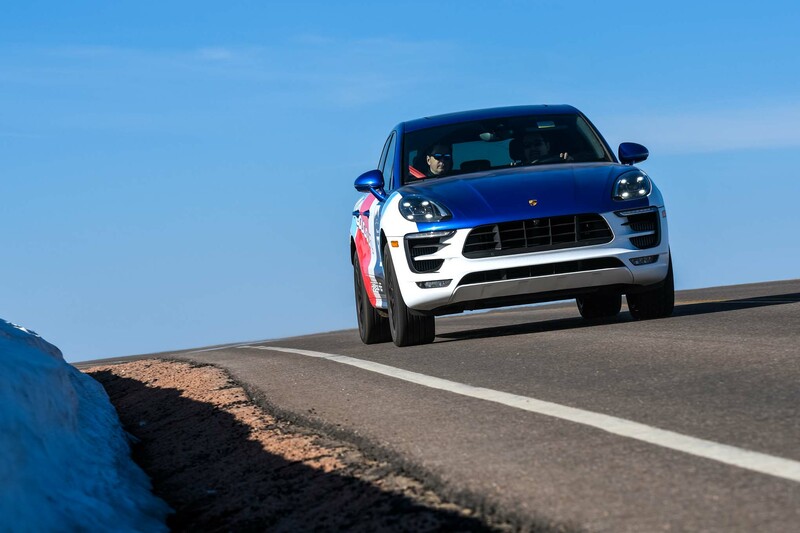 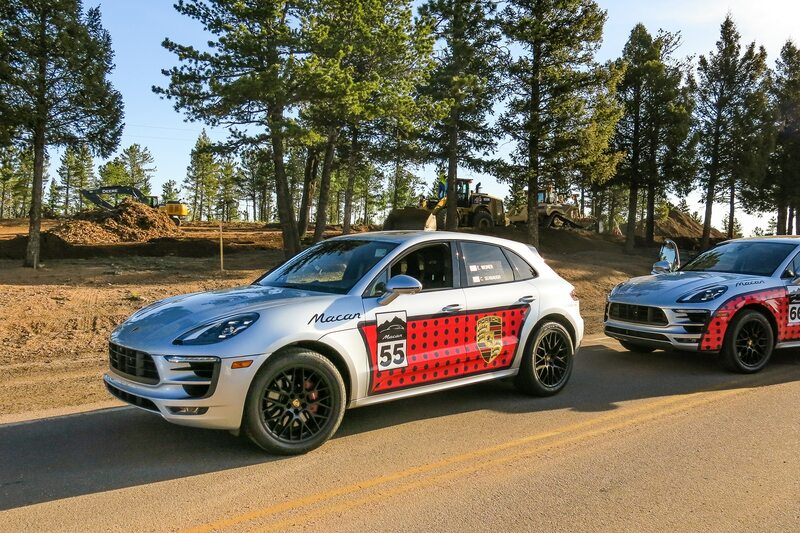 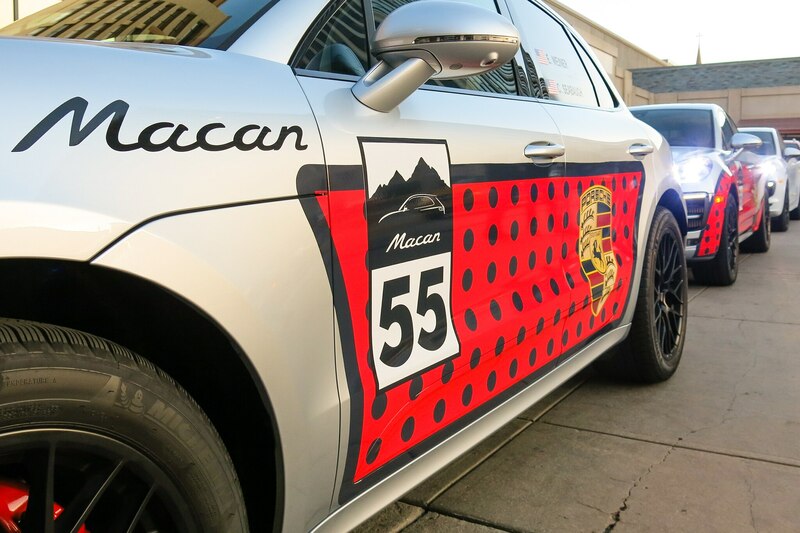 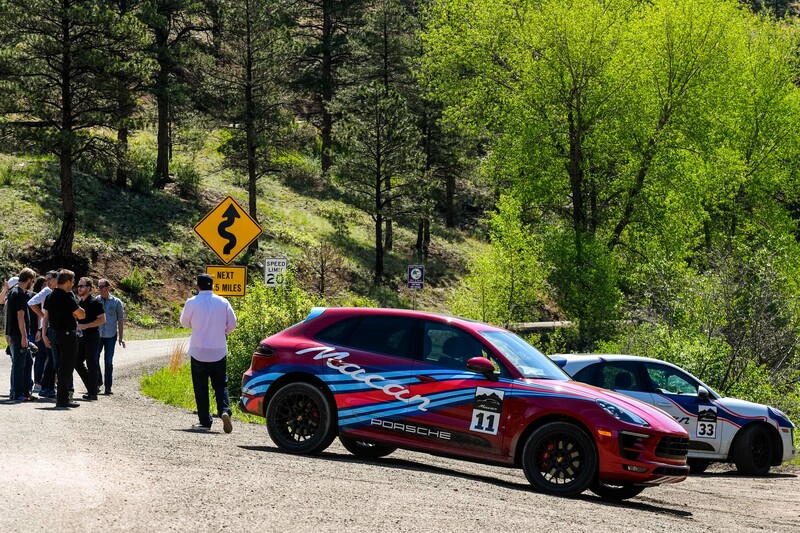 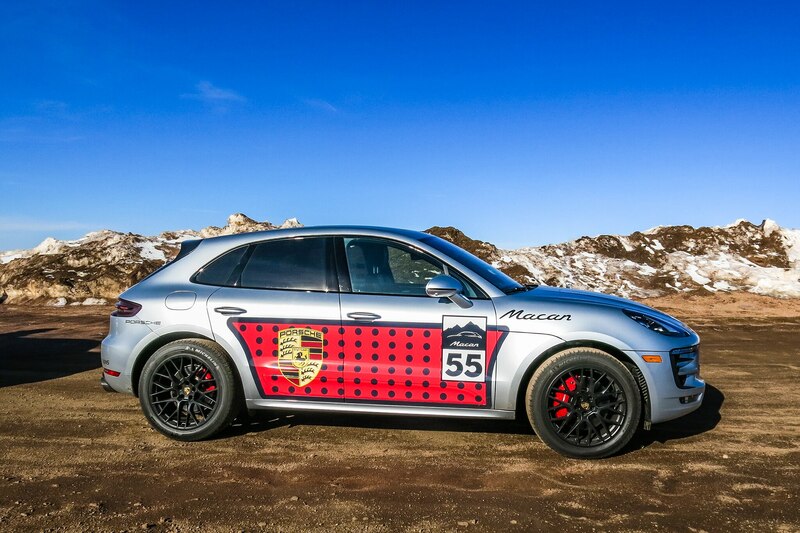 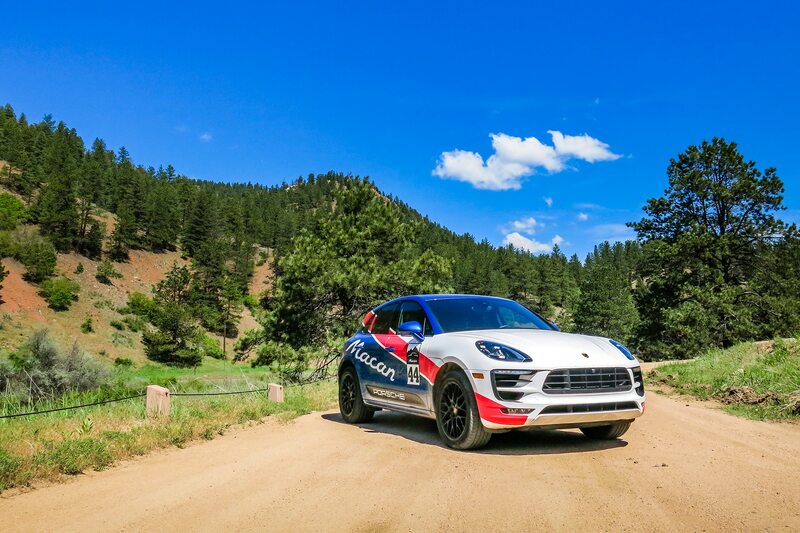 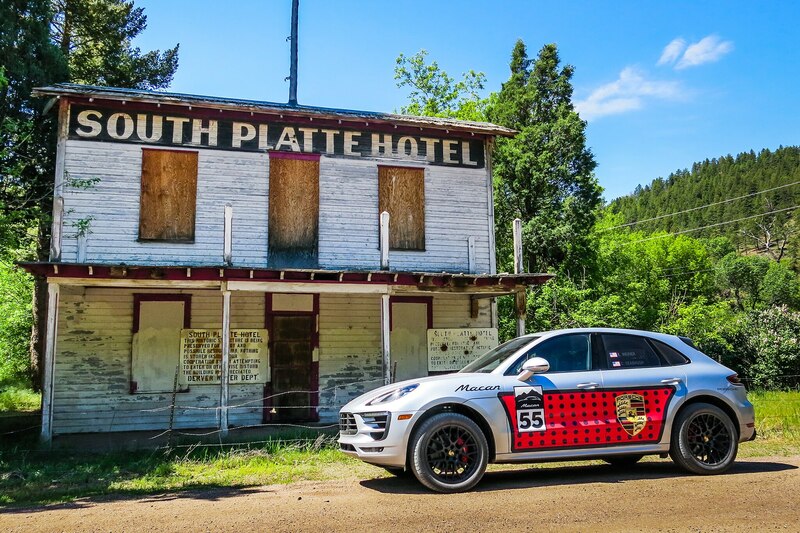 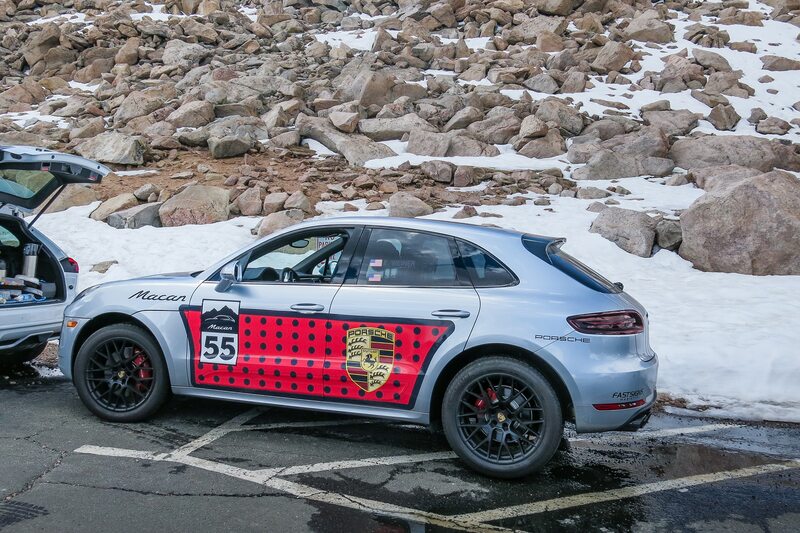 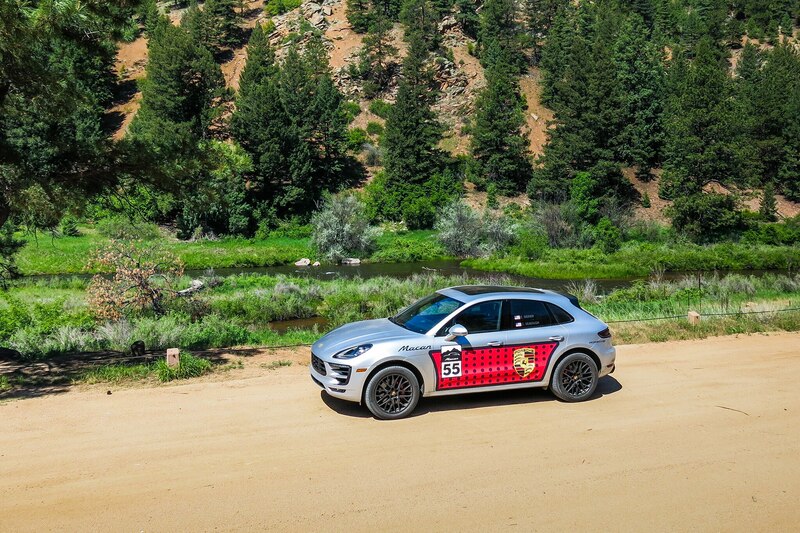 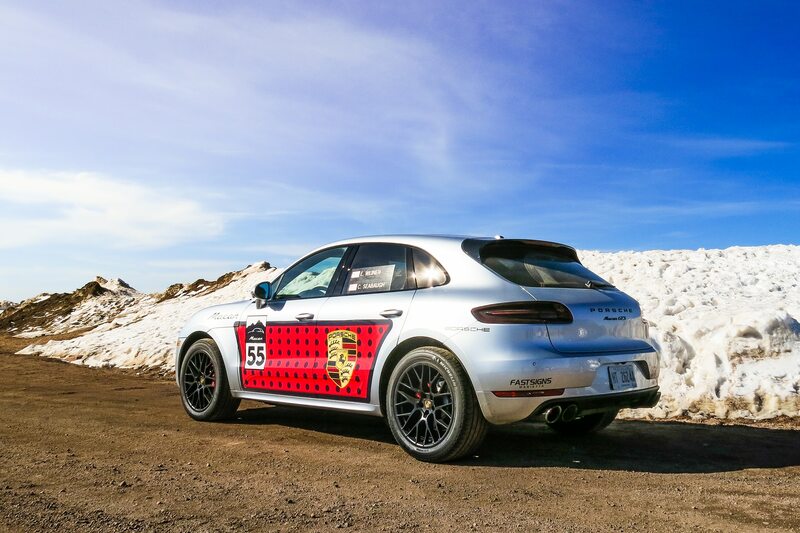 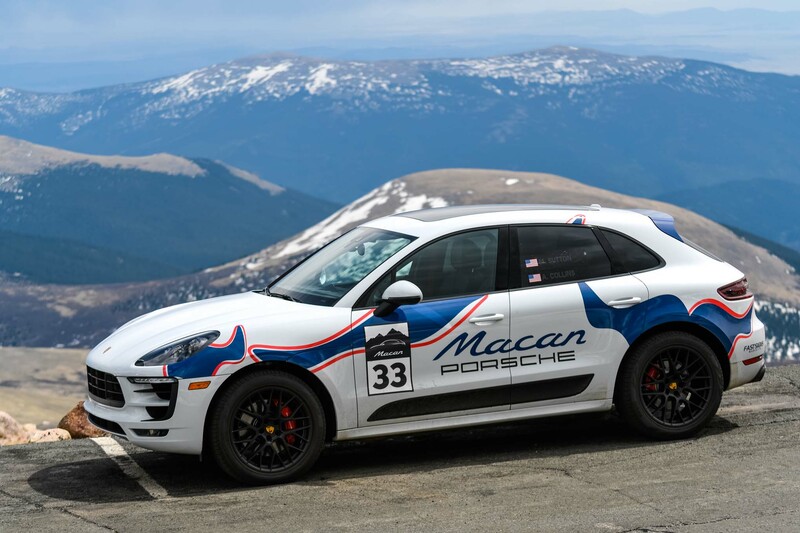 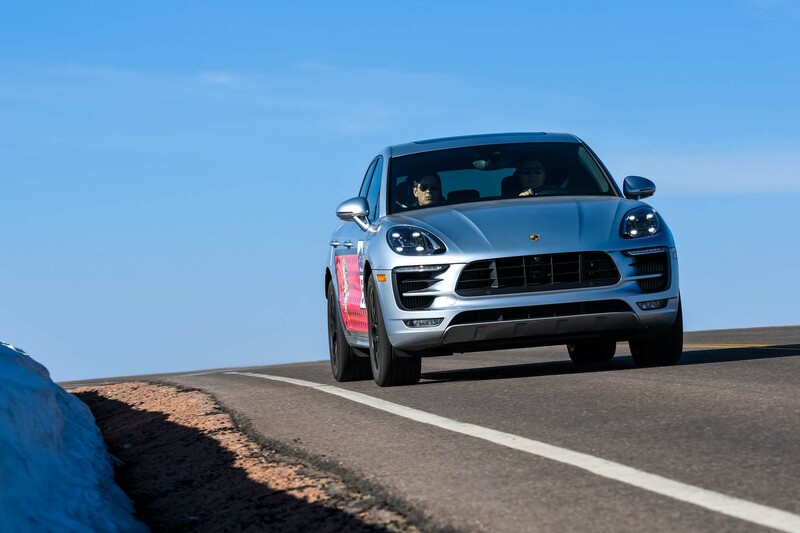 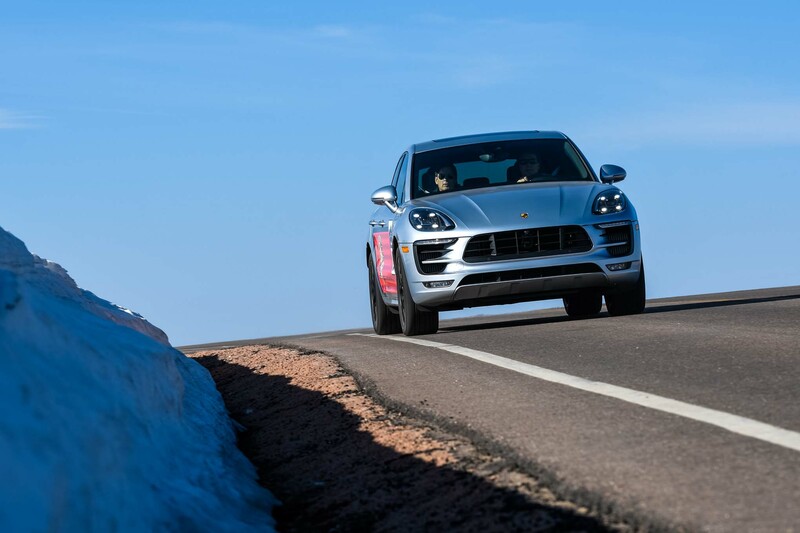 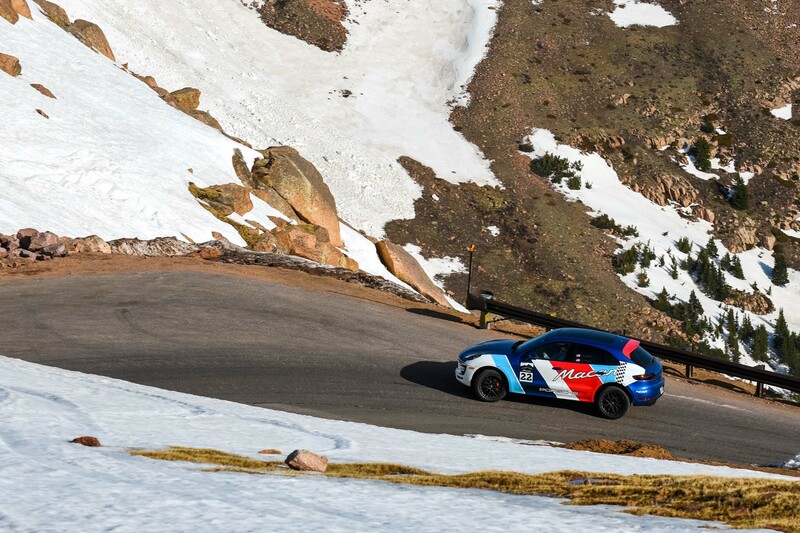 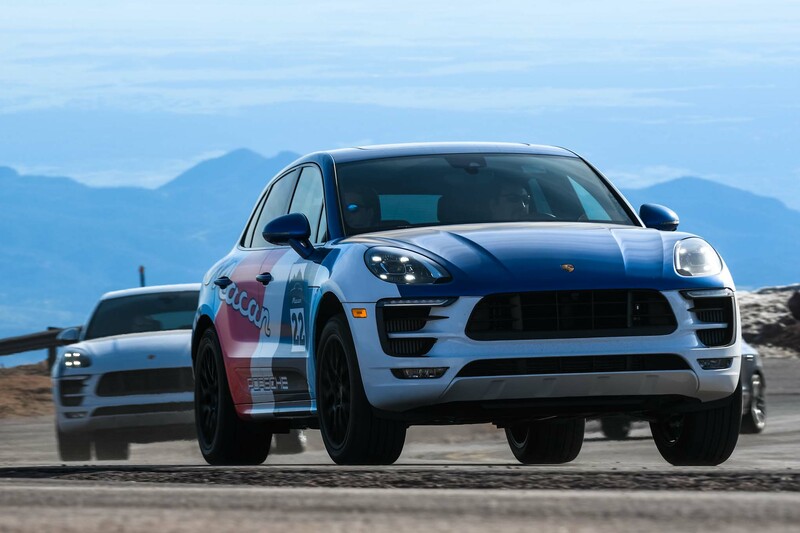 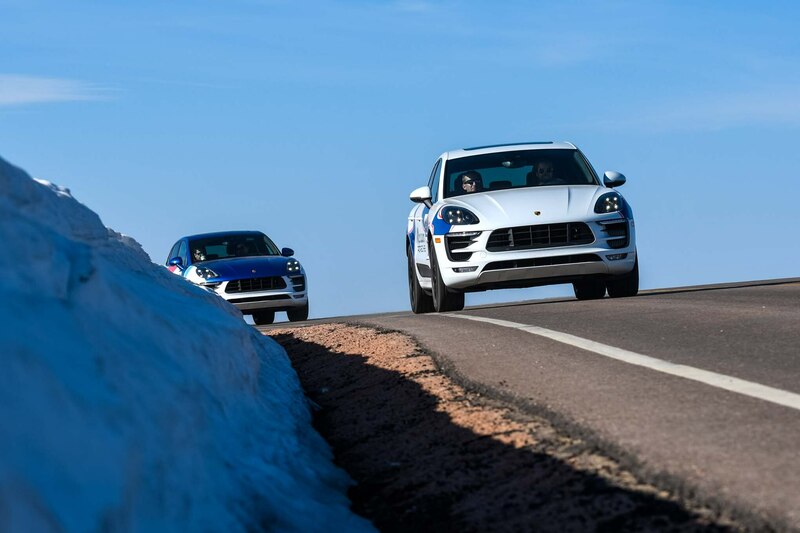 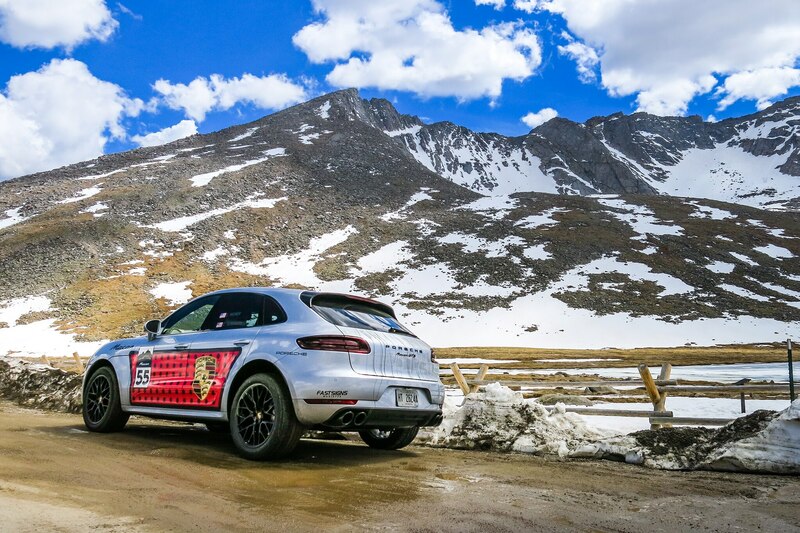 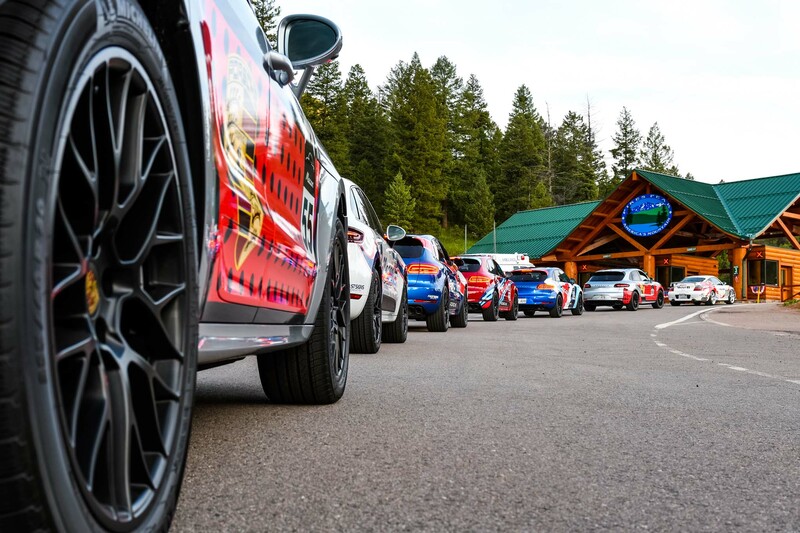 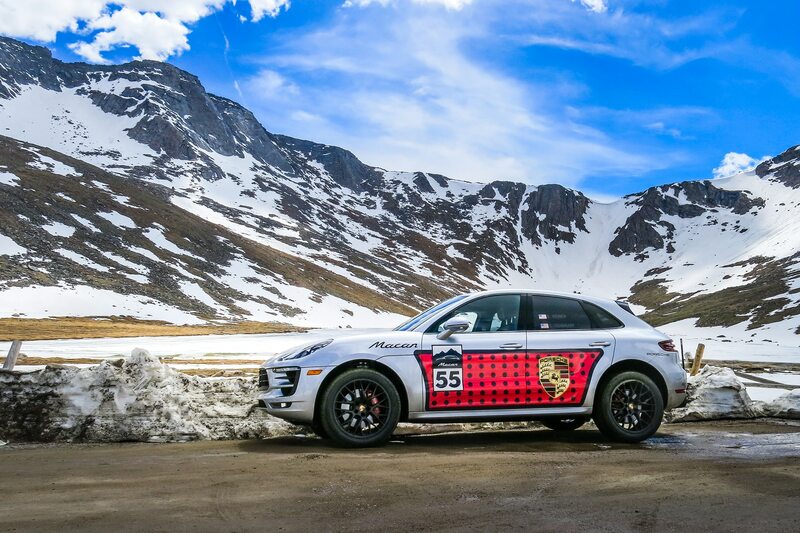 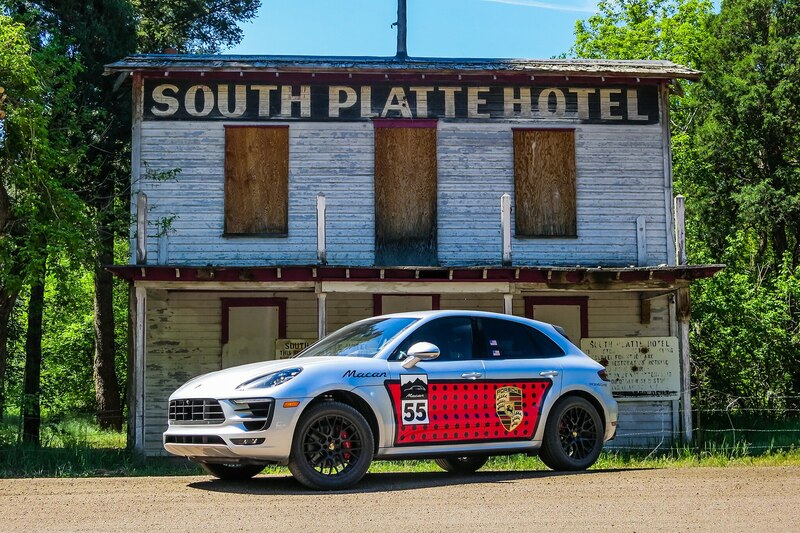 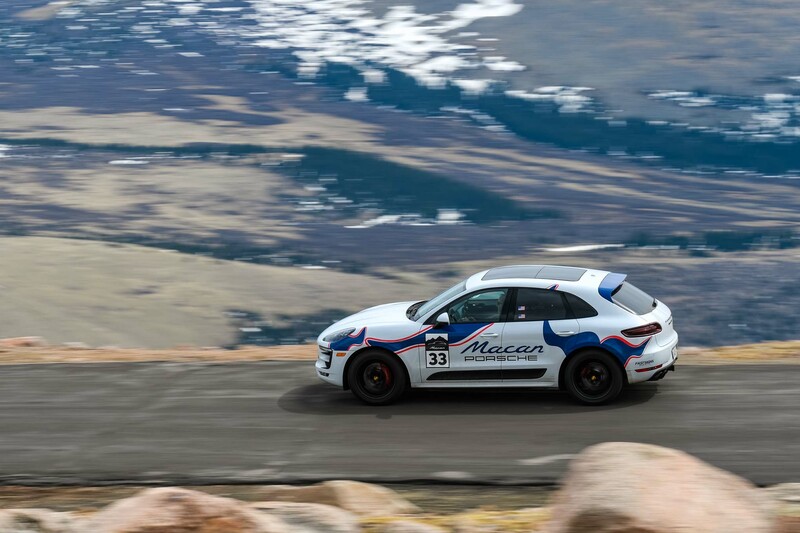 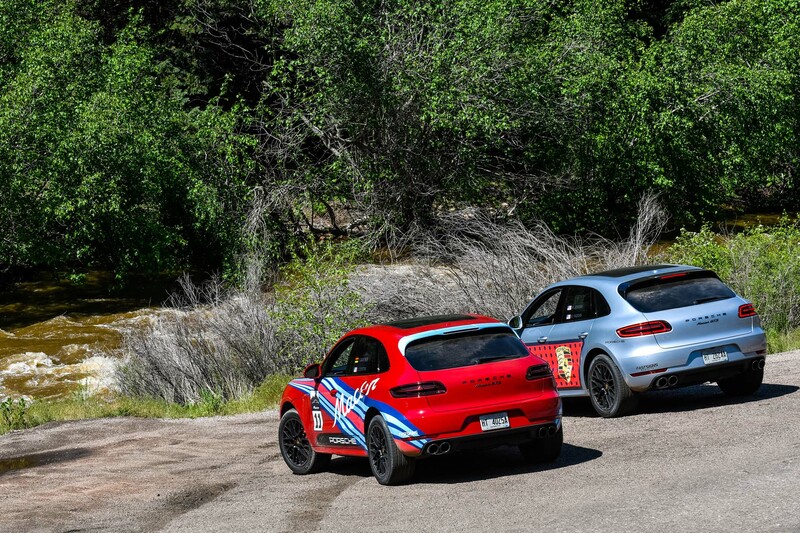 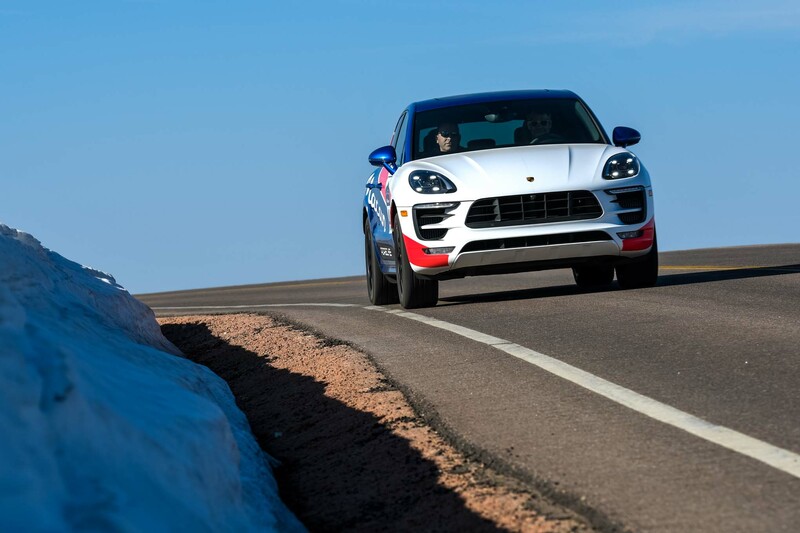 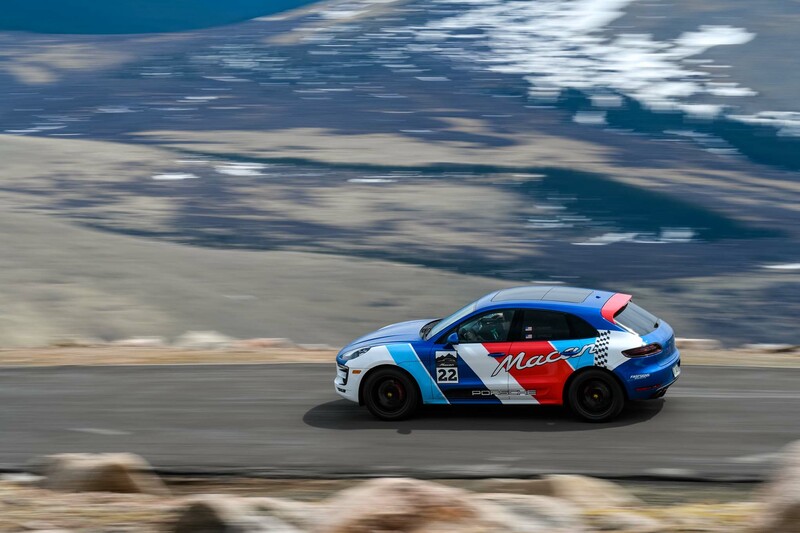 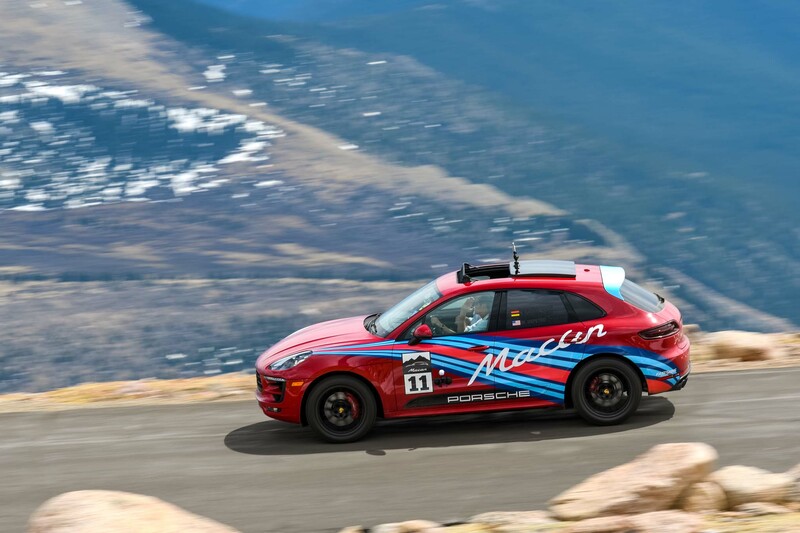 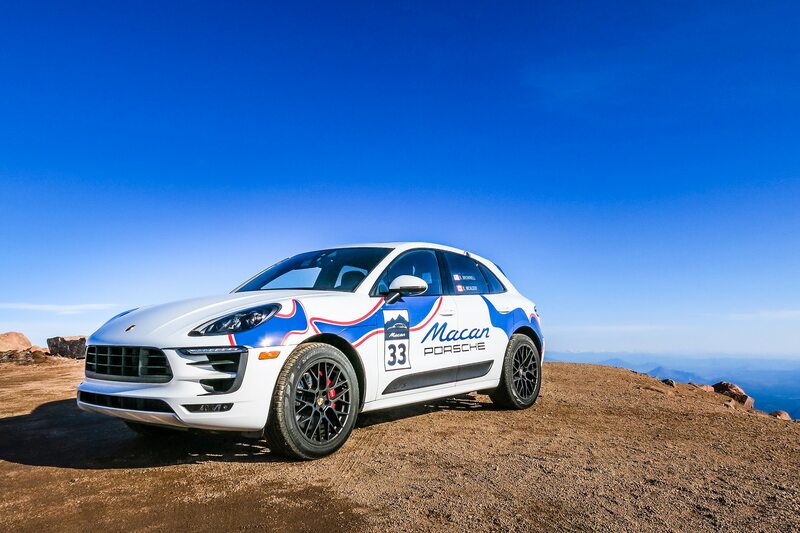 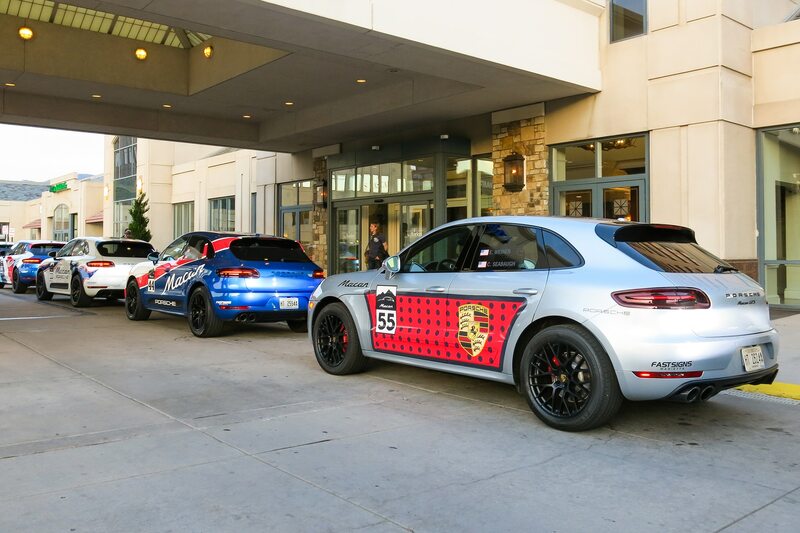 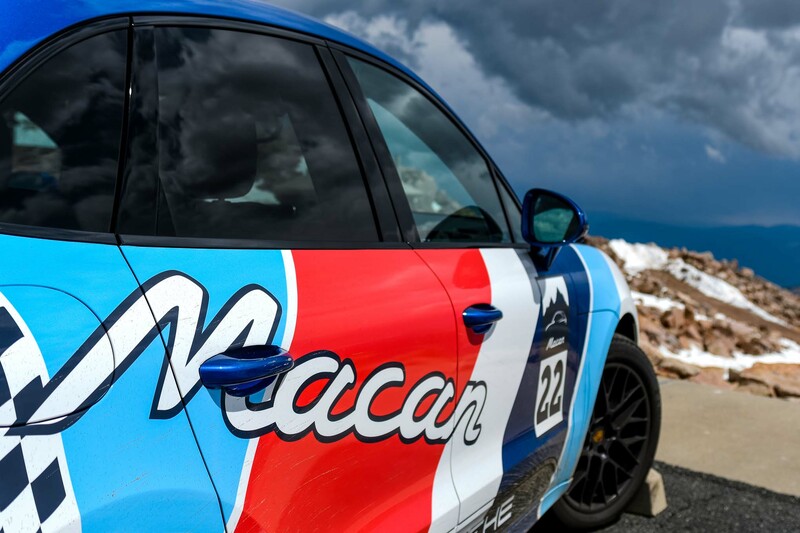 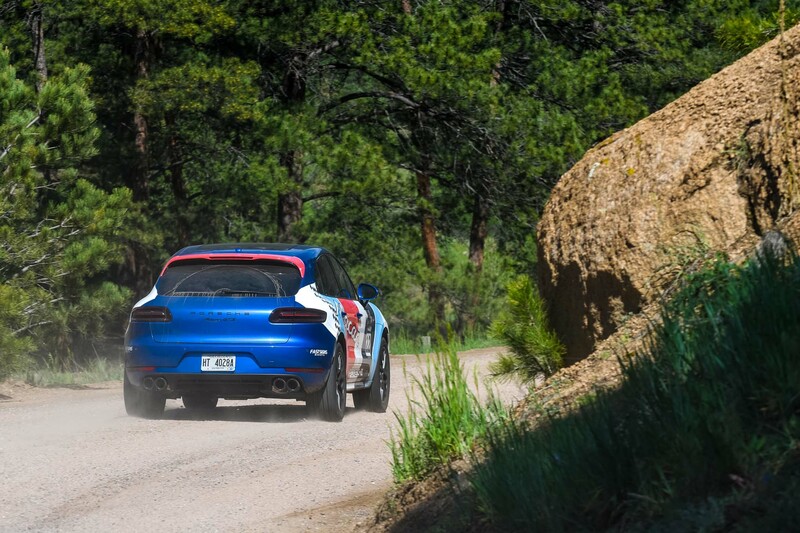 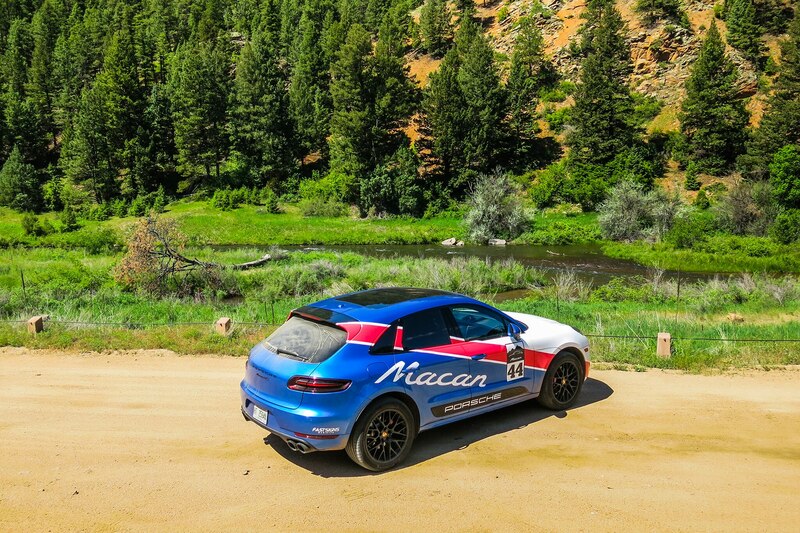 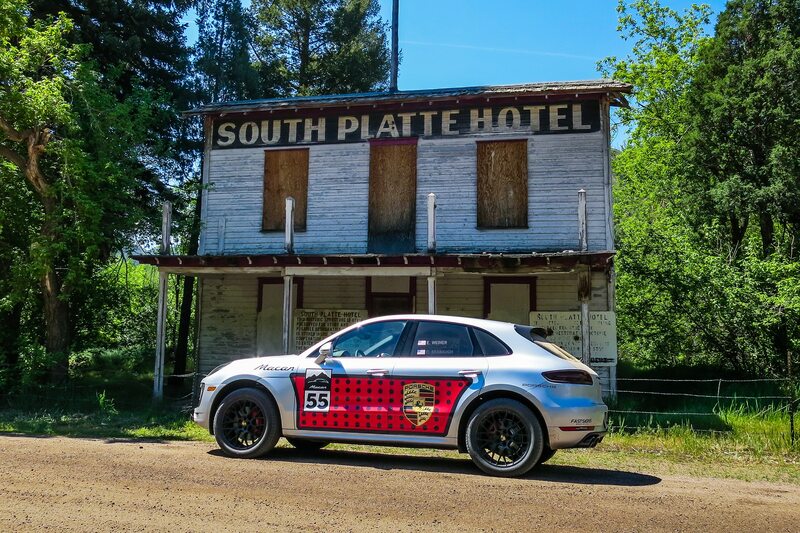 “Horsepower helps, but there’s no substitute for feeling connected.” We got to the top of Pikes Peak in 14 minutes, 5 seconds, a far cry from the 9:46 Zwart did last year in a 911; he thinks the Macan GTS could run in the mid-12s with a more seasoned driver behind its steering wheel. 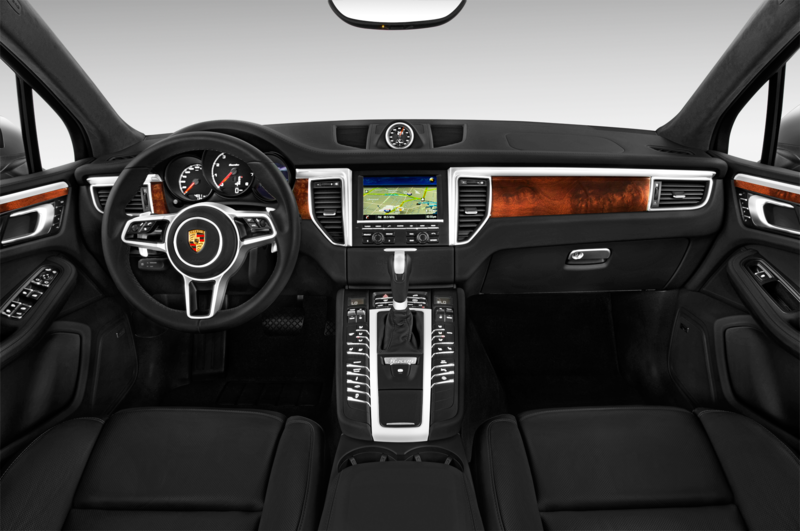 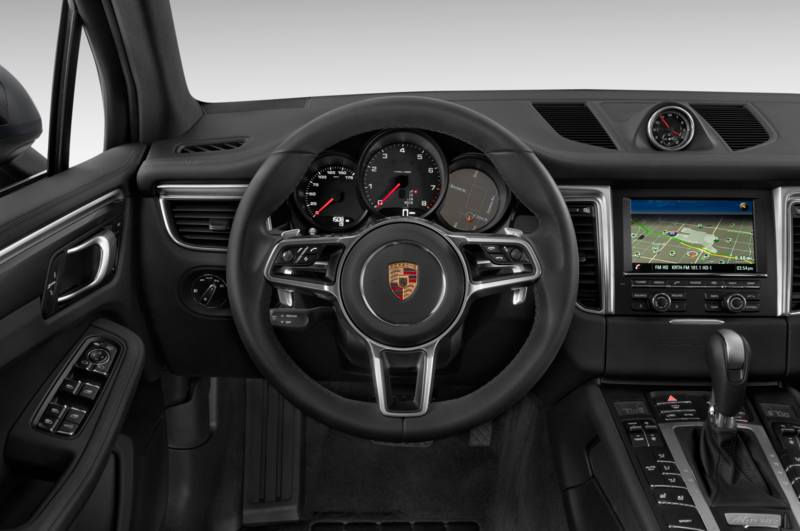 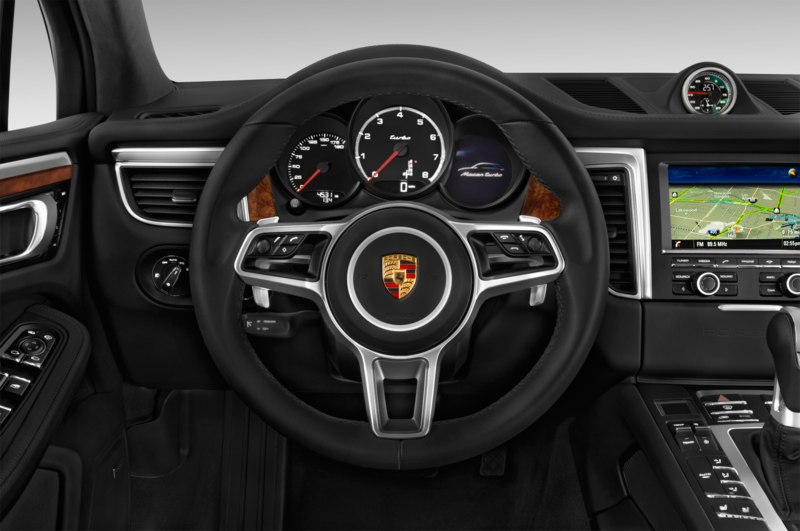 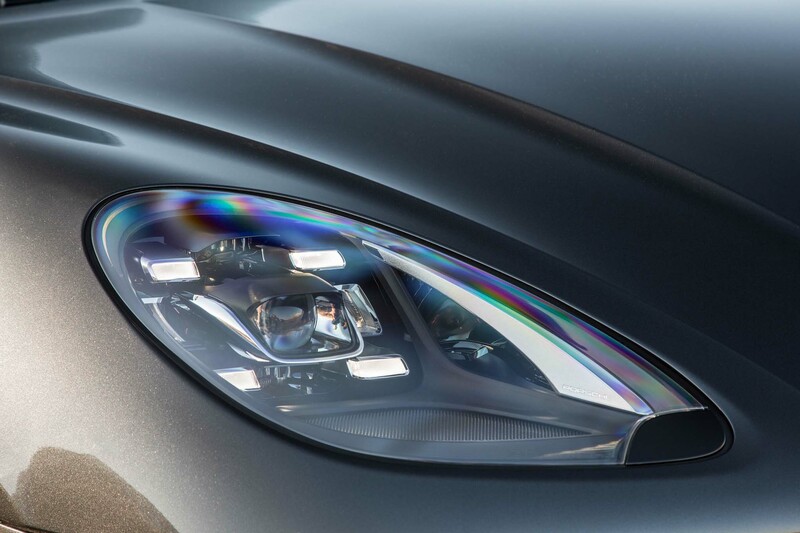 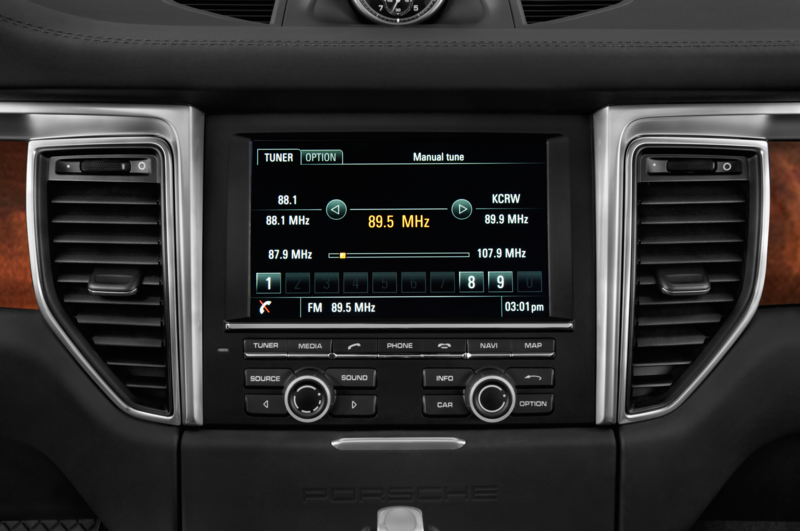 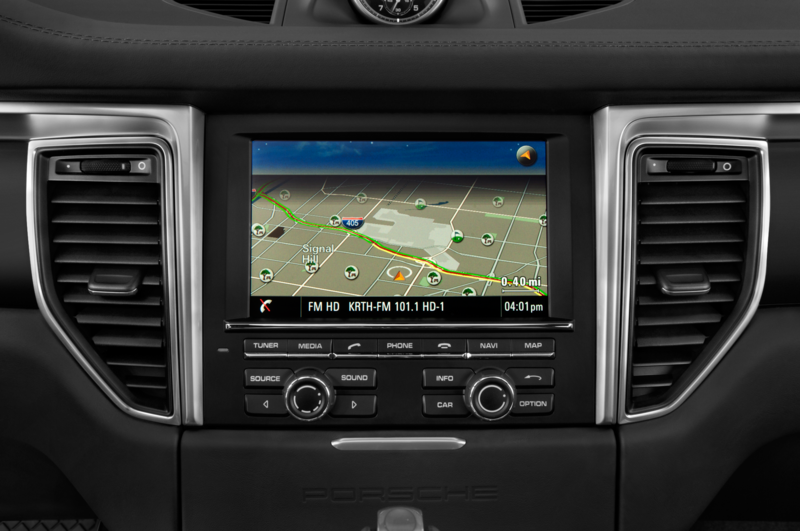 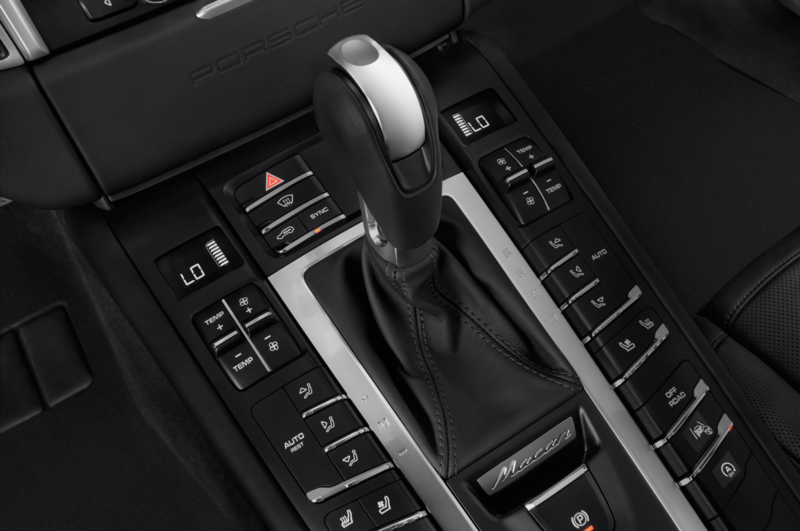 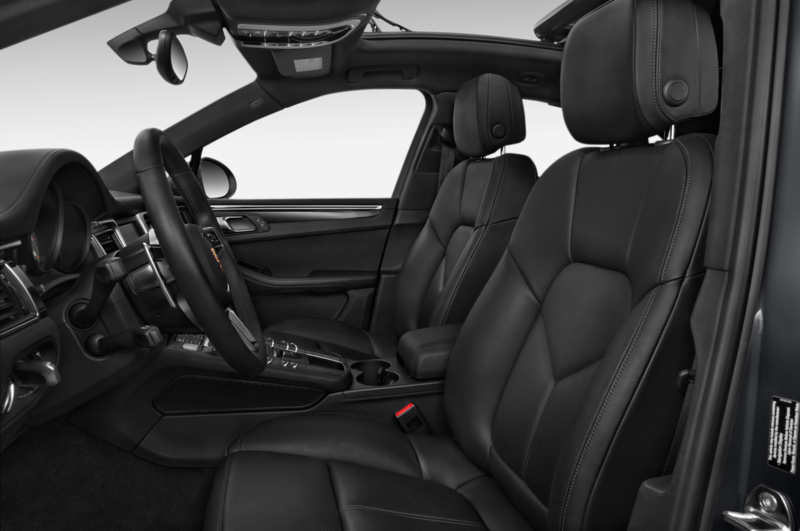 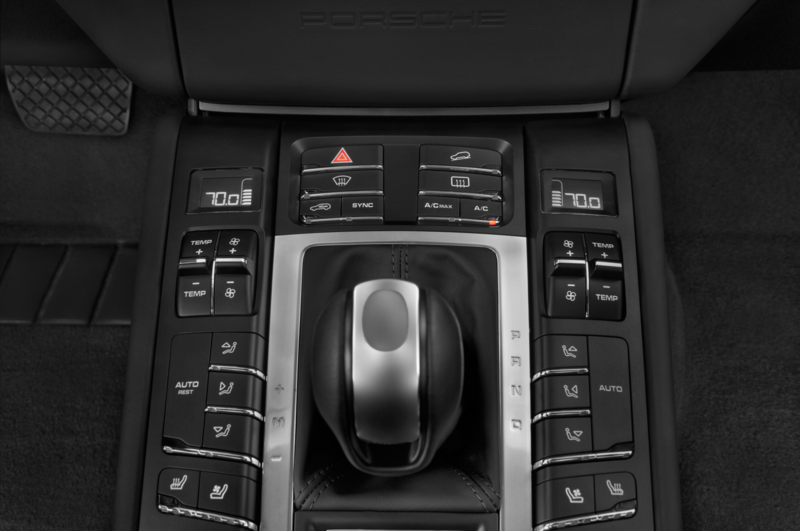 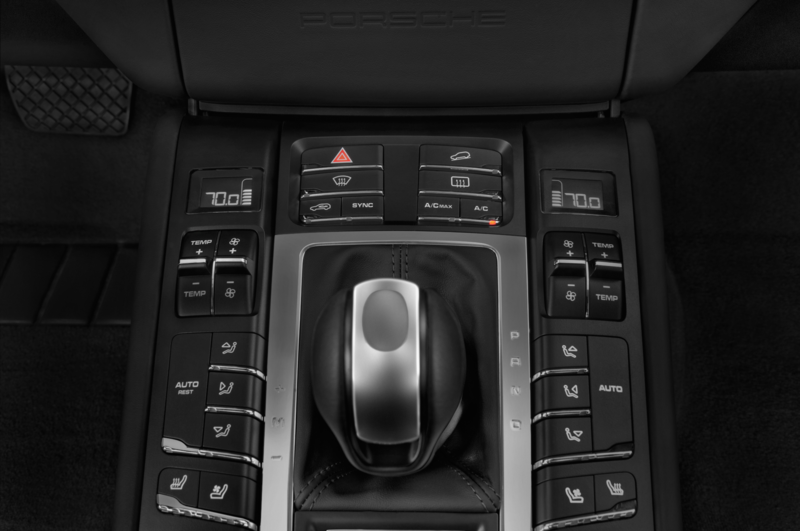 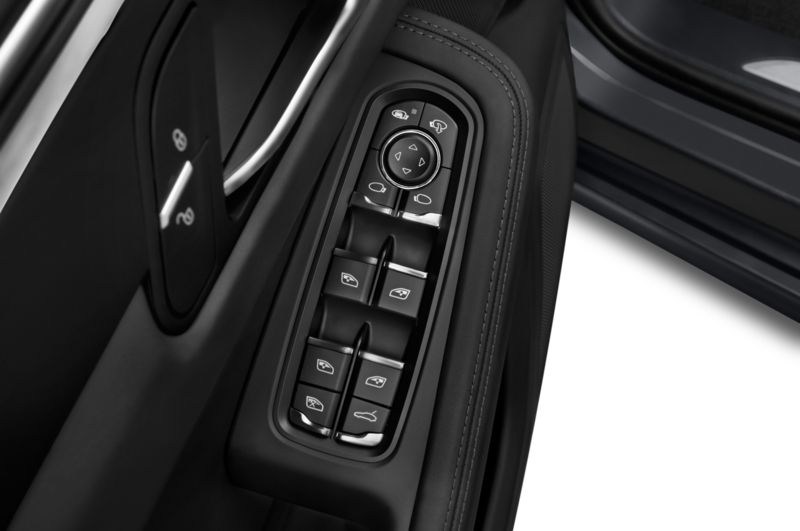 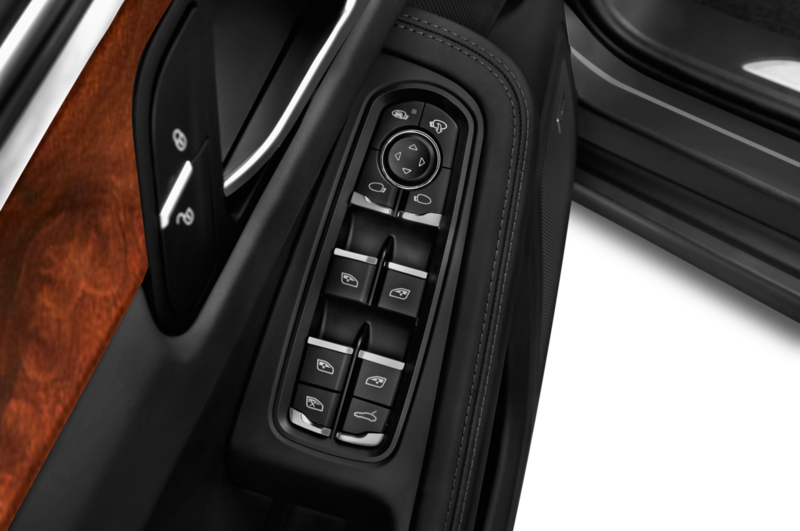 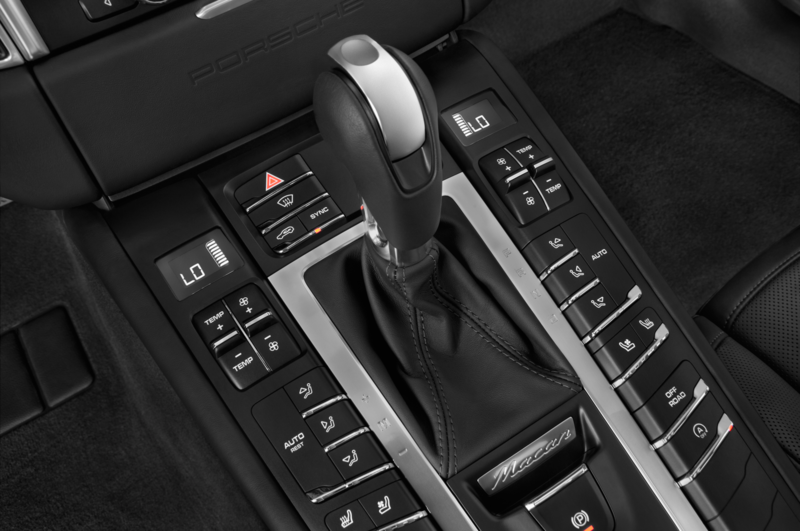 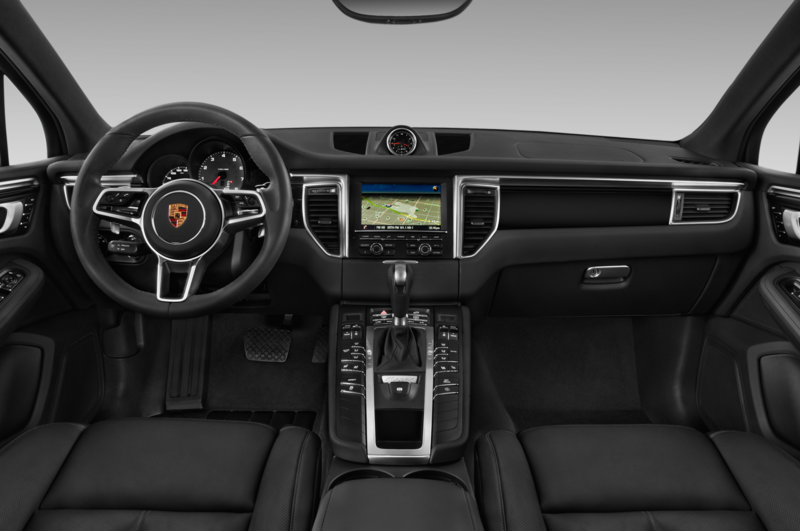 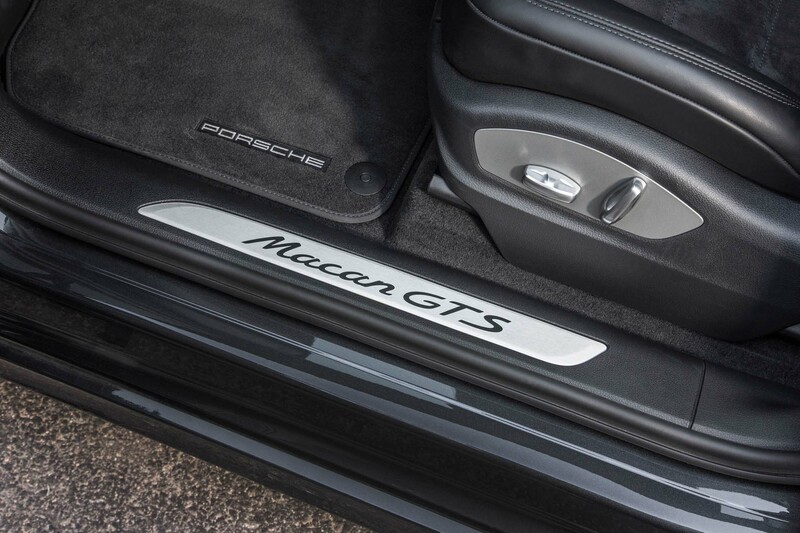 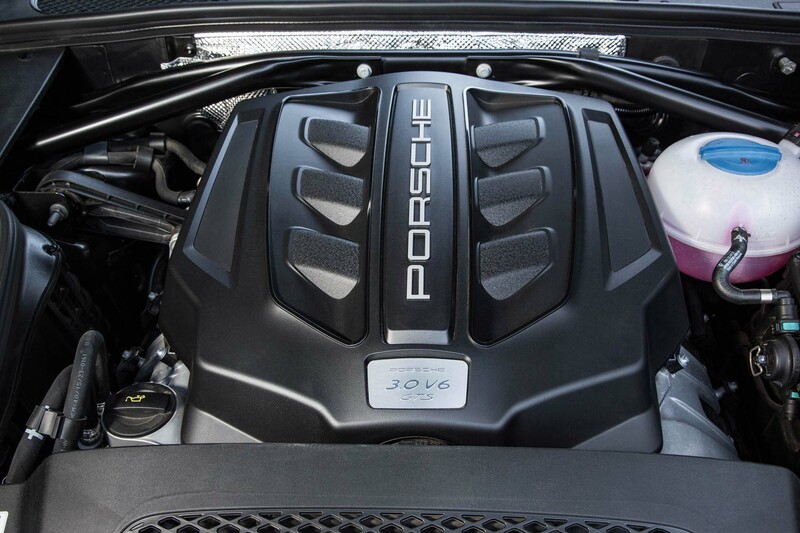 The Macan GTS is an attractive prospect at $68,250 but in typical Porsche fashion, tacking on performance and luxury essentials such as torque vectoring, leather, adaptive cruise control, and Porsche’s new PCM infotainment system with navigation rapidly increases your out-the-door price. 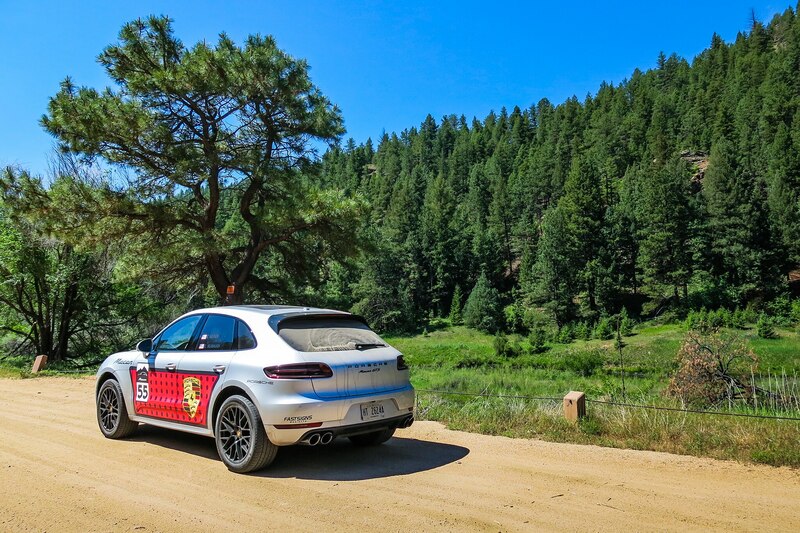 All told, our test car rang in at a tearful $89,070. 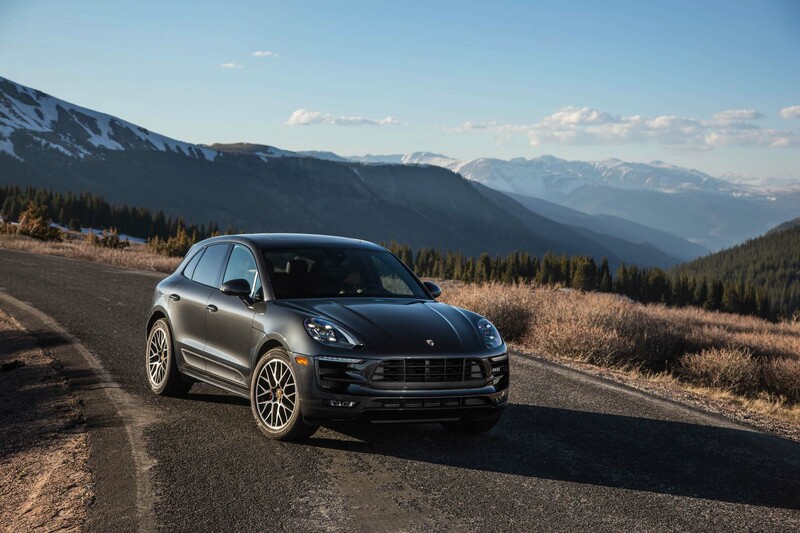 You could walk away with a better deal if you exercised some restraint, but even Porsche admits that Macan buyers rarely do. 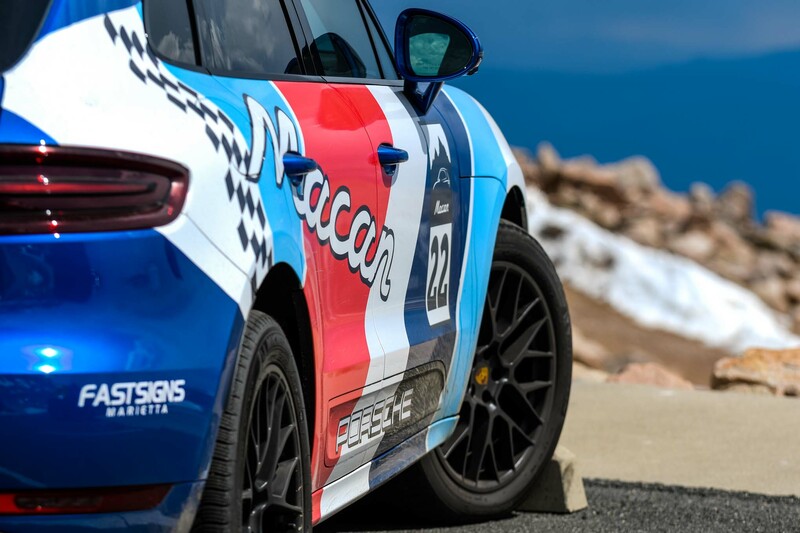 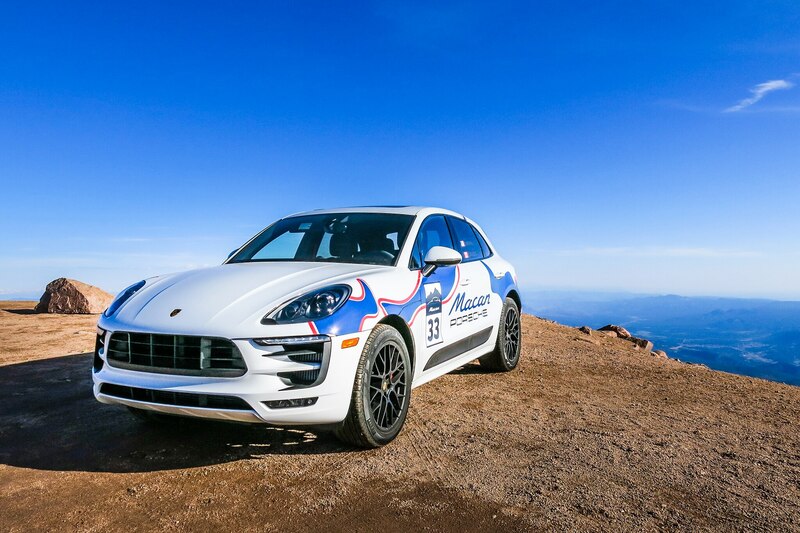 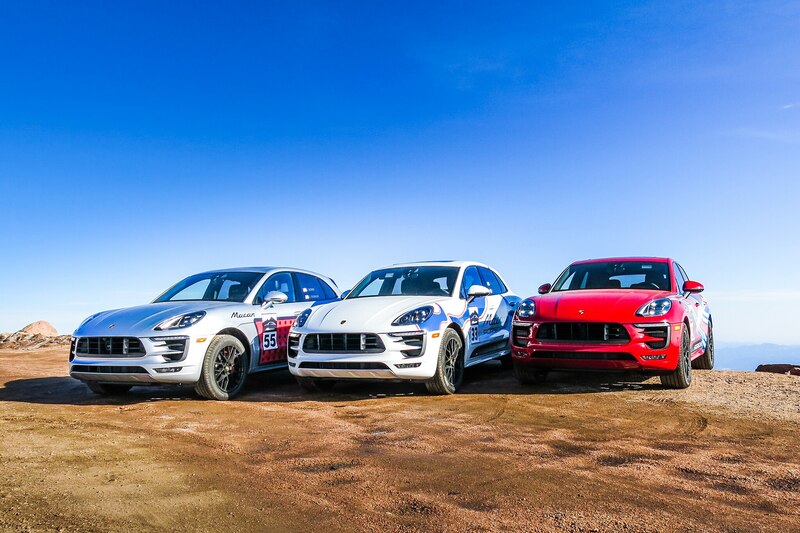 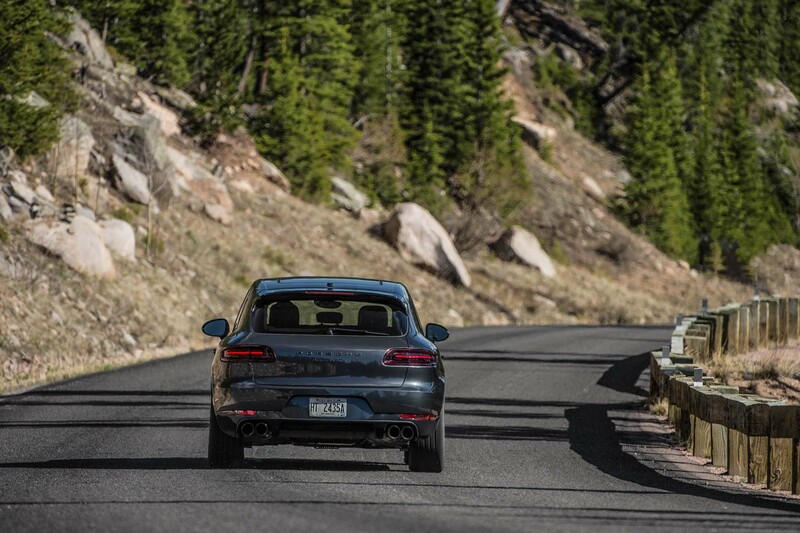 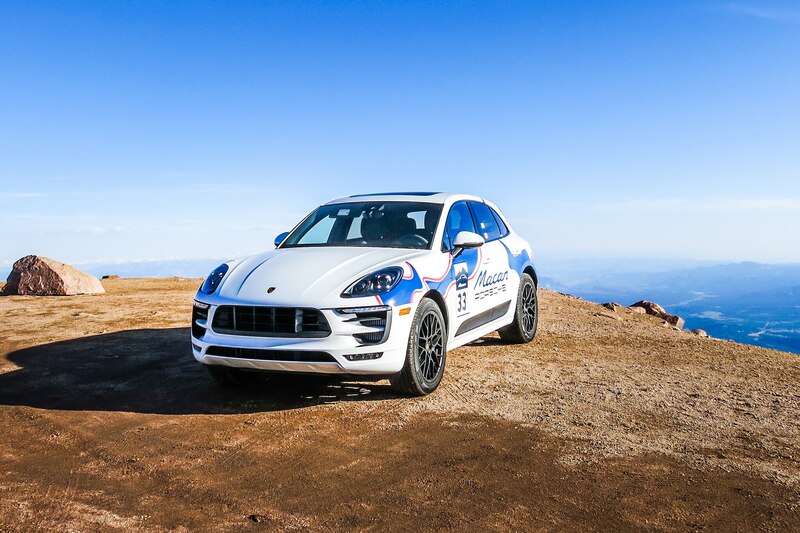 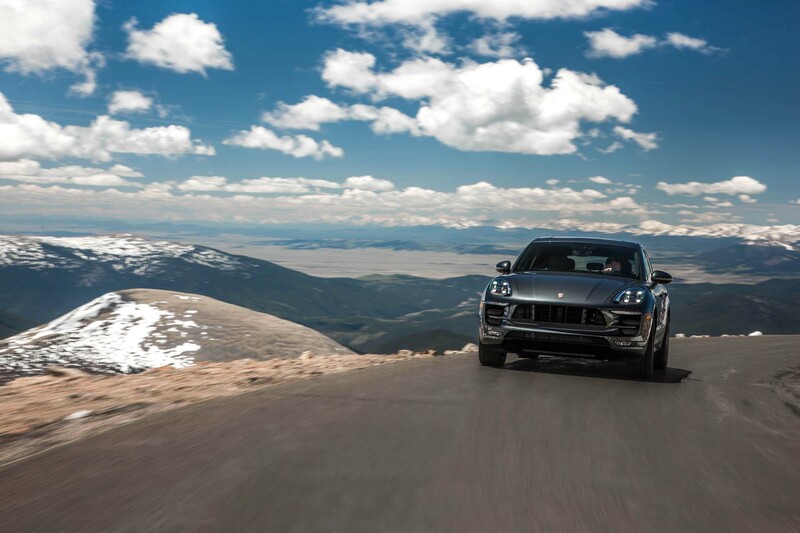 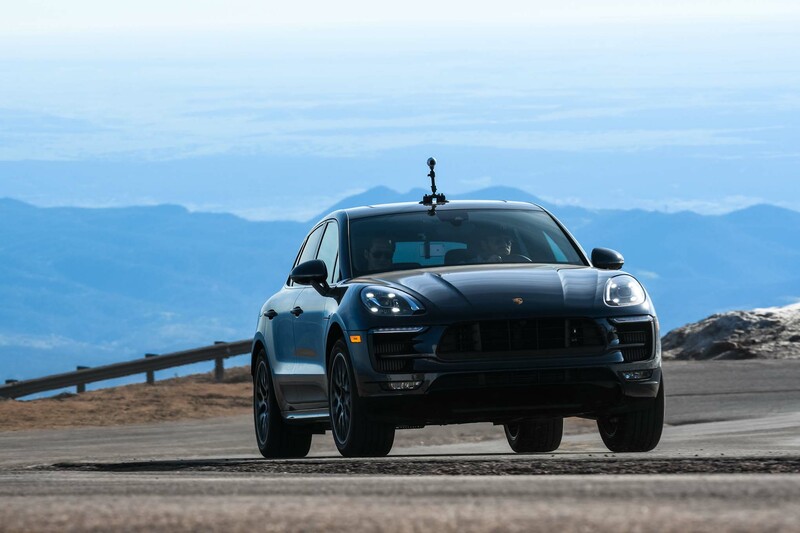 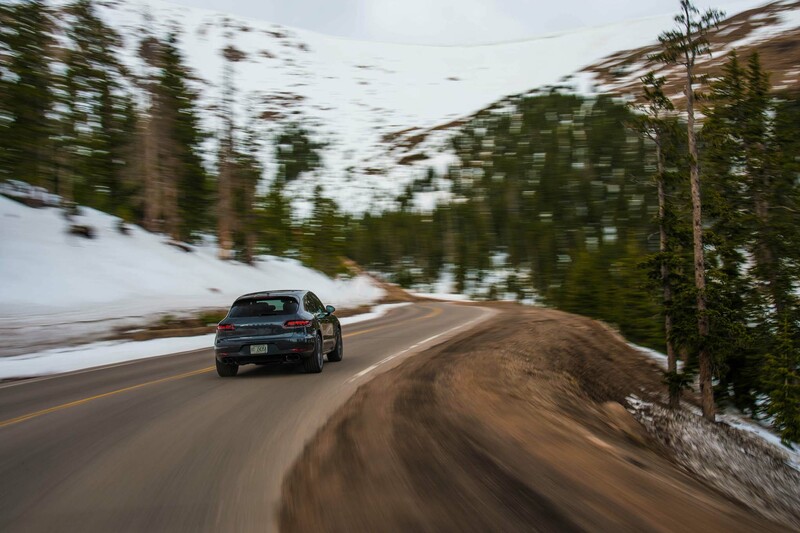 Standing at the top of Pikes Peak, we’re once again baffled by Porsche’s uncanny ability to make sporty, capable, and engaging SUVs that can be pushed to extraordinary limits. 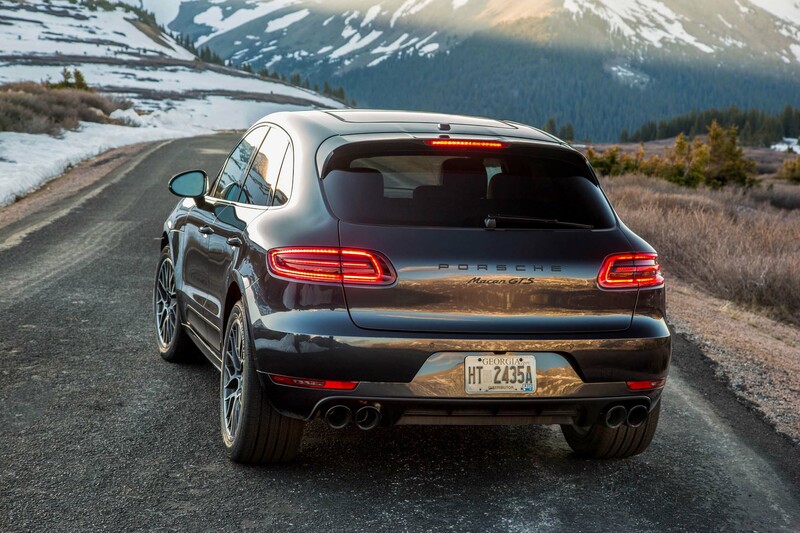 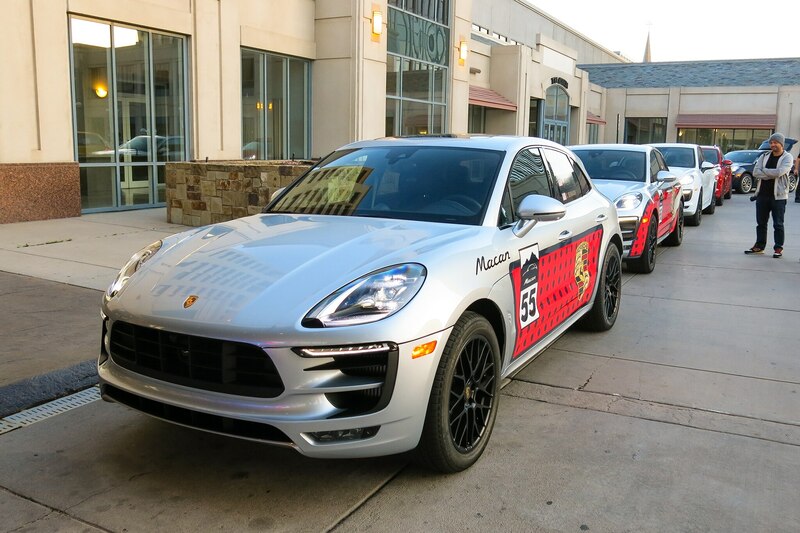 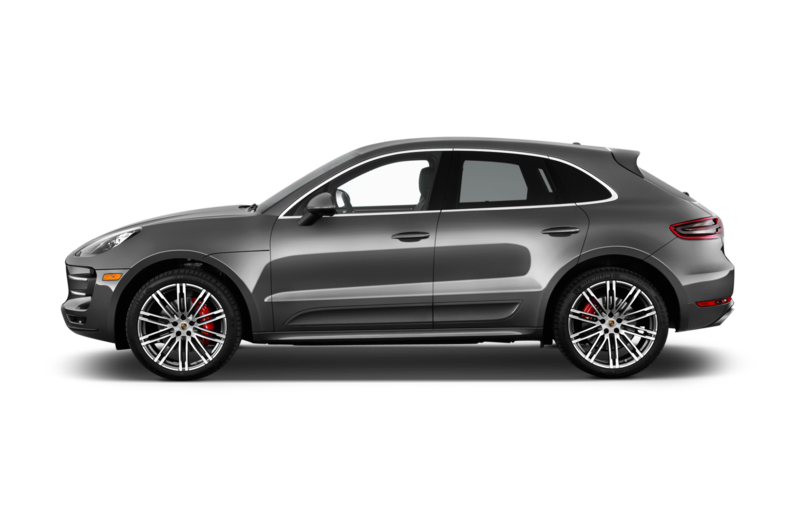 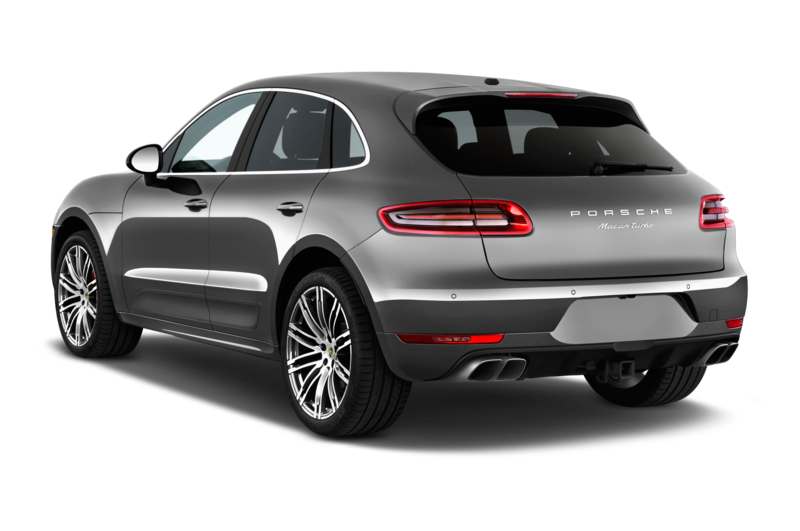 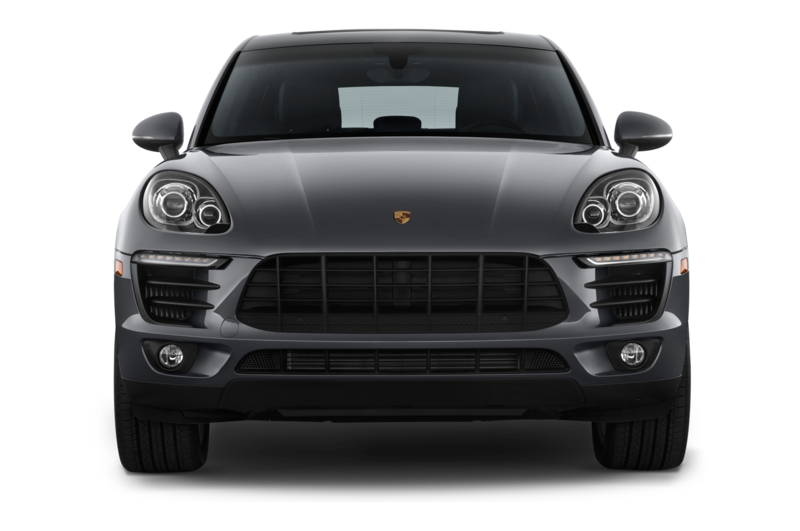 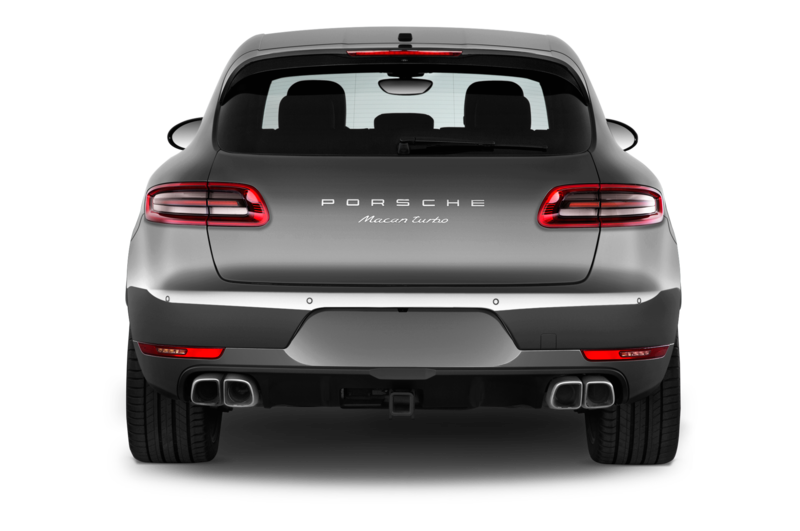 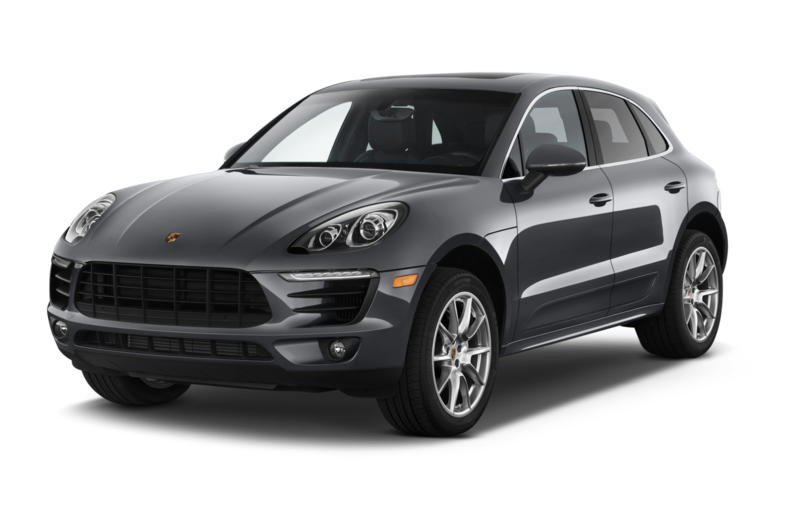 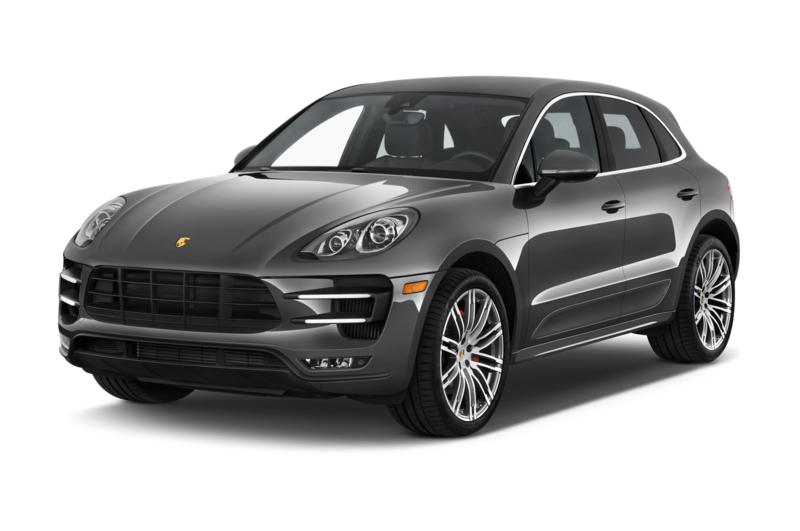 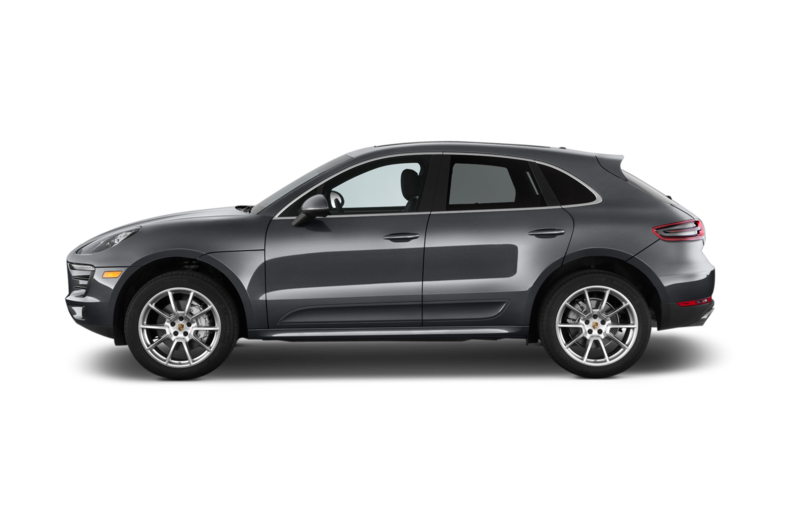 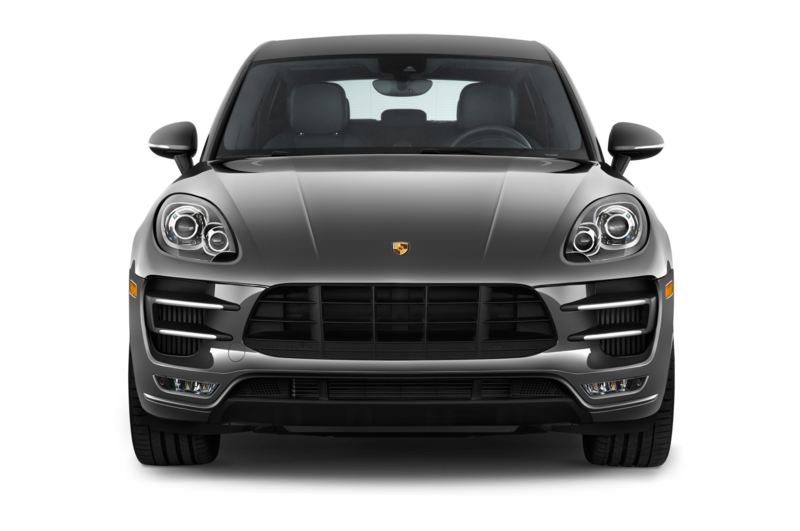 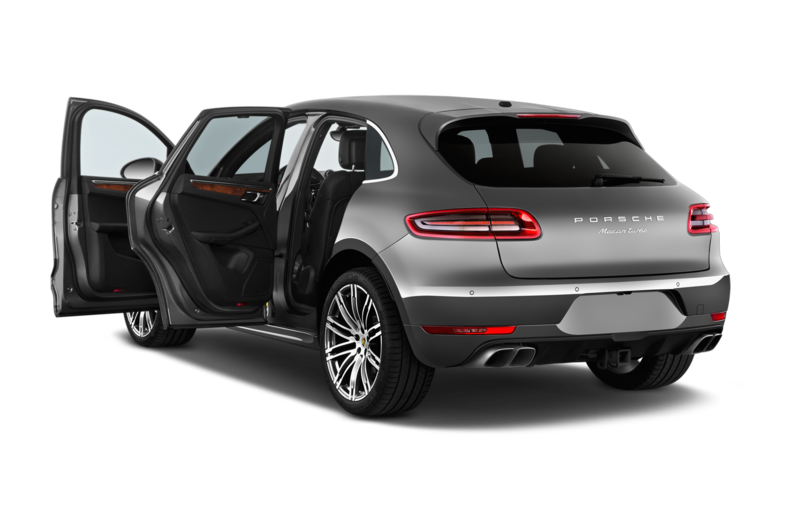 The 2017 Porsche Macan GTS has so much personality and is so rewarding to drive, not just for a crossover, but as a purebred Porsche. 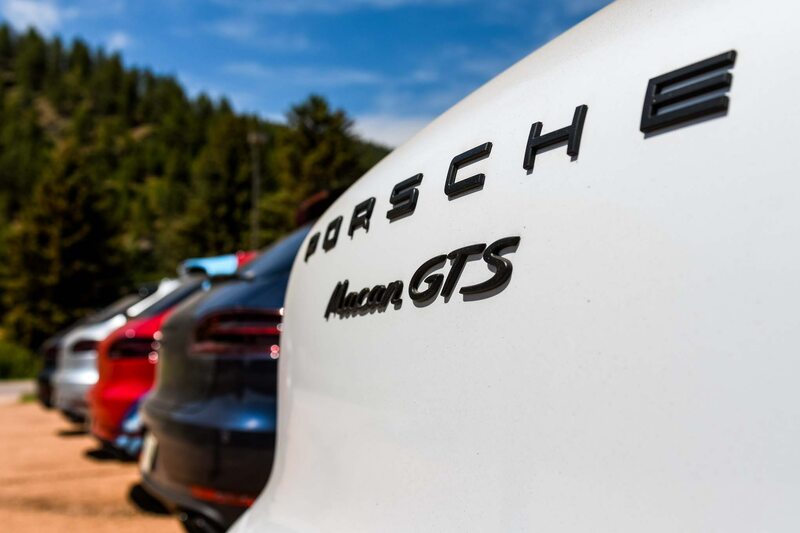 Even at 14,110 feet, on the stomping grounds of legends, the GTS is dizzyingly good. 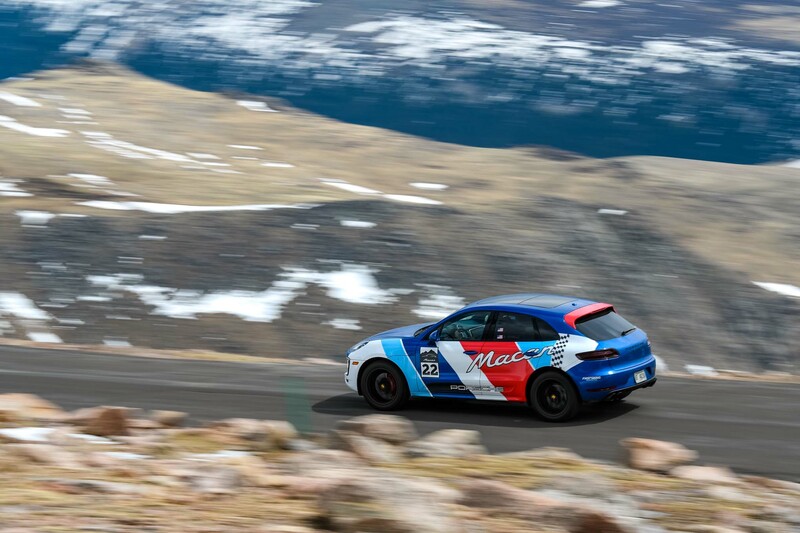 Or is that just the altitude? 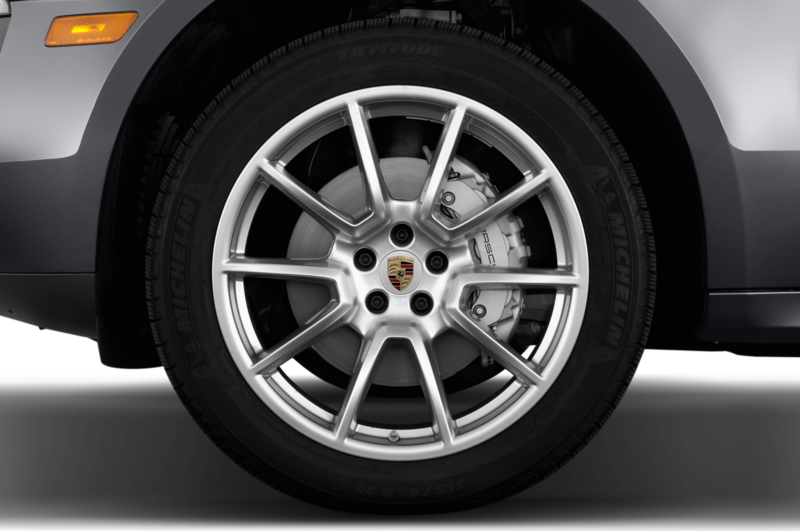 18 / 53 cu. 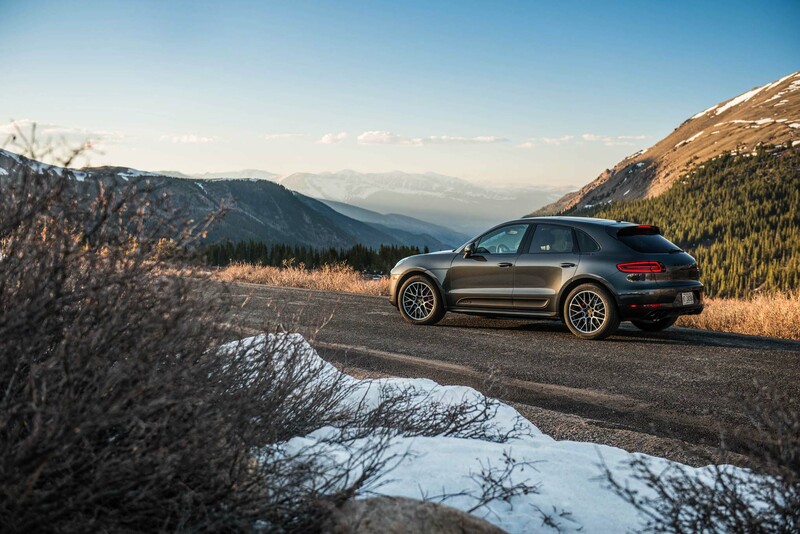 ft.
Americans can’t buy a sports wagon for less than $100k. 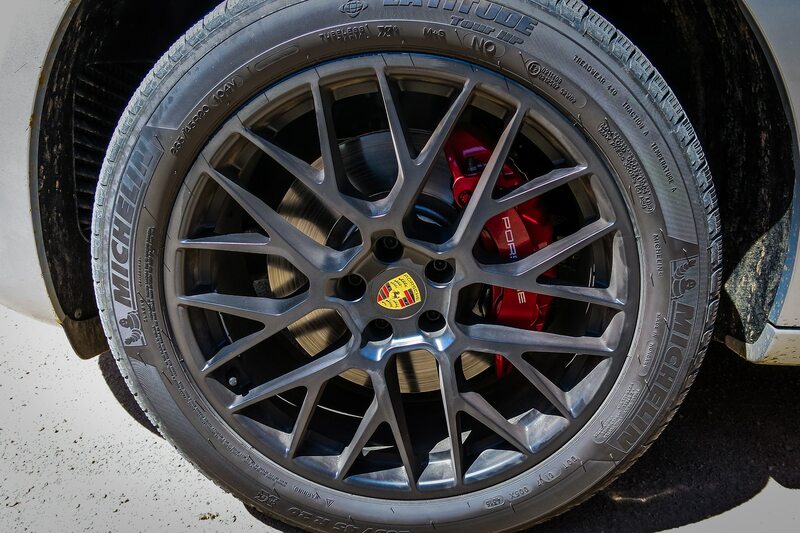 This may be the next best thing.